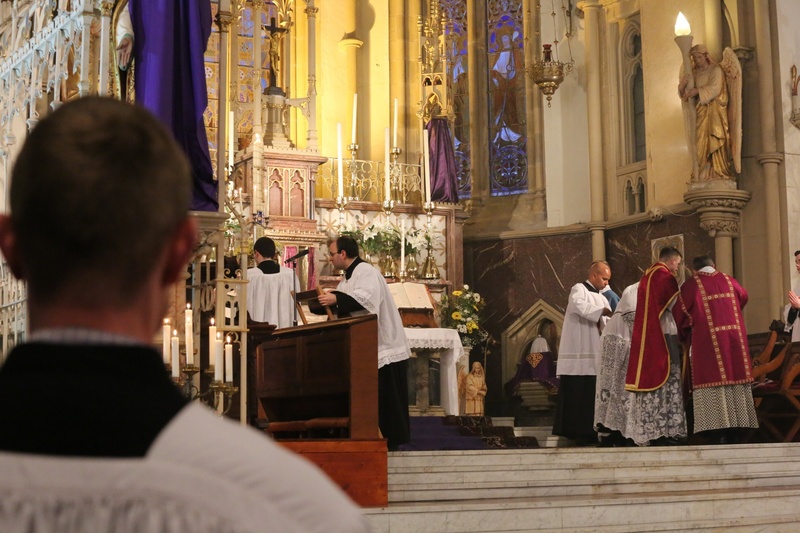 Father Gibbin’s last Solemn High Mass at St. Walburge’s before leaving for the Dome in New Brighton. 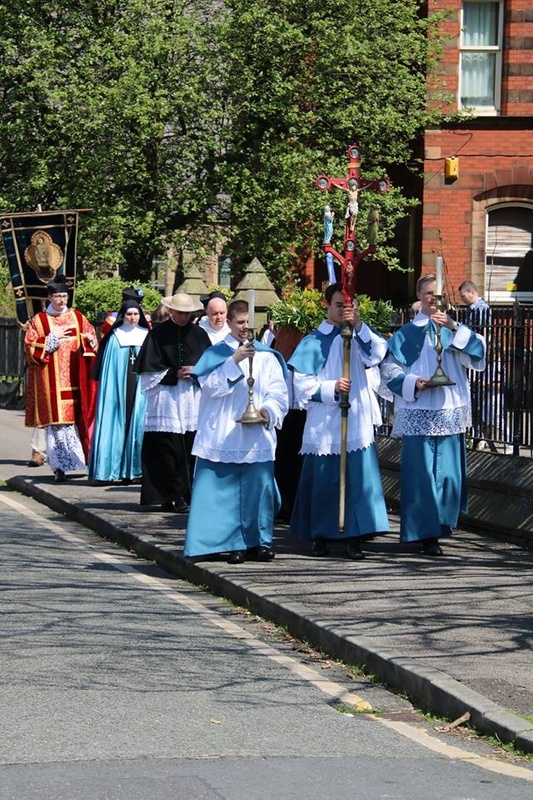 Mass was followed by Benediction in union with the Eucharistic Conference in Liverpool also on this day. 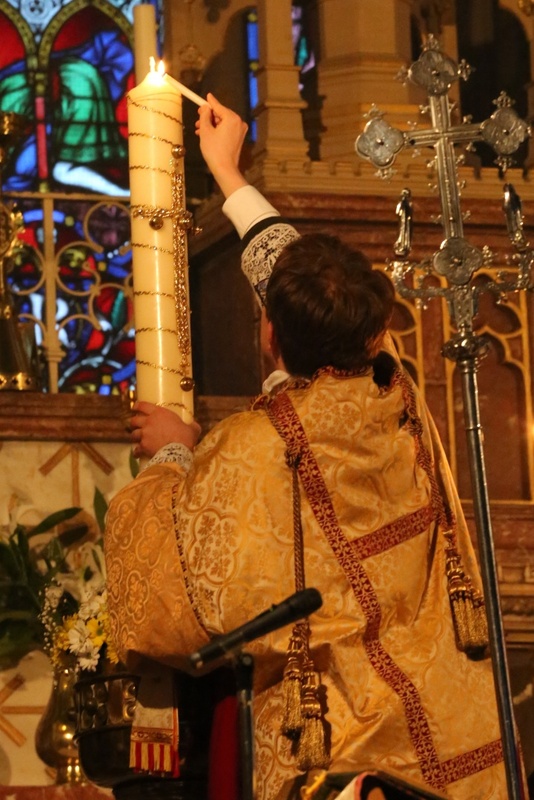 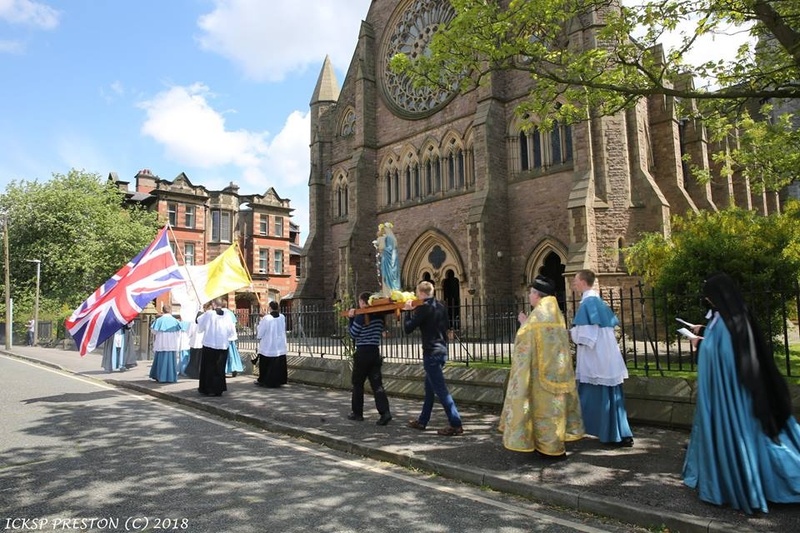 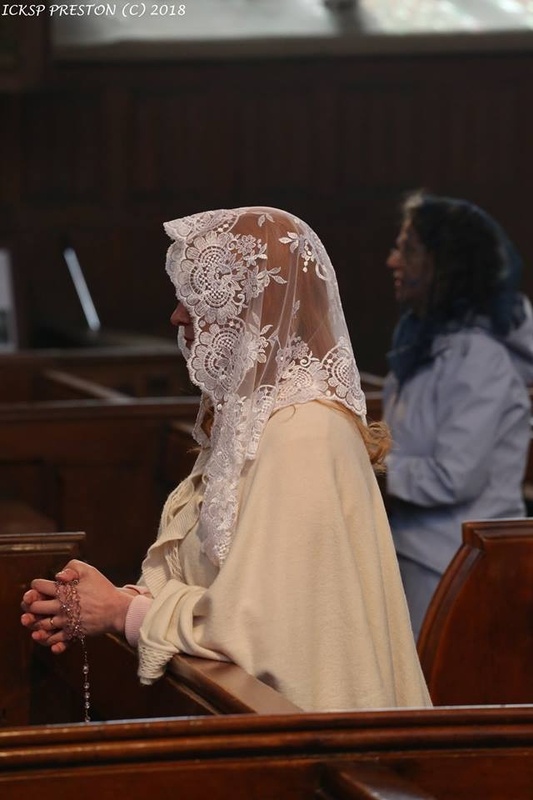 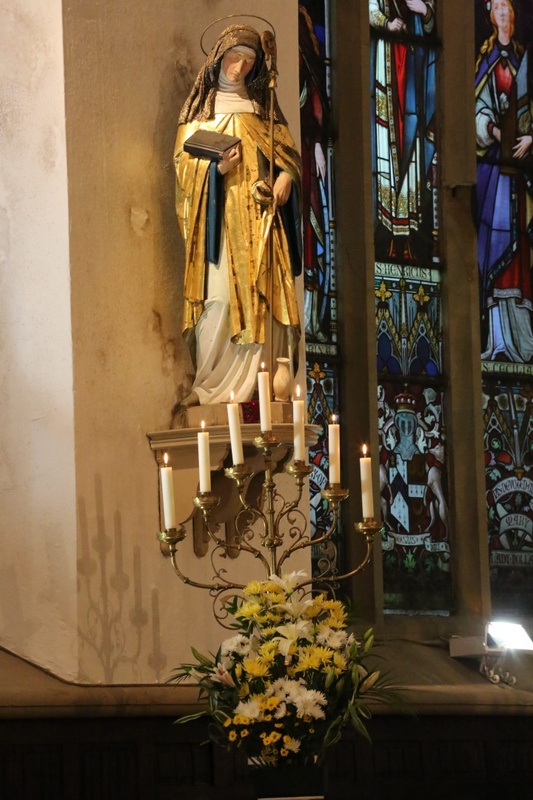 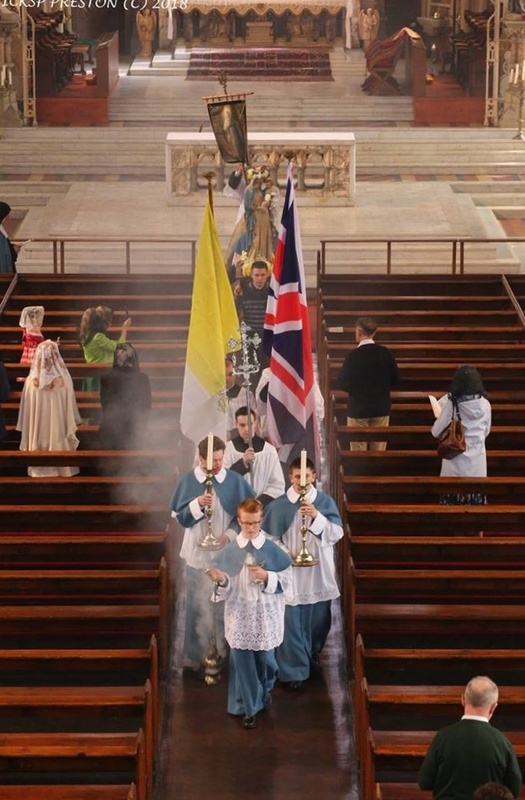 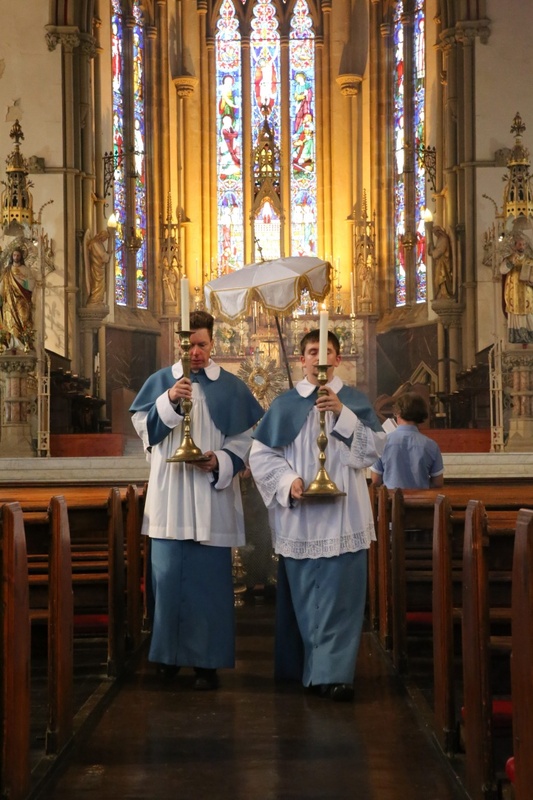 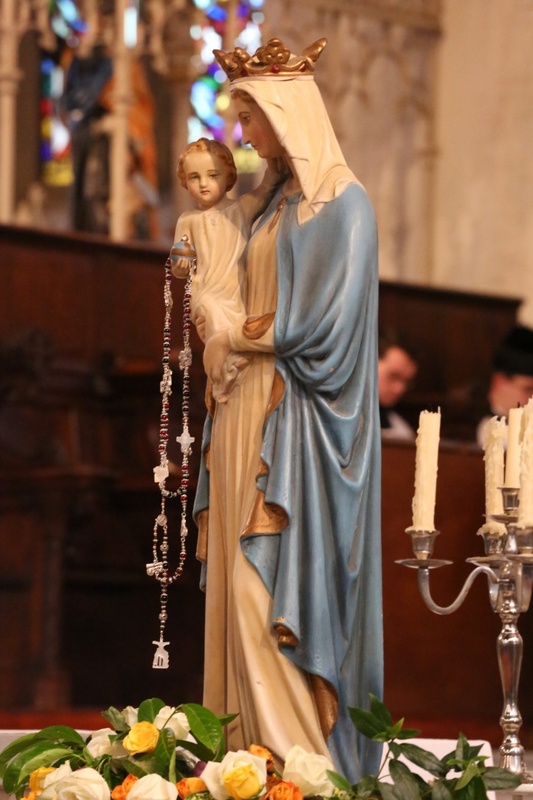 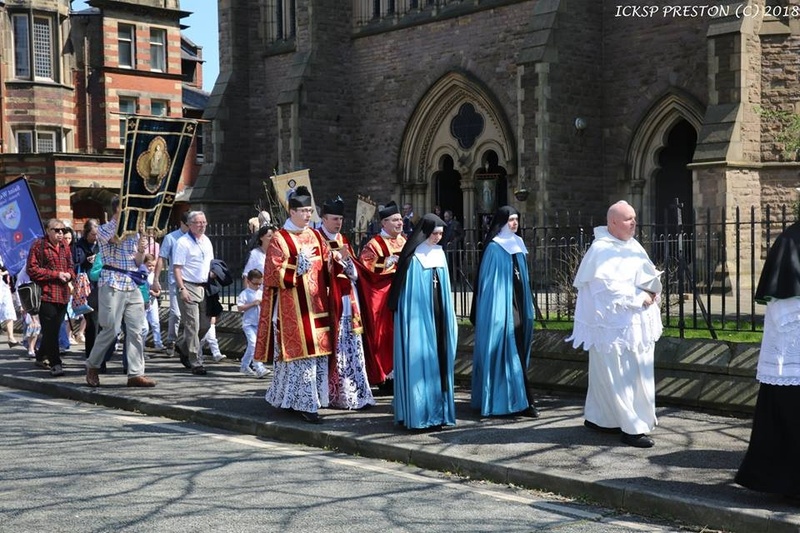 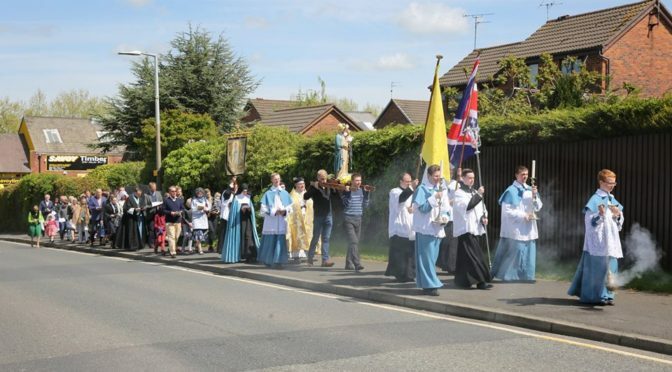 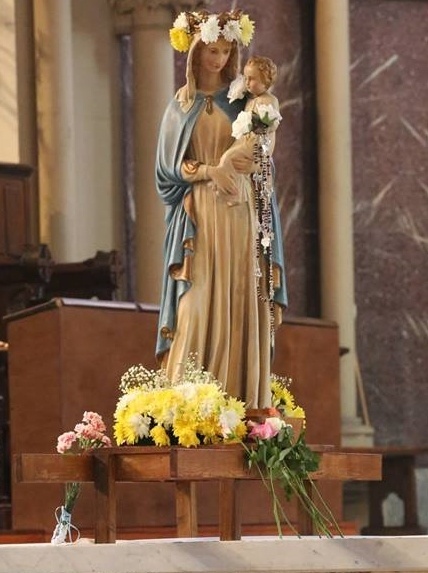 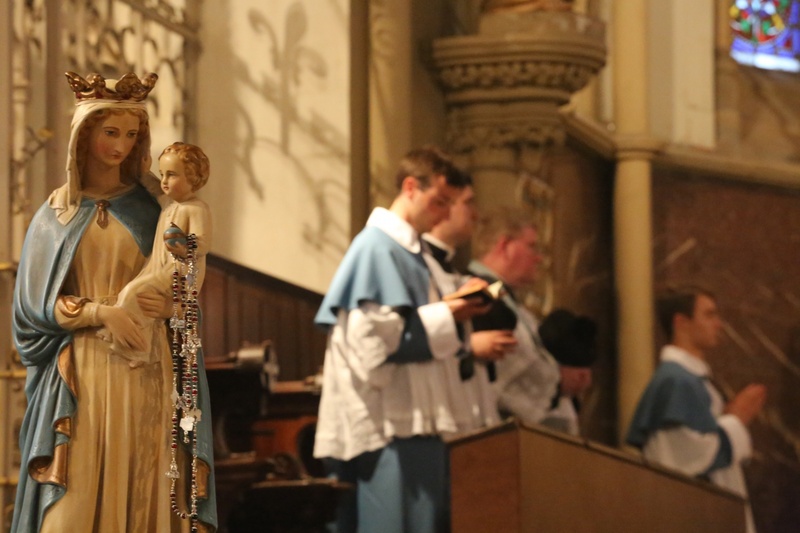 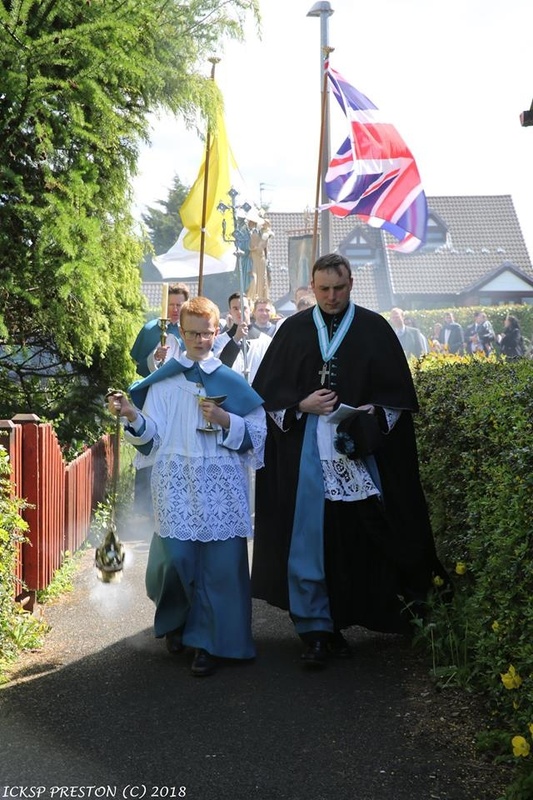 Photos from the Marian procession at St Walburge’s yesterday in honor of Our Lady of Fatima. 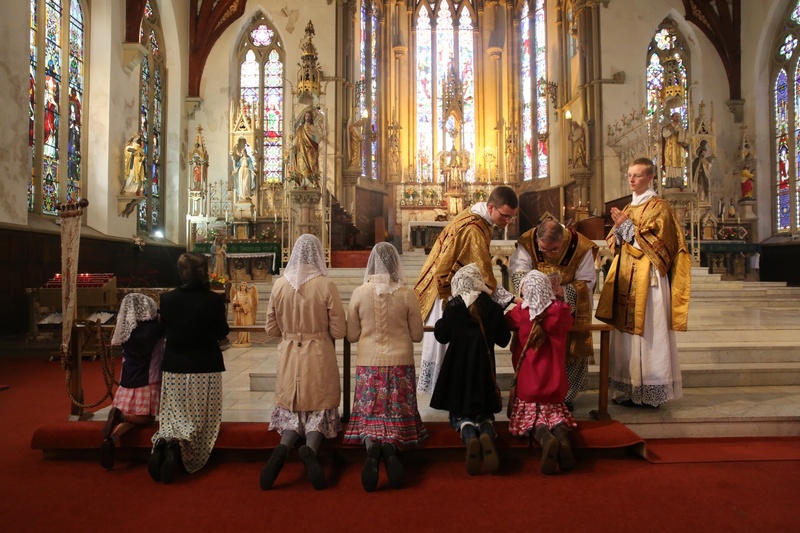 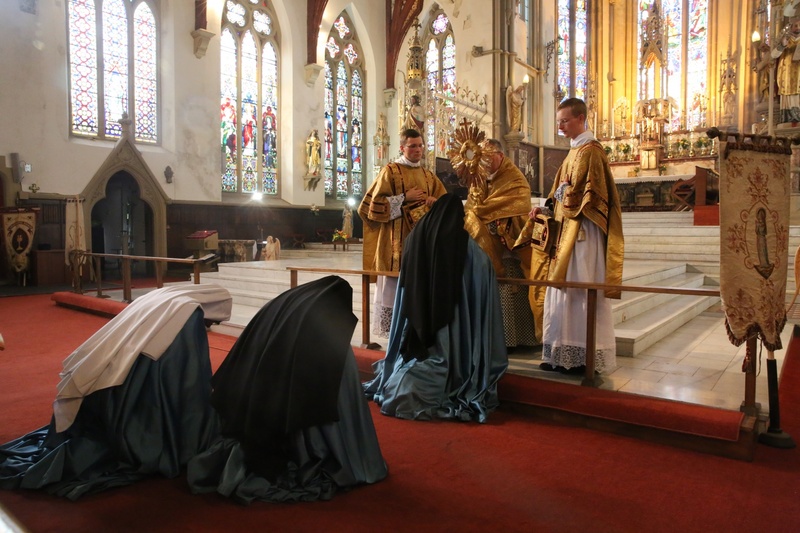 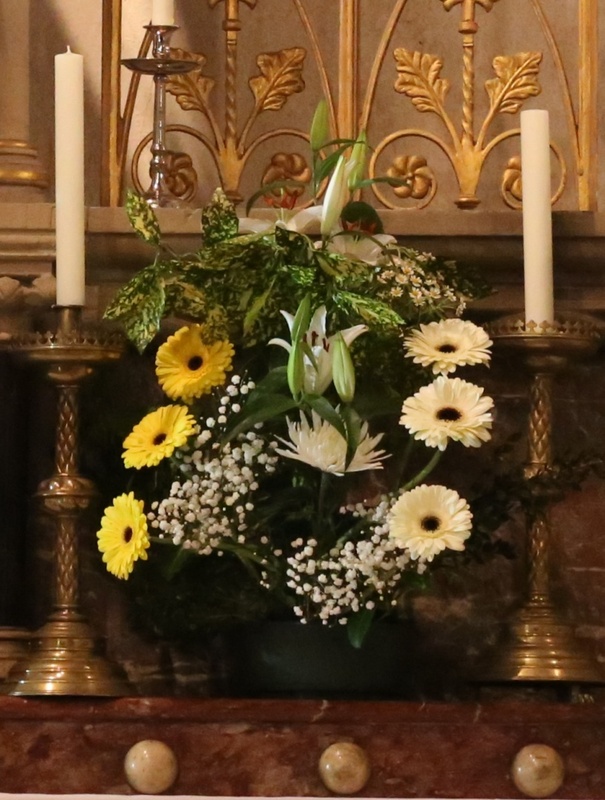 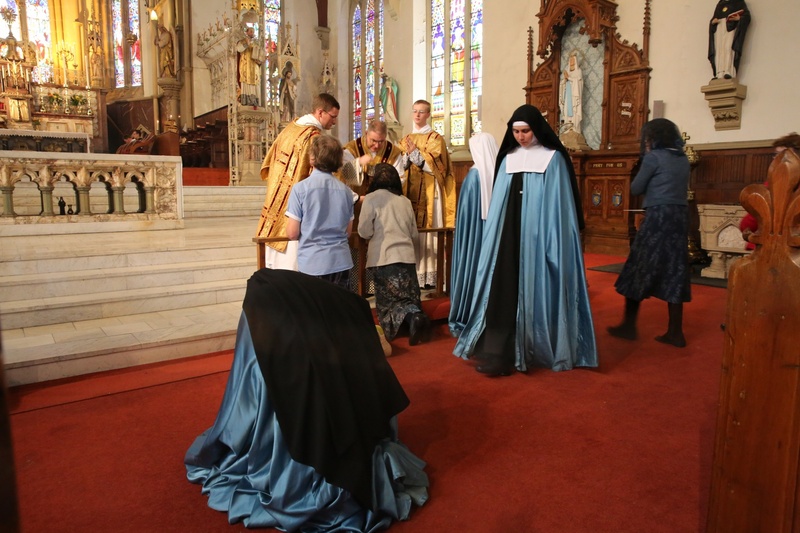 Afterwards the Consecration of the Shrines to the Immaculate Heart was renewed. 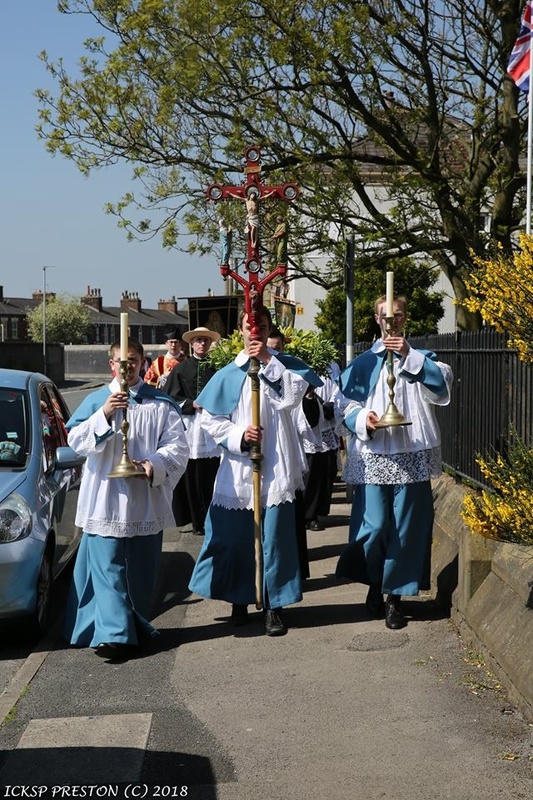 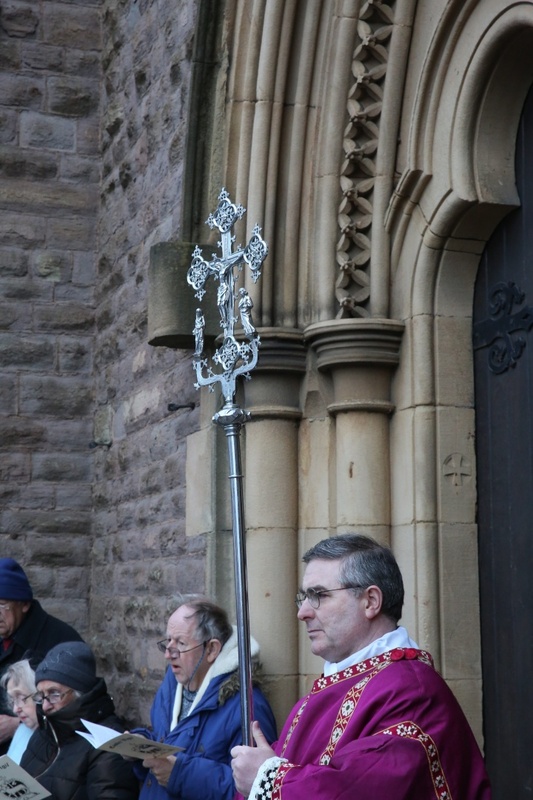 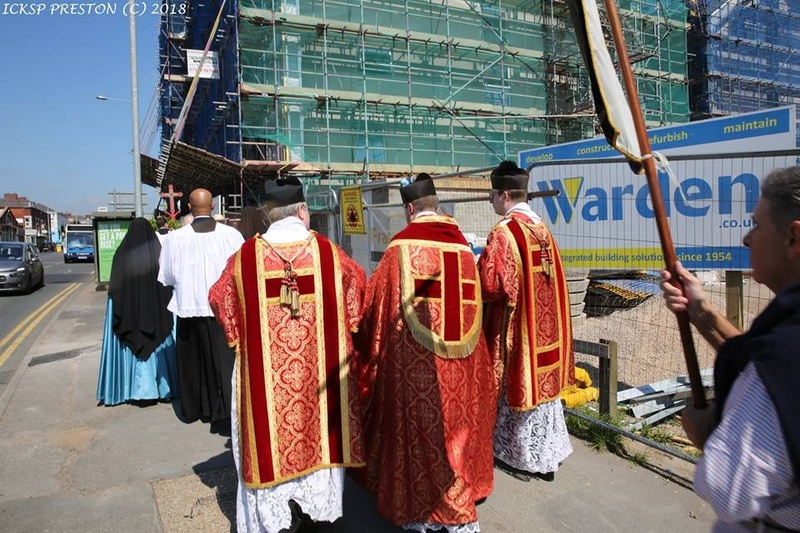 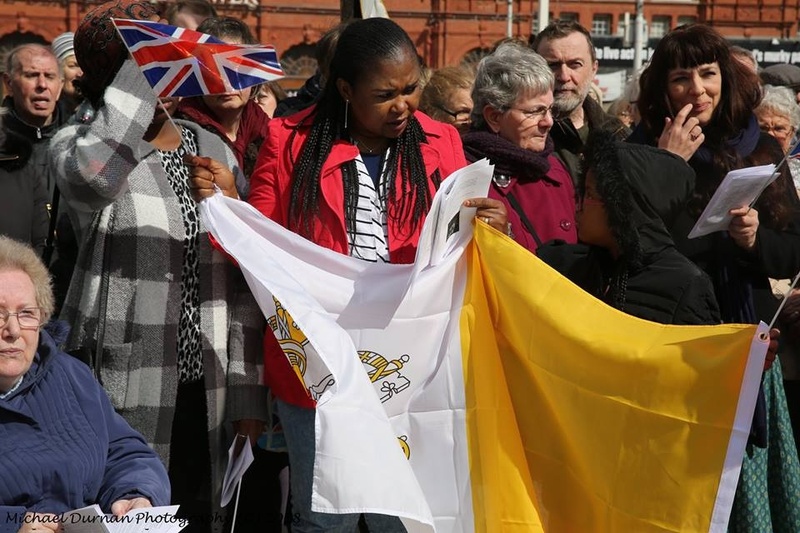 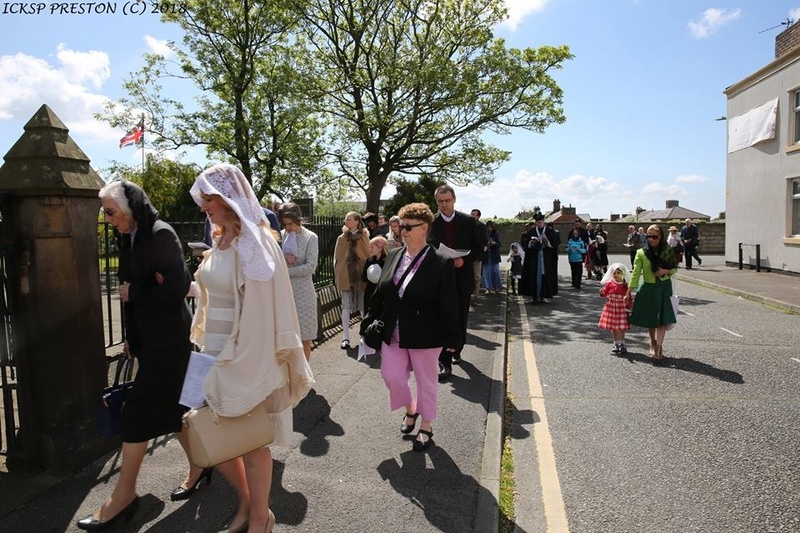 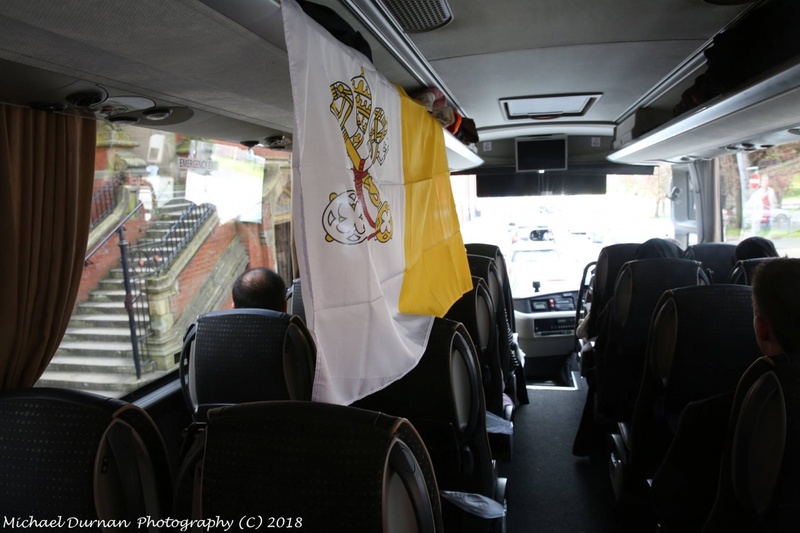 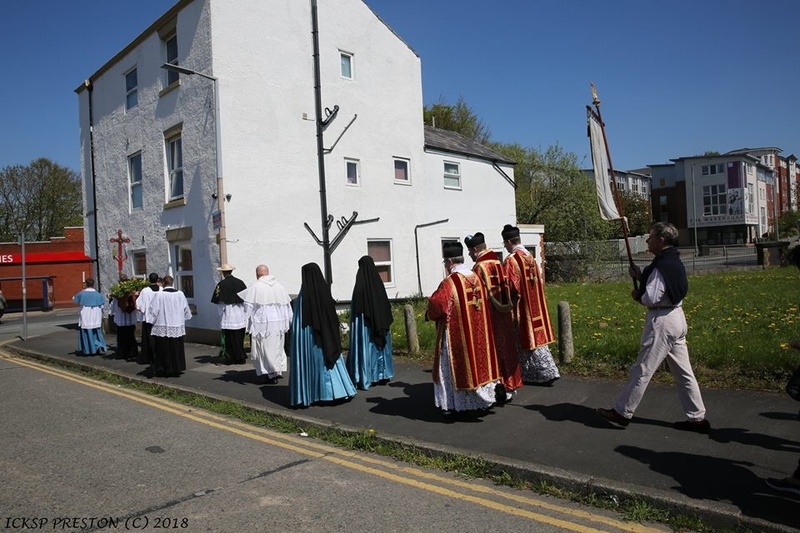 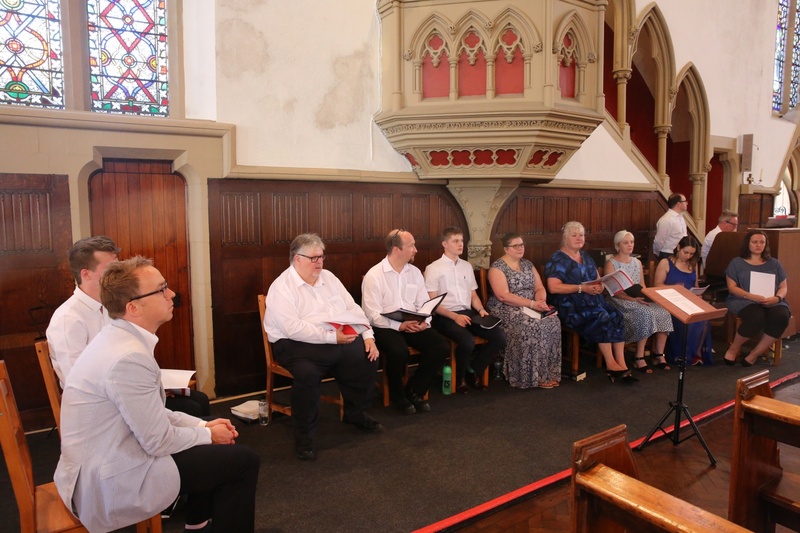 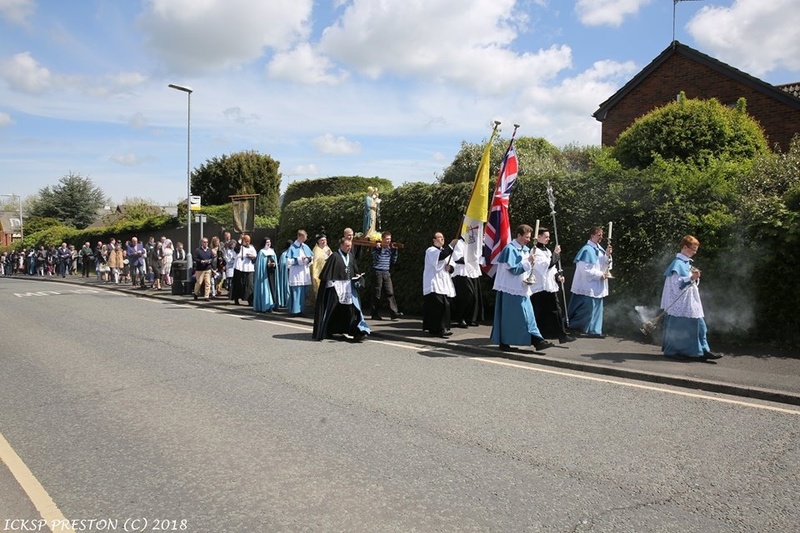 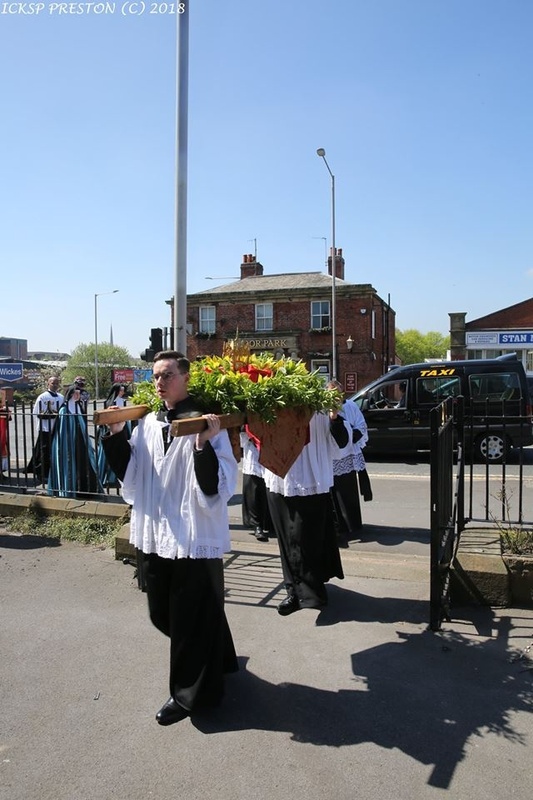 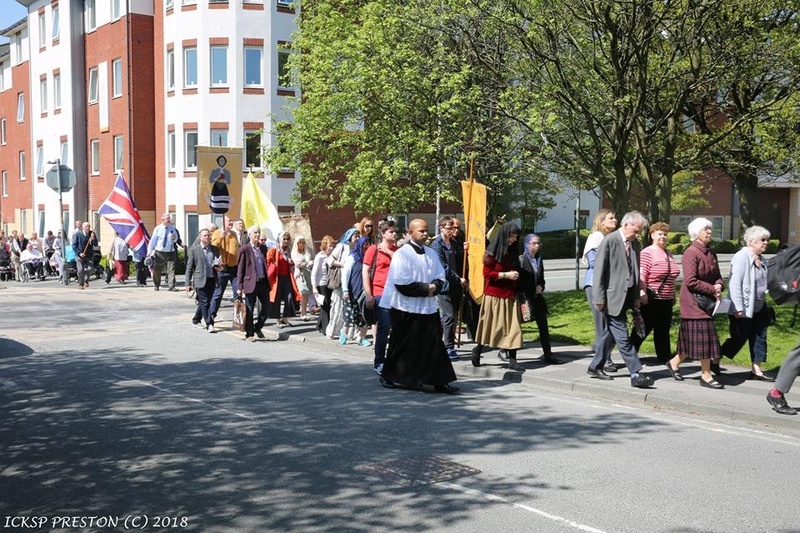 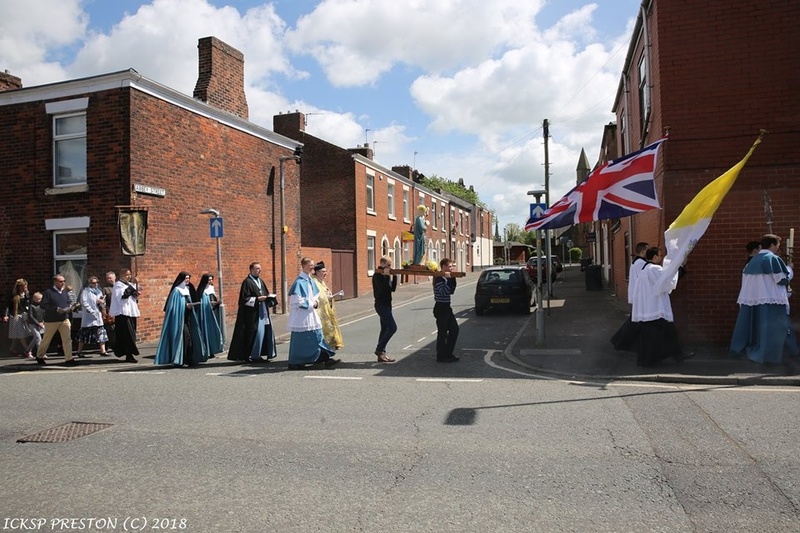 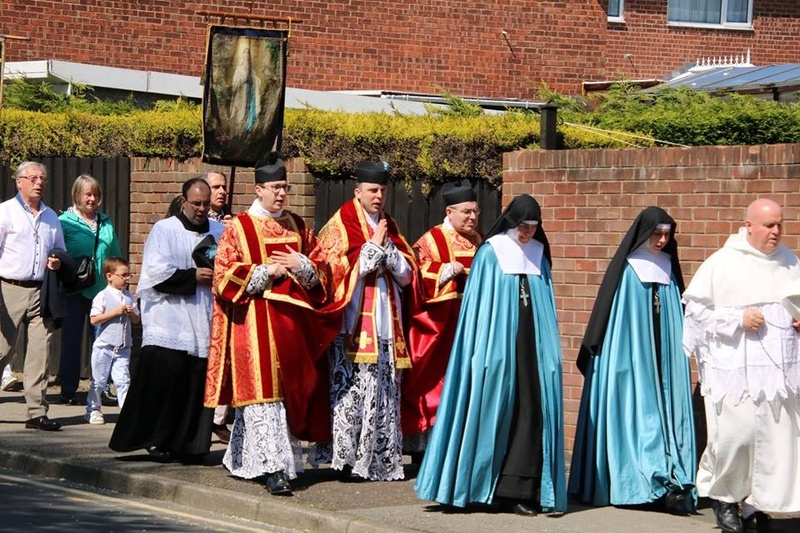 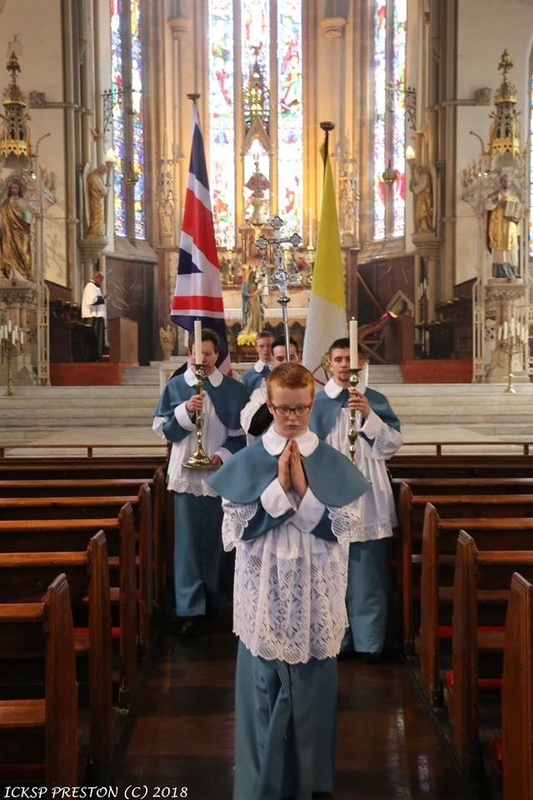 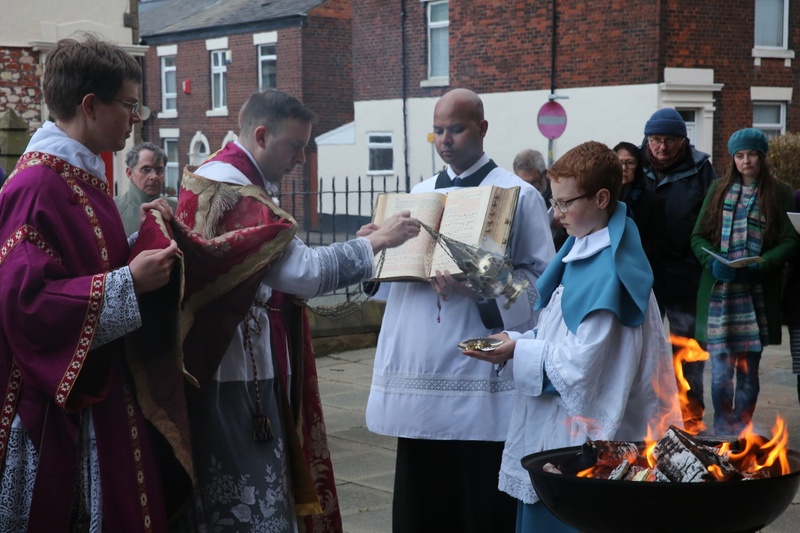 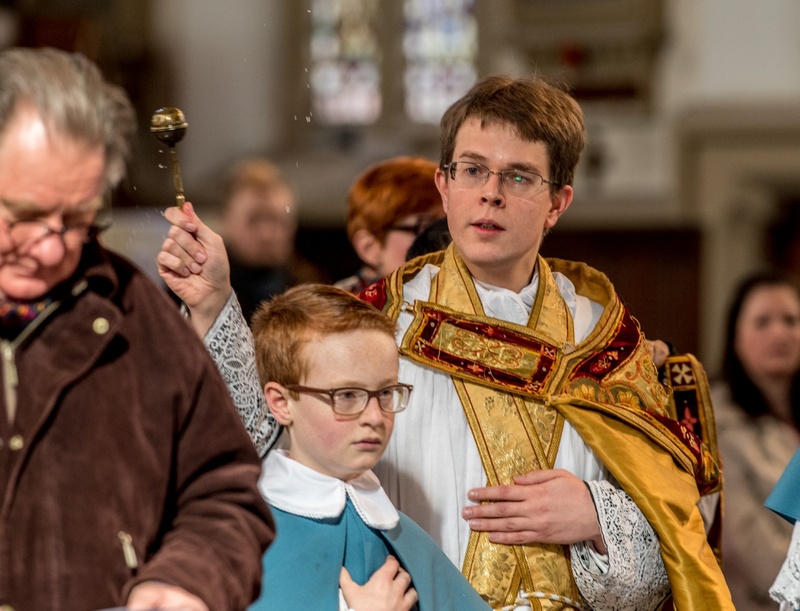 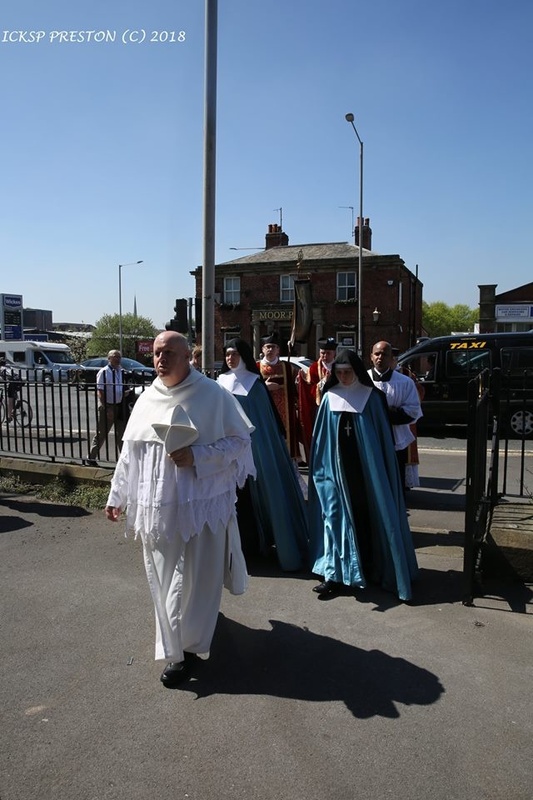 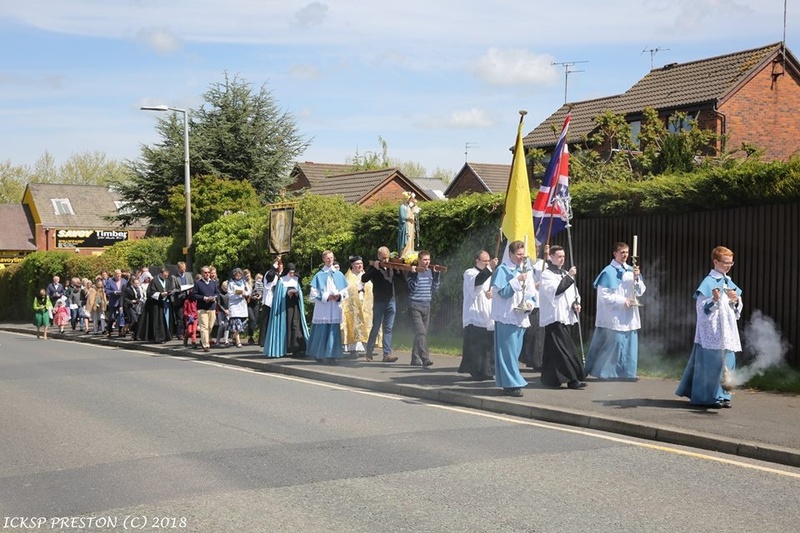 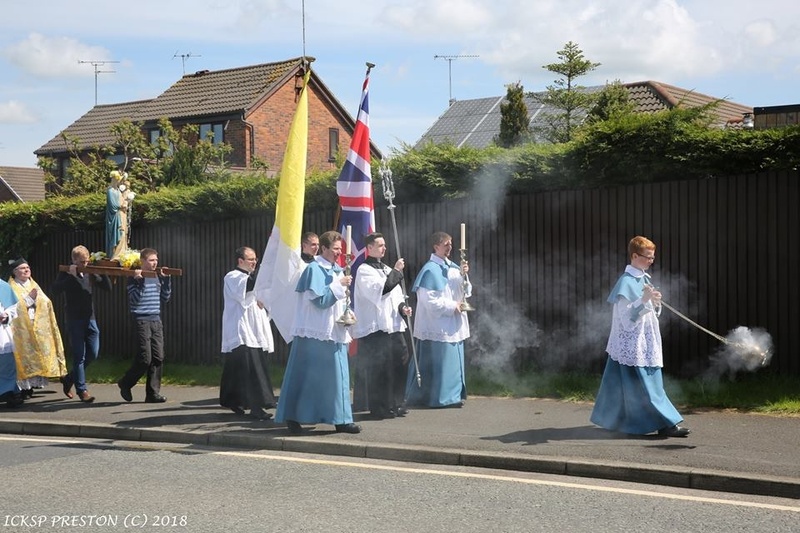 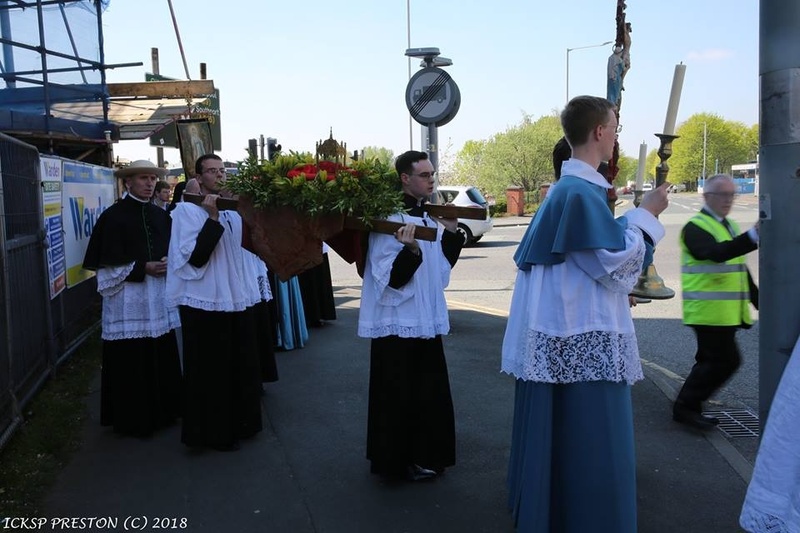 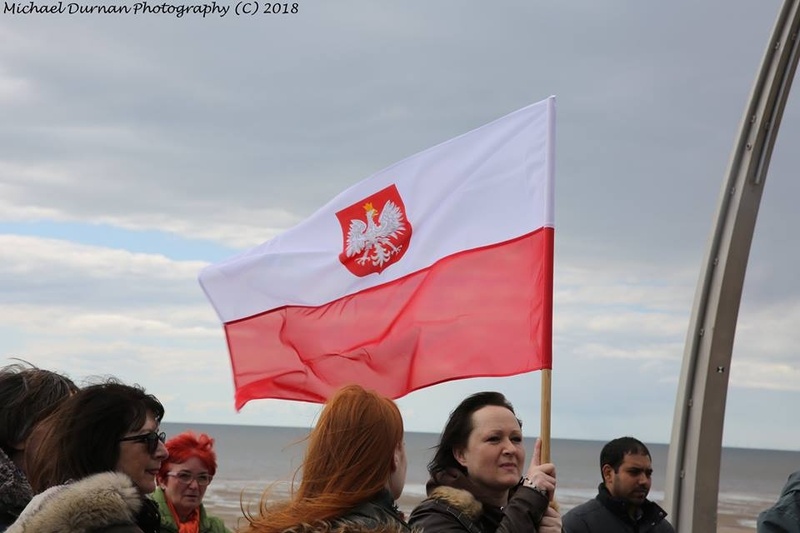 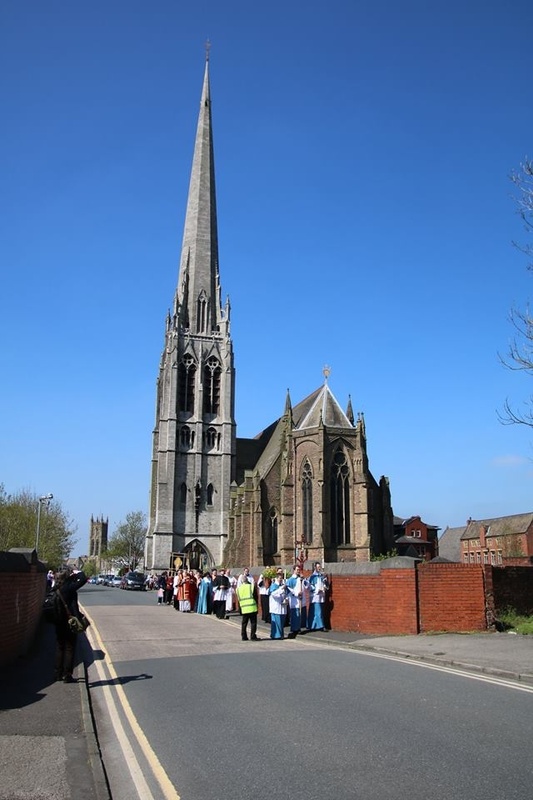 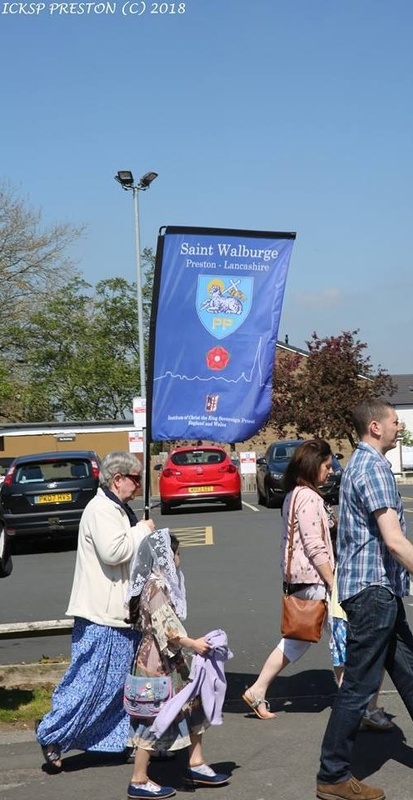 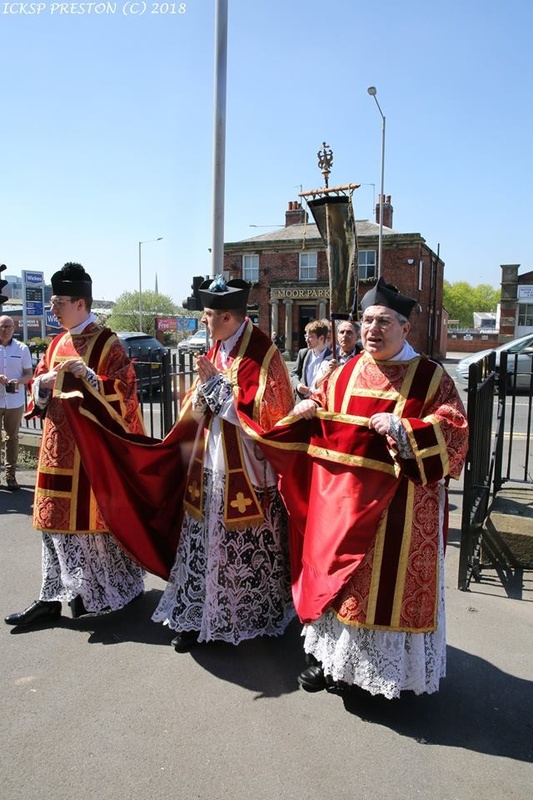 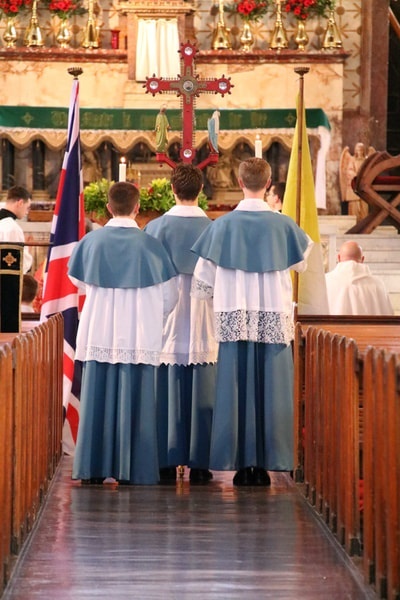 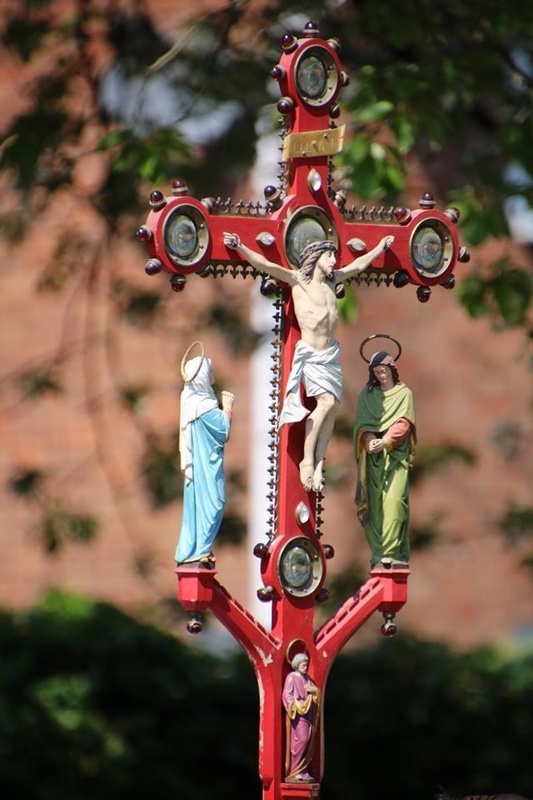 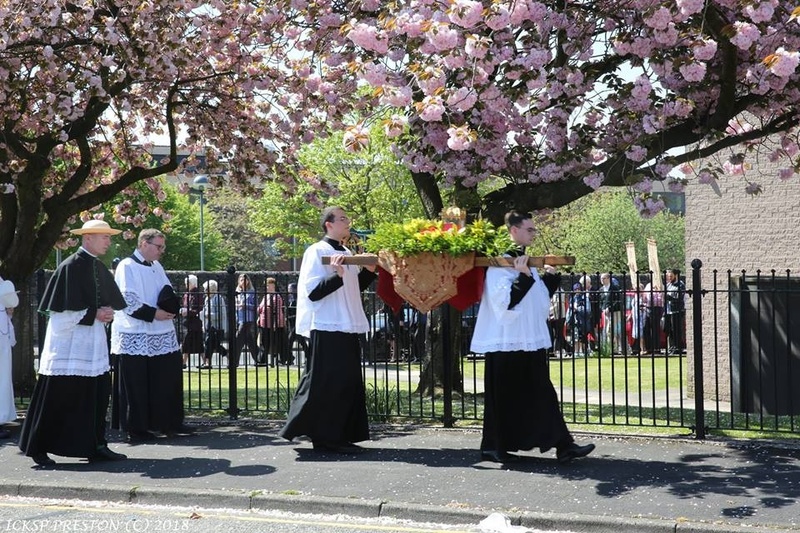 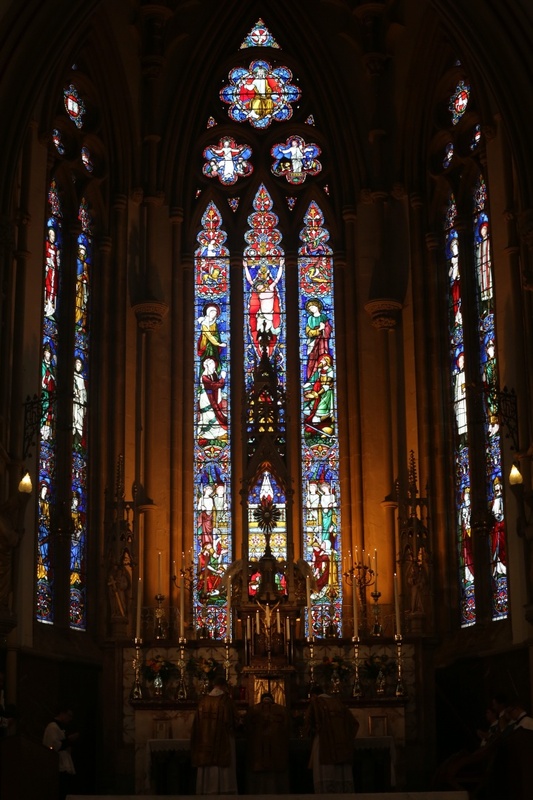 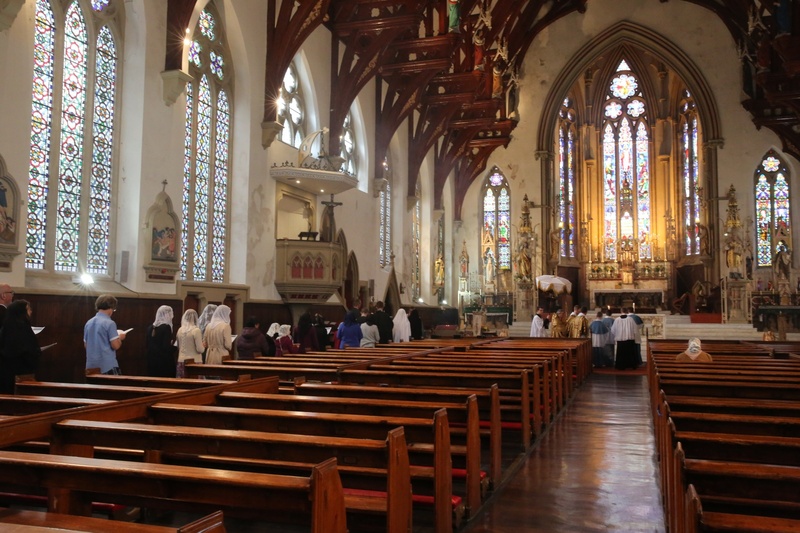 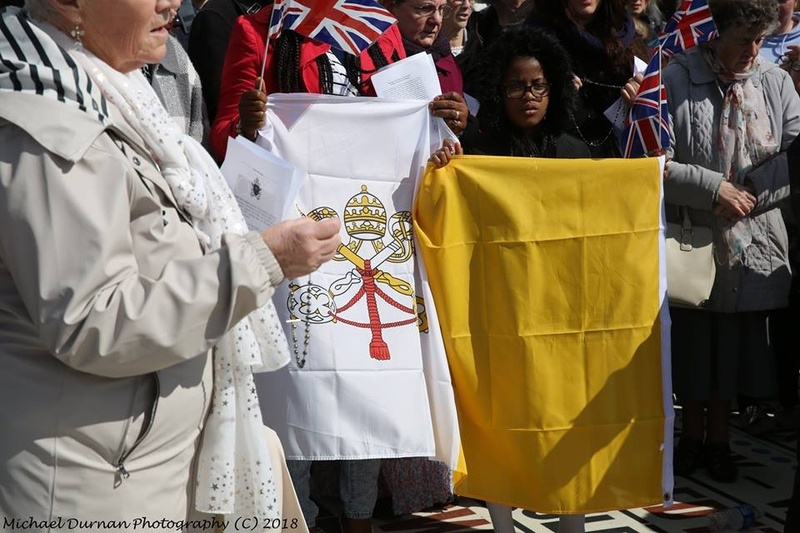 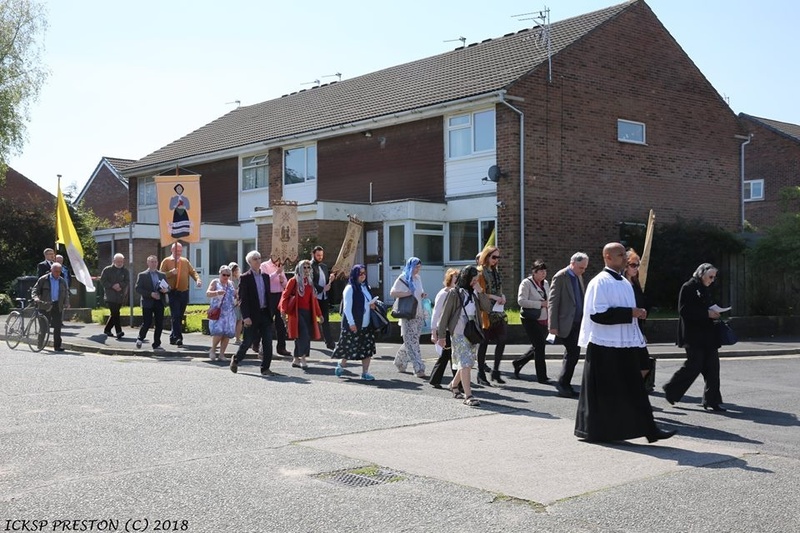 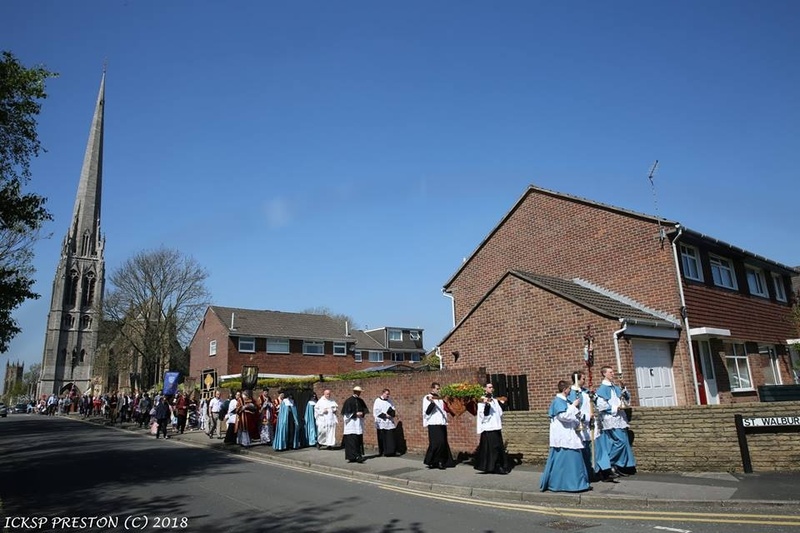 Preston witnessed a glorious procession from the Shrine Church of St Walburge to the Shrine Church of St Thomas of Canterbury and the English Martyrs in honour of the martyrs of England and Wales. 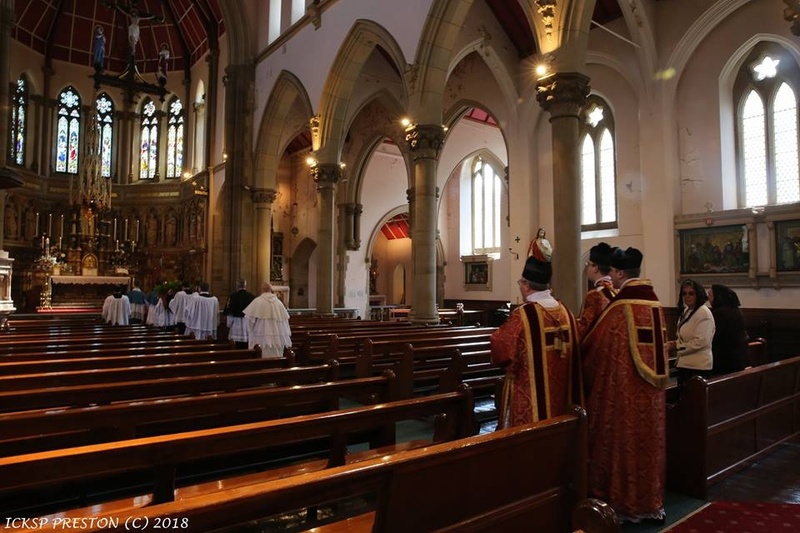 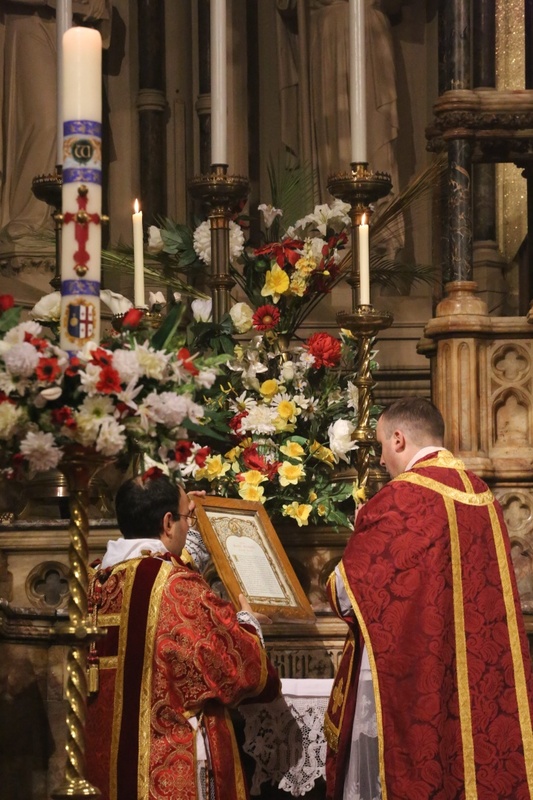 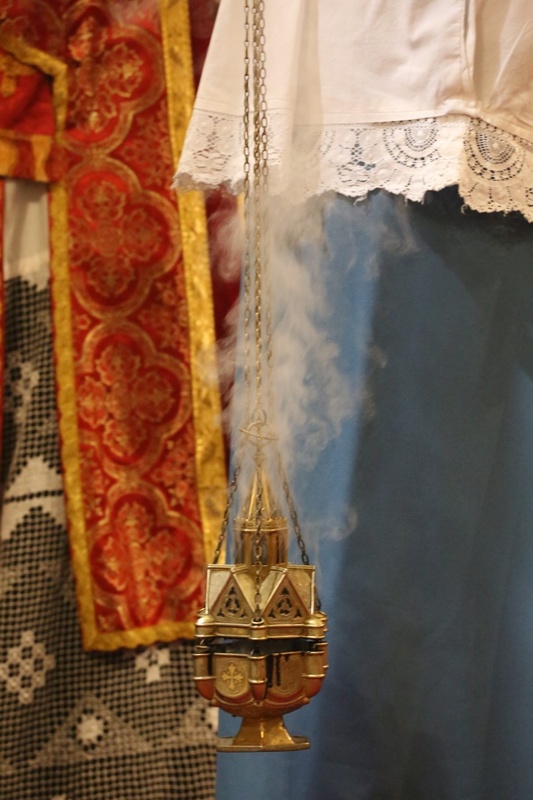 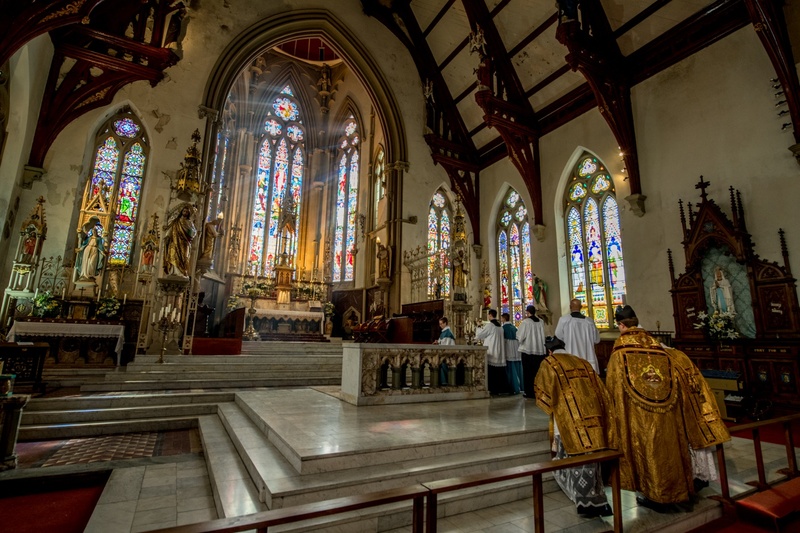 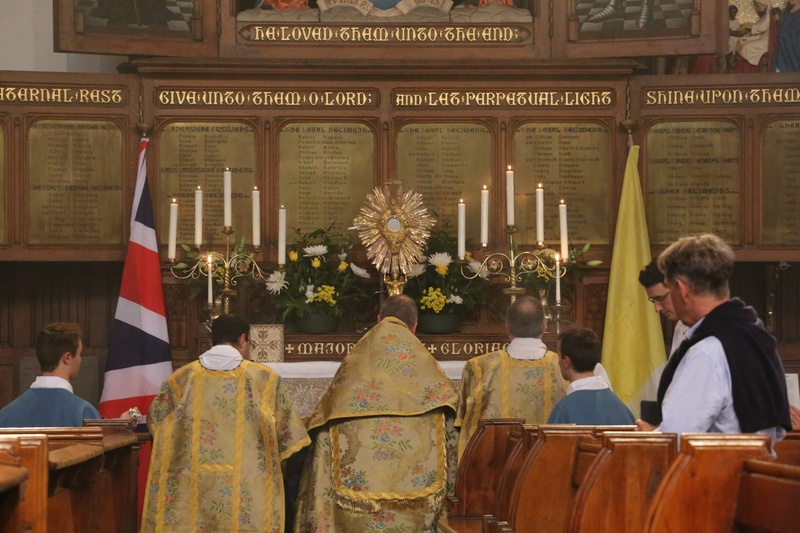 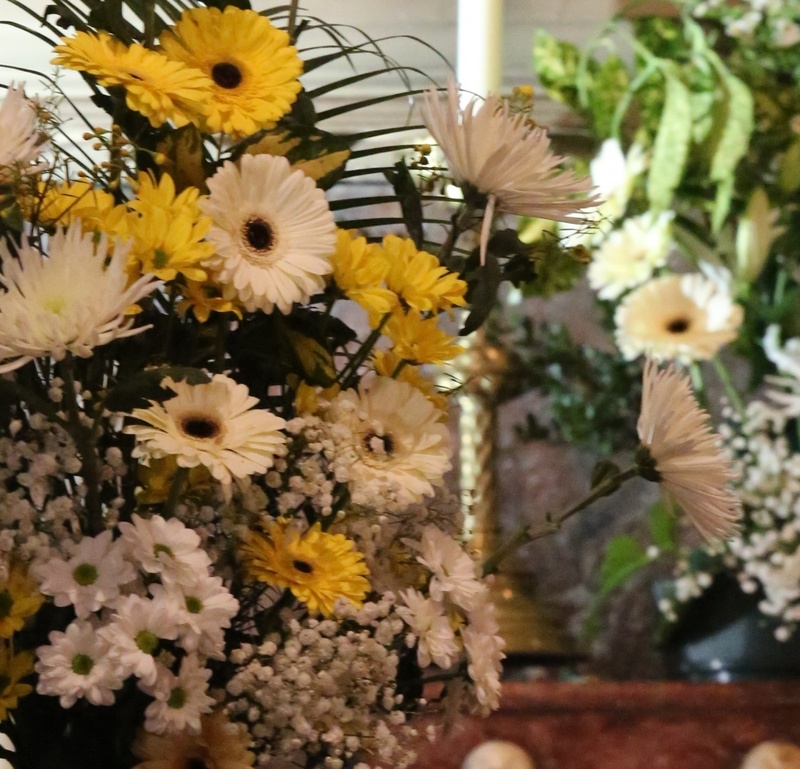 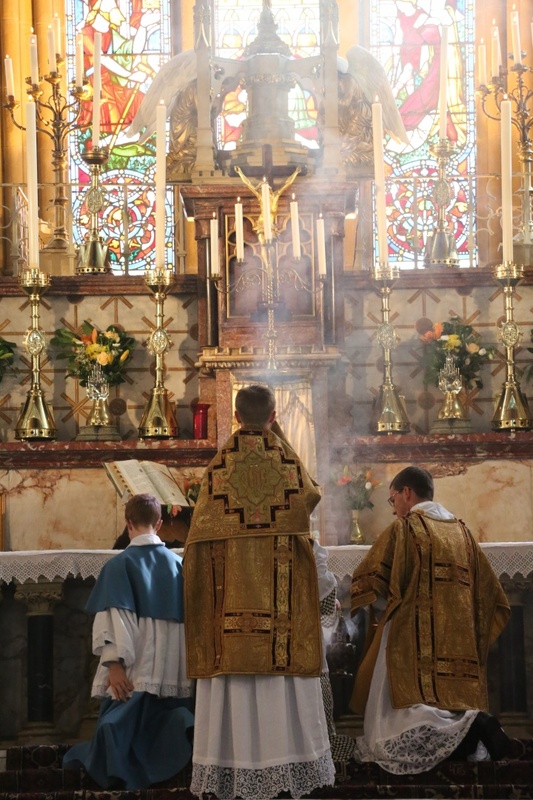 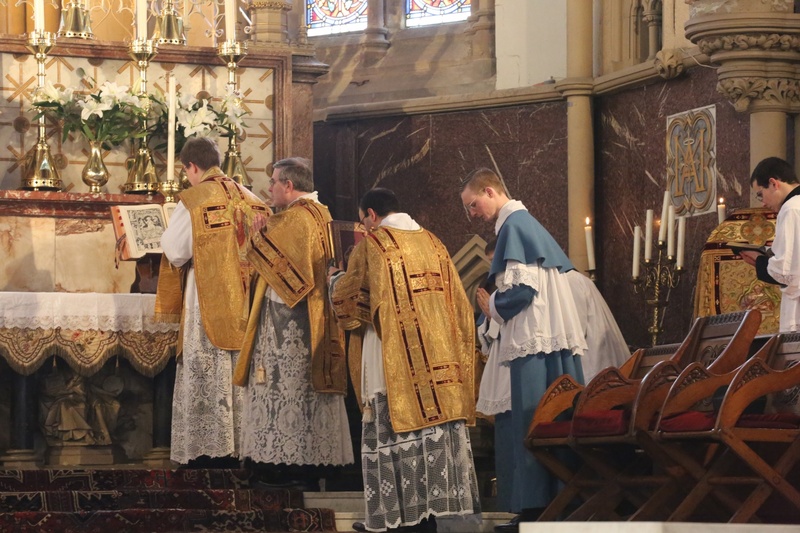 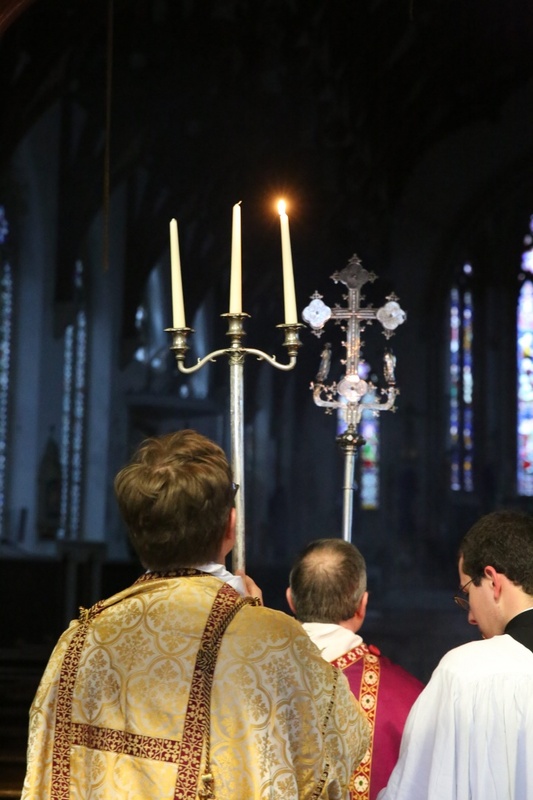 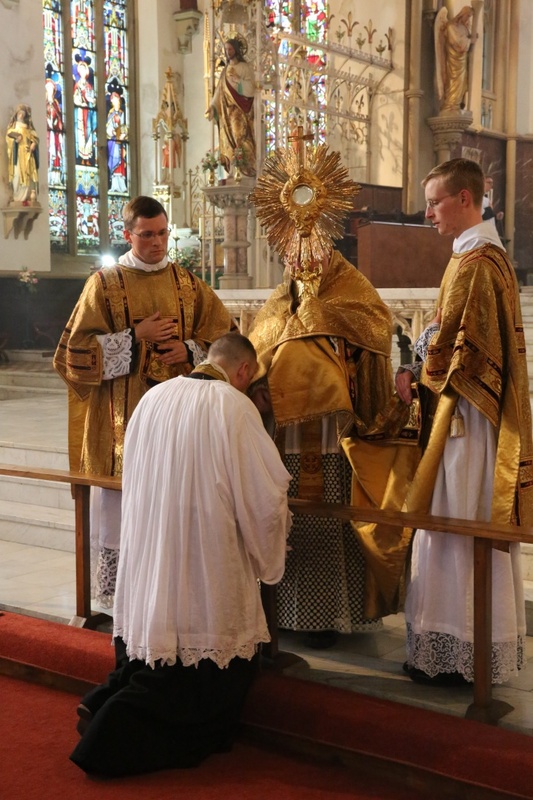 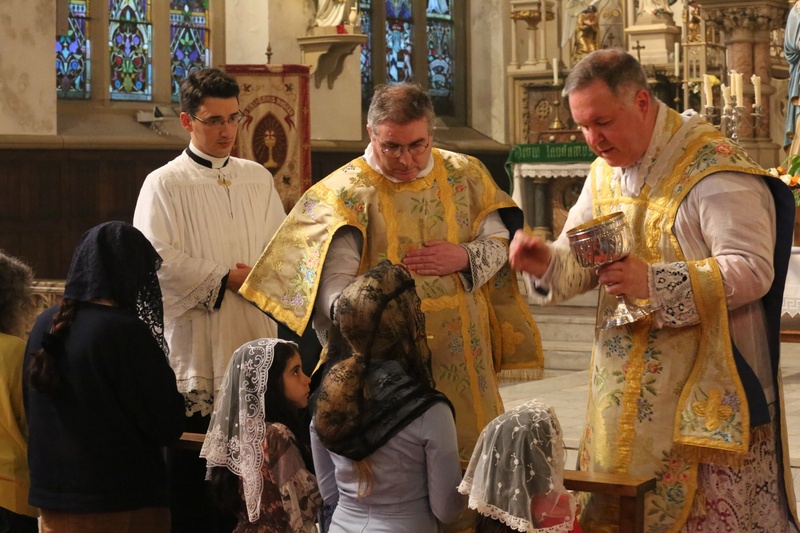 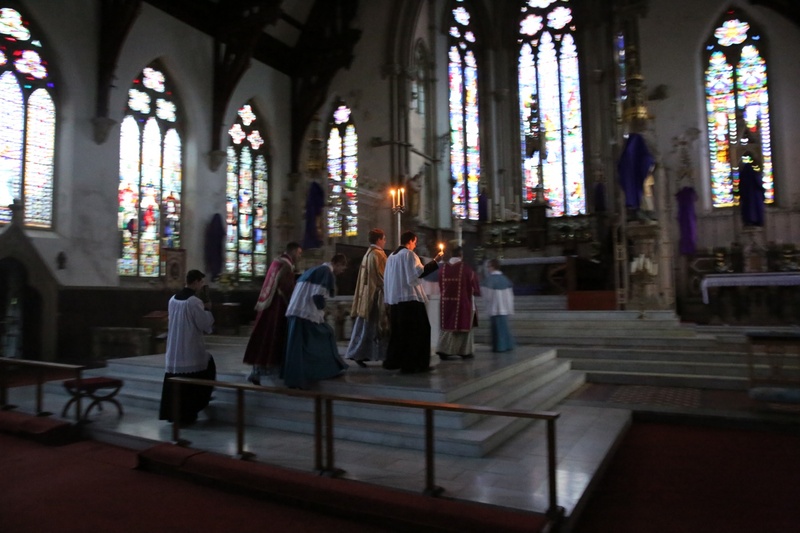 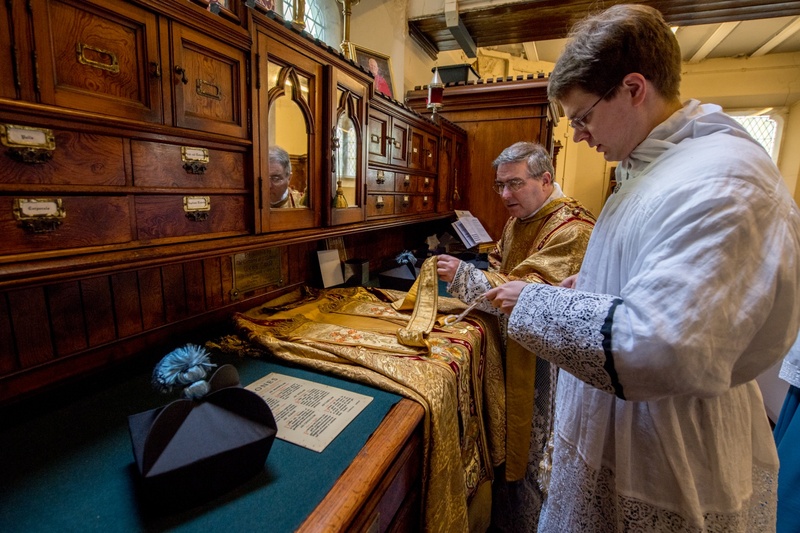 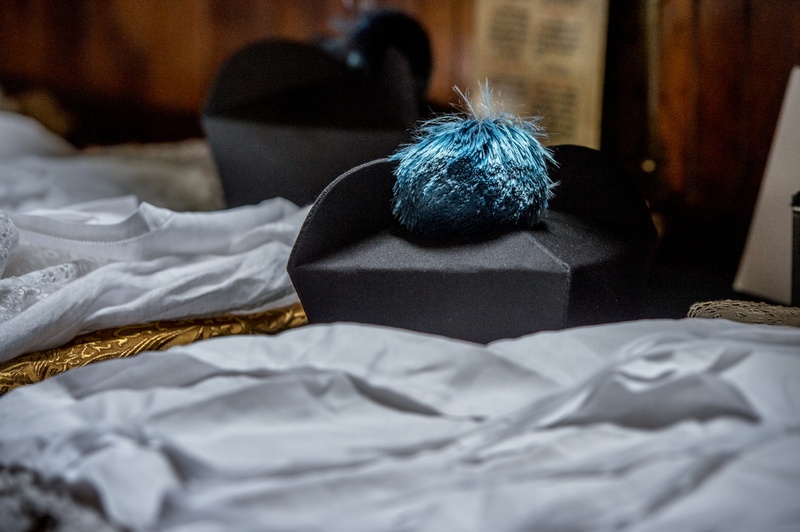 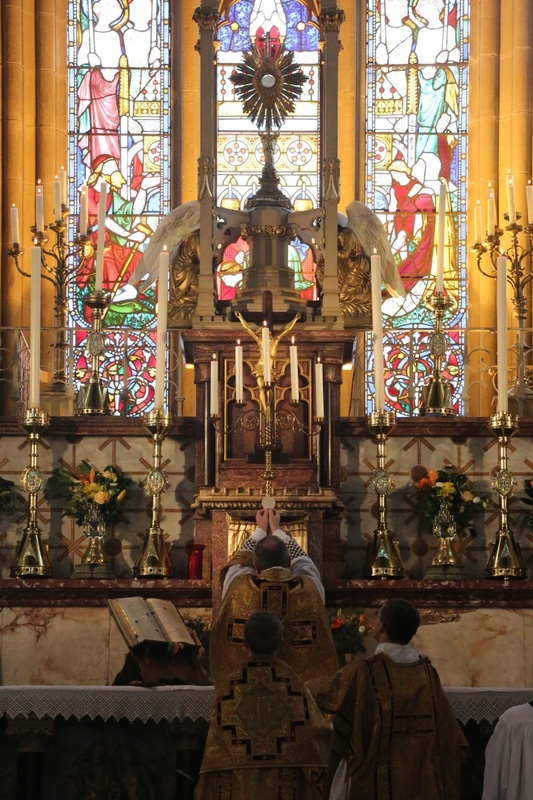 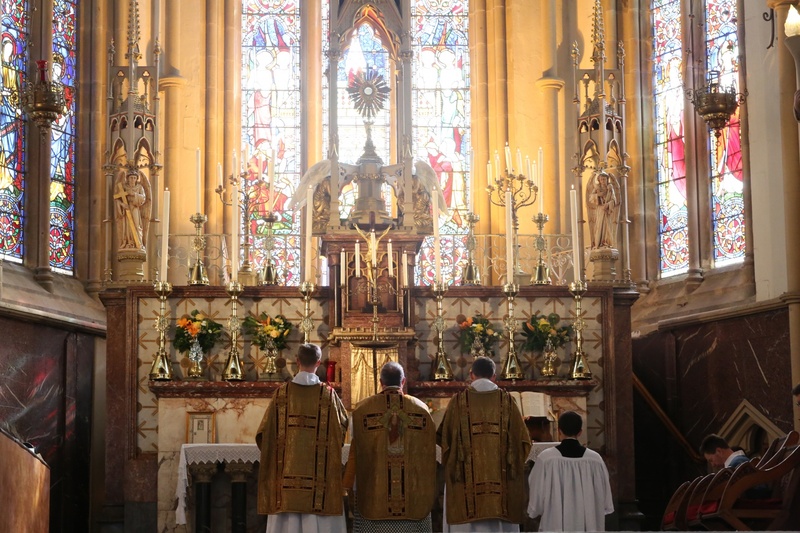 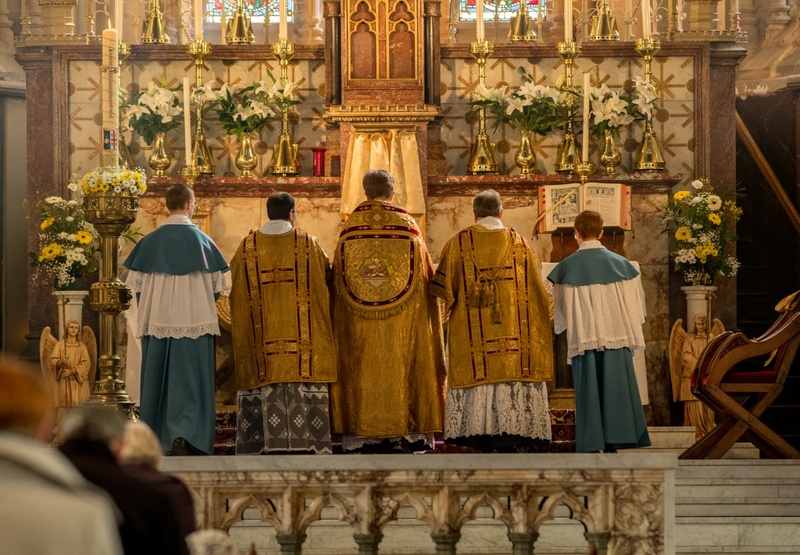 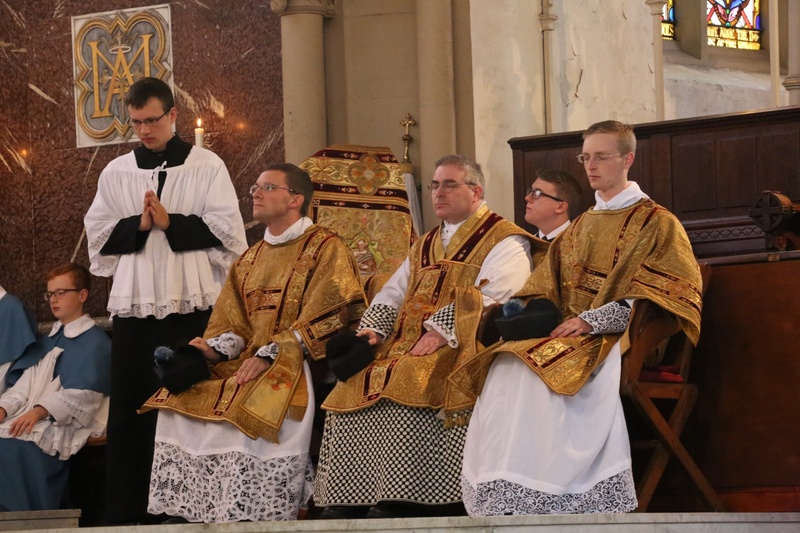 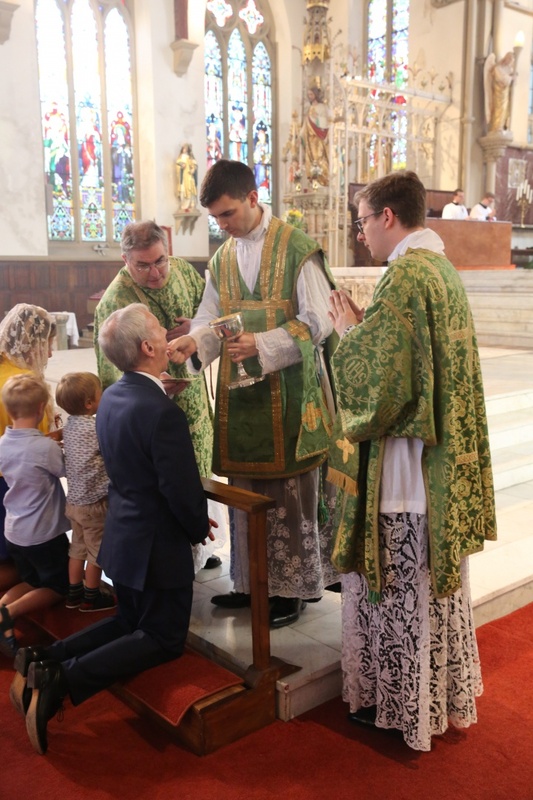 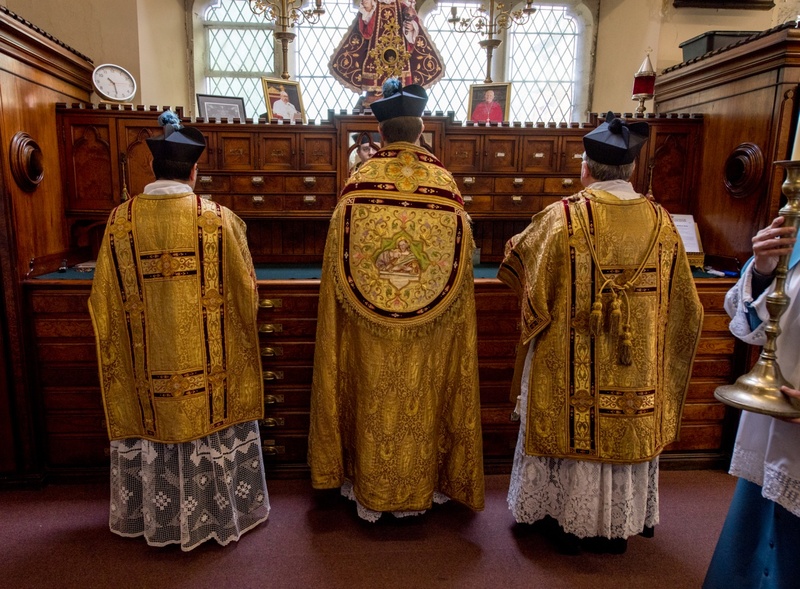 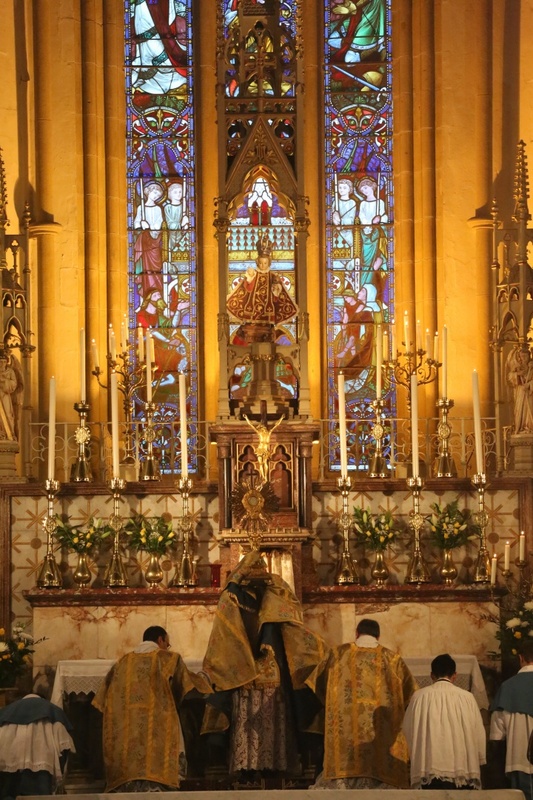 Solemn High Mass was then celebrated at the Shrine Church of the English Martyrs followed by veneration of the martyrs relics. 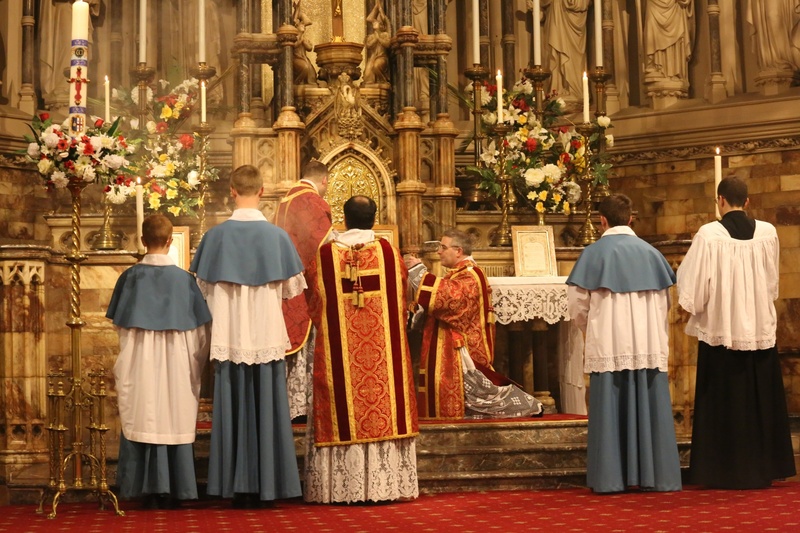 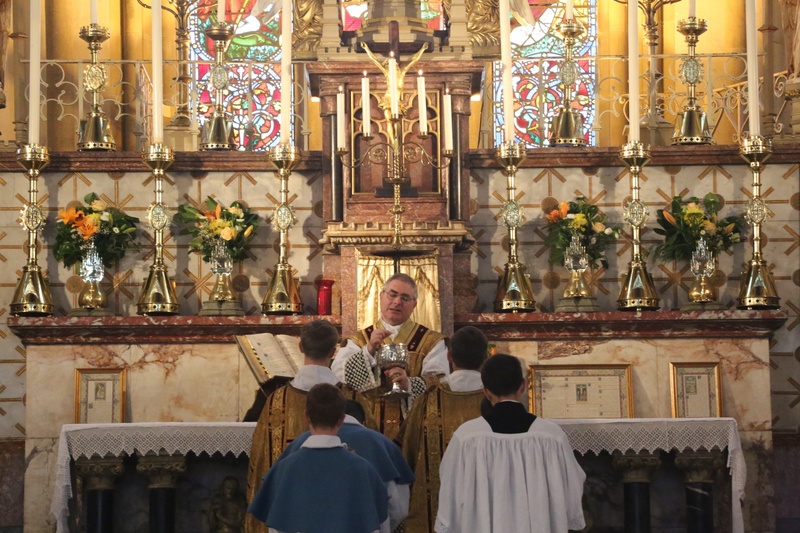 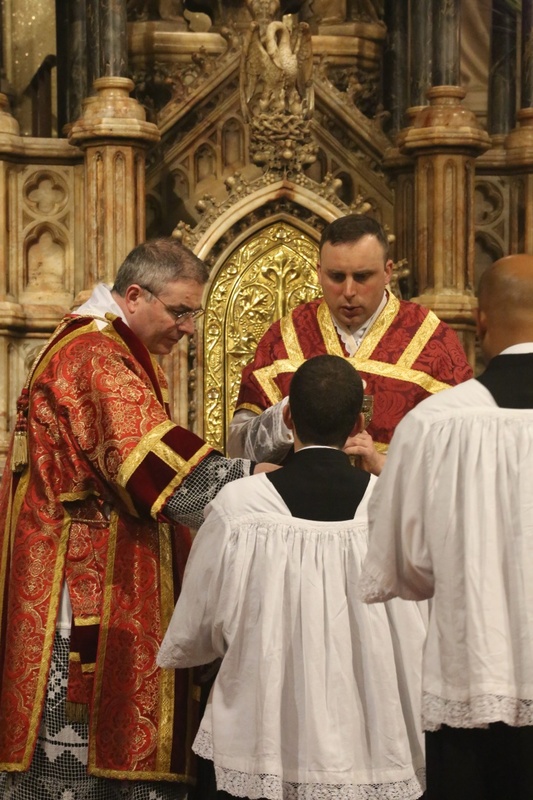 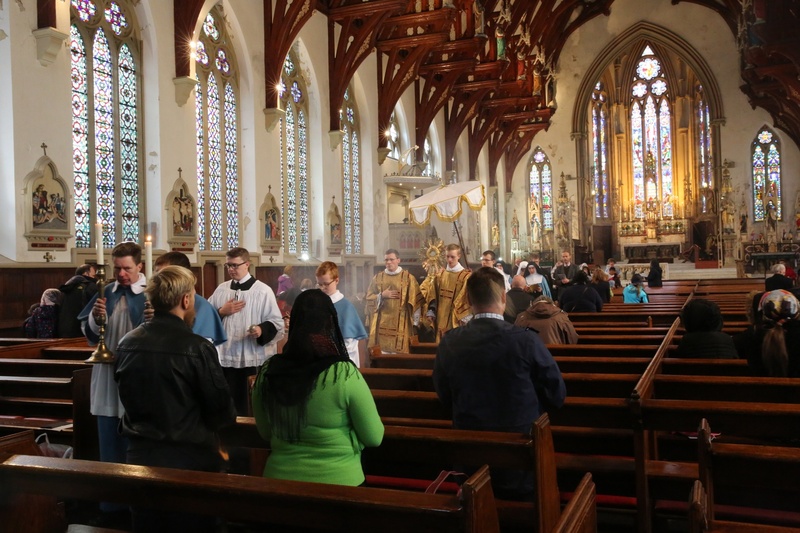 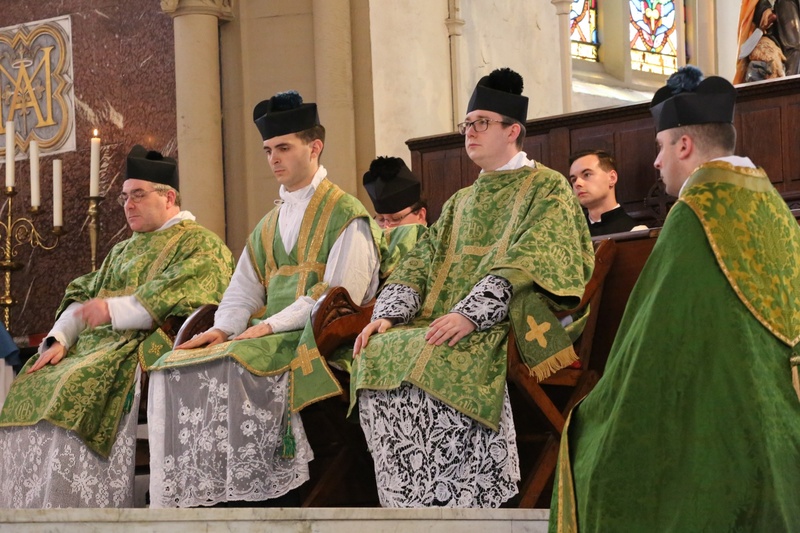 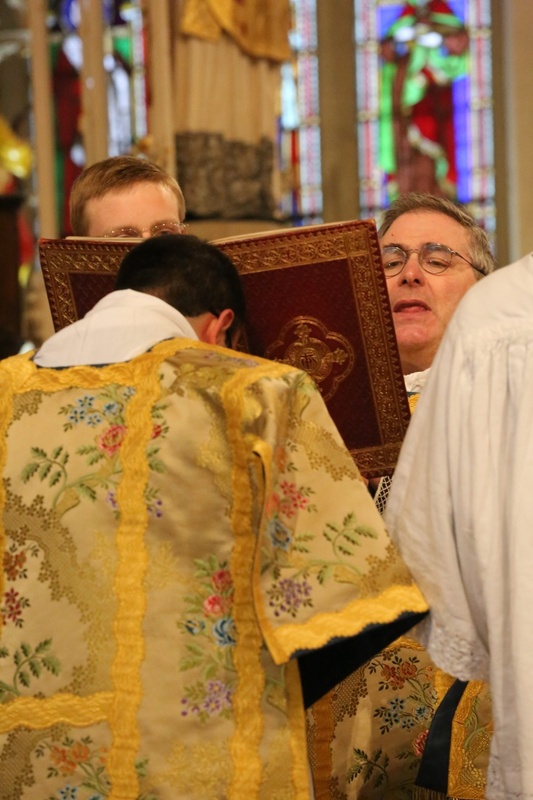 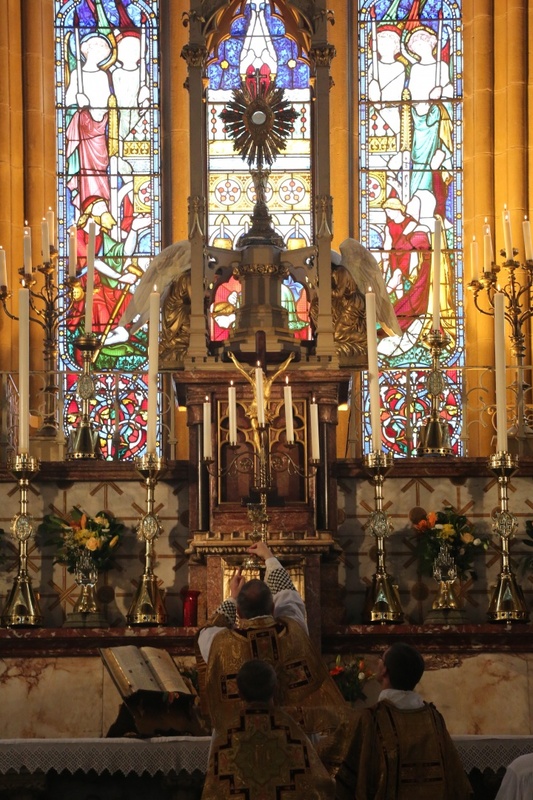 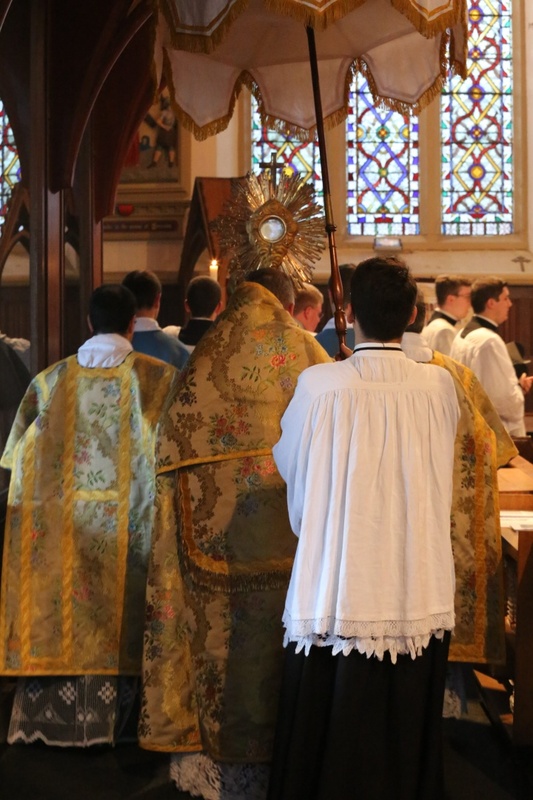 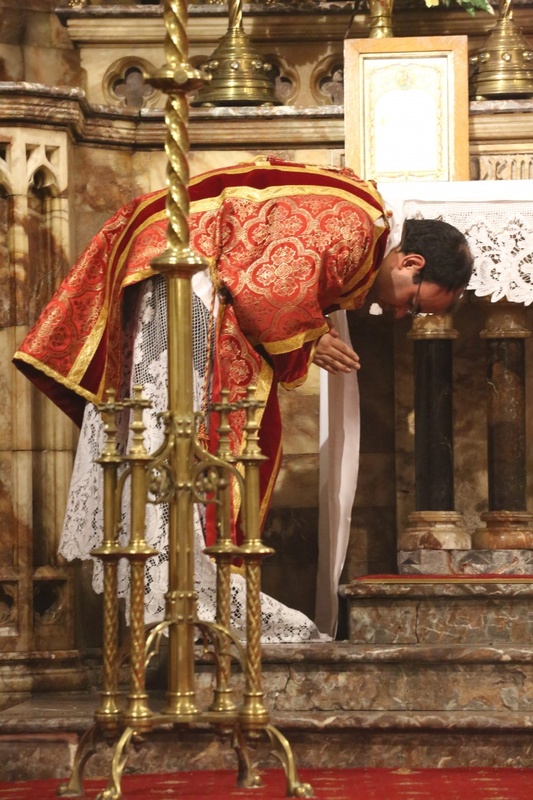 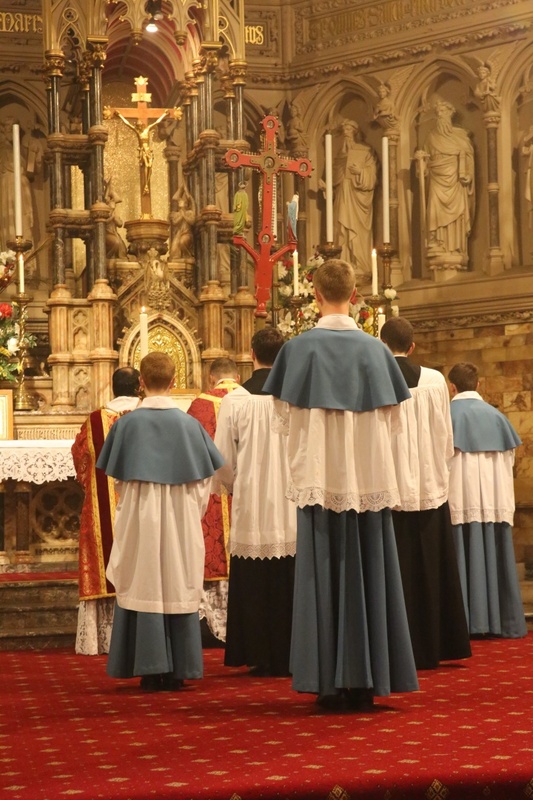 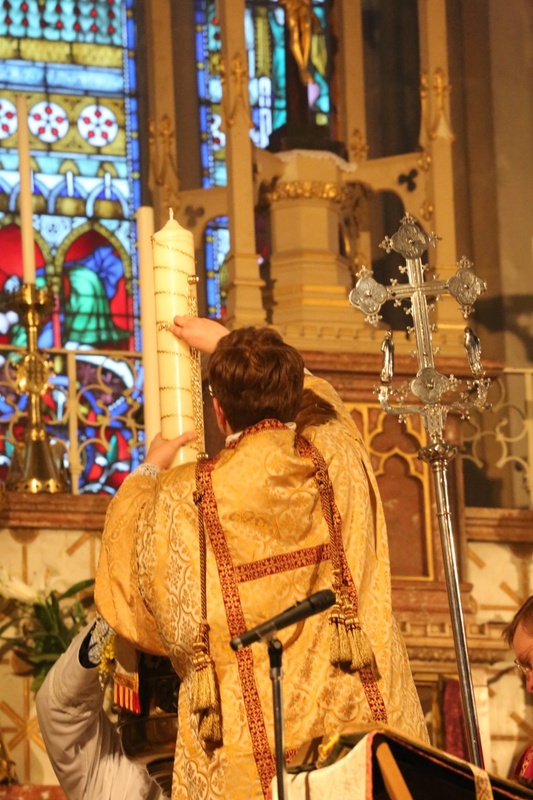 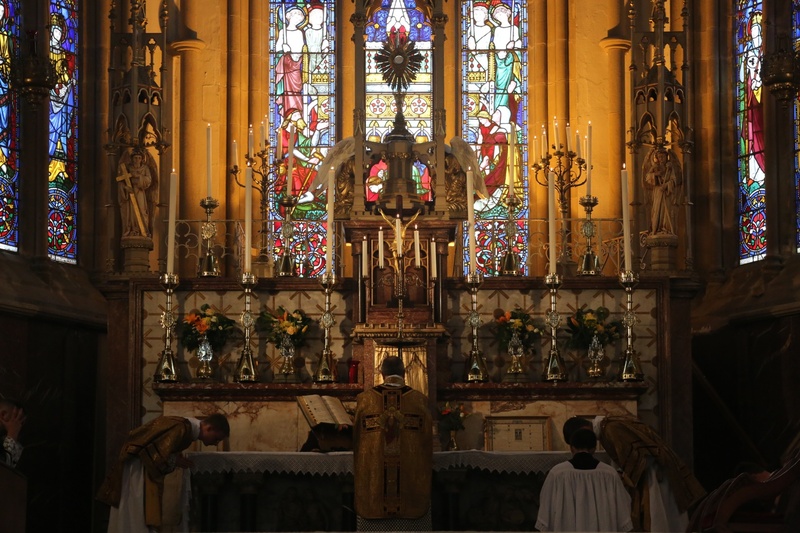 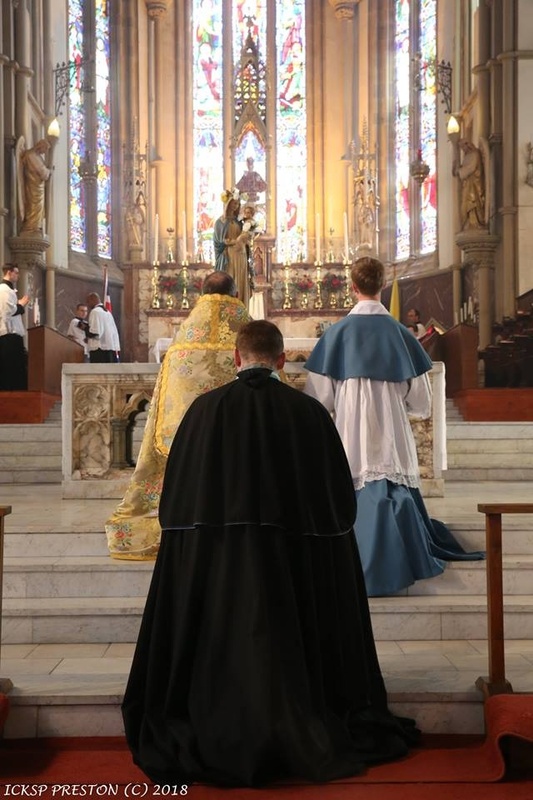 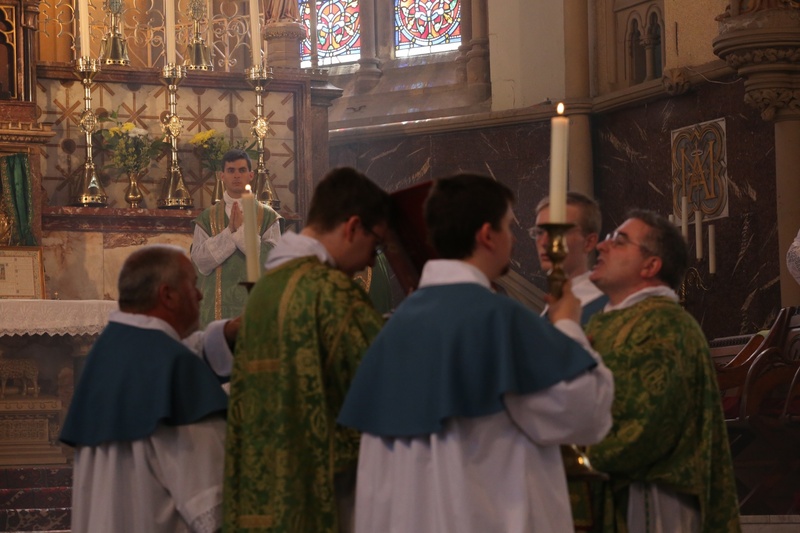 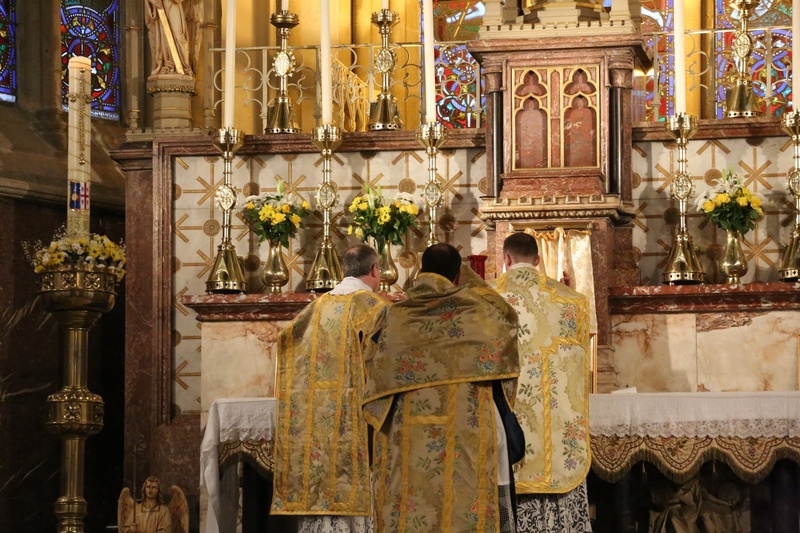 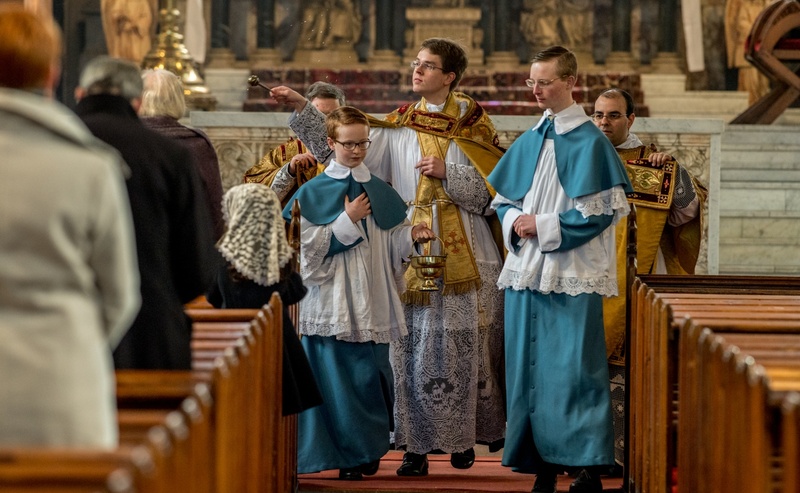 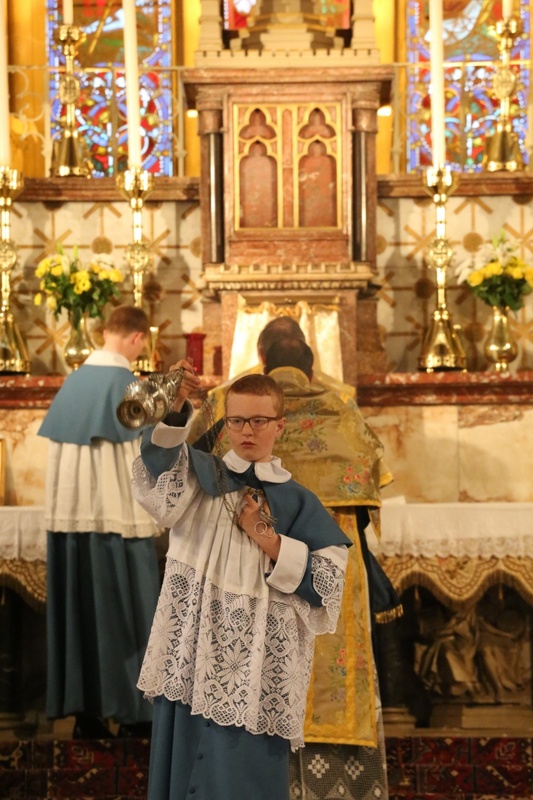 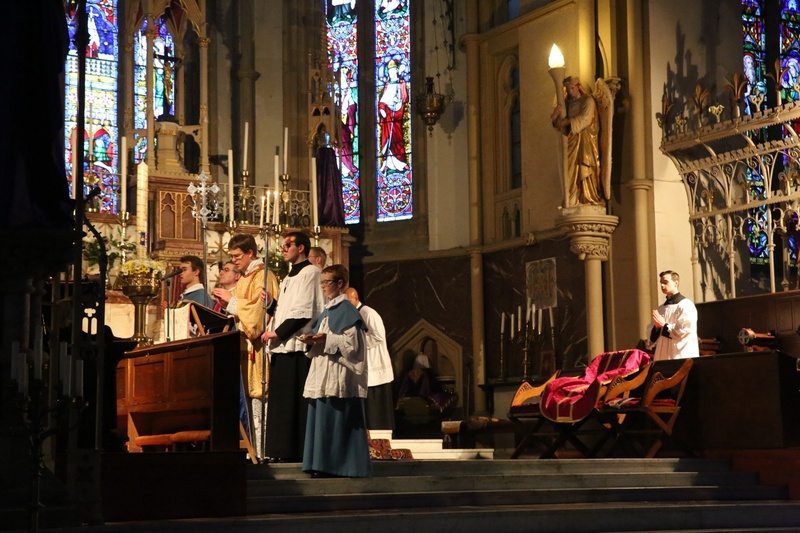 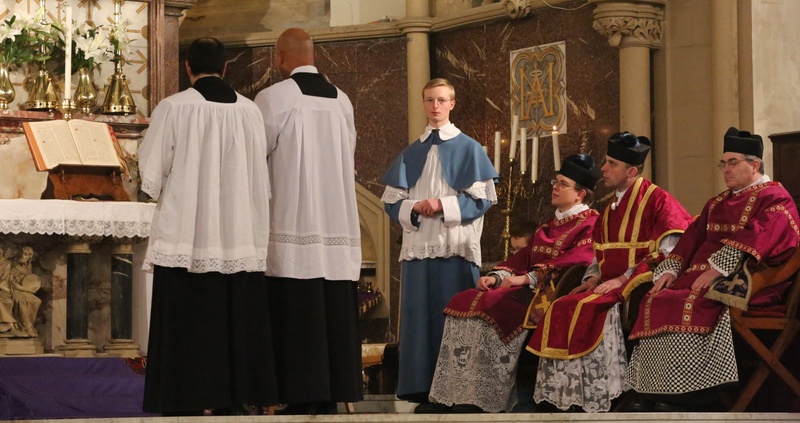 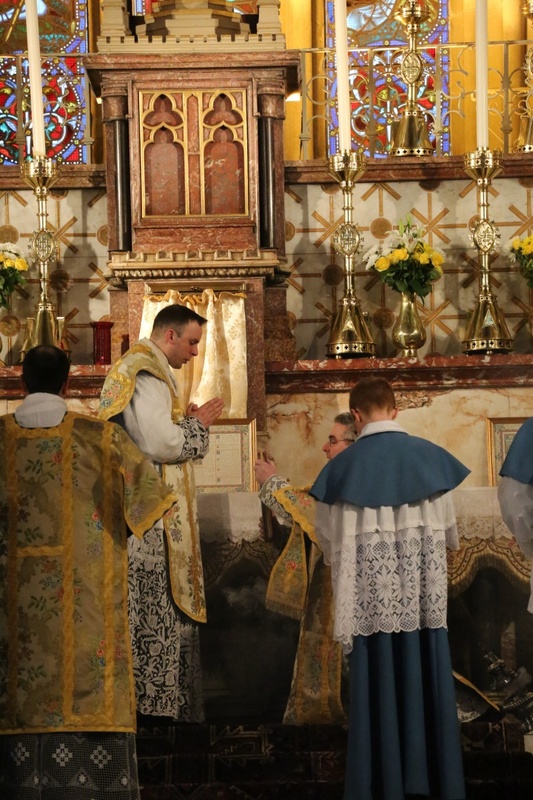 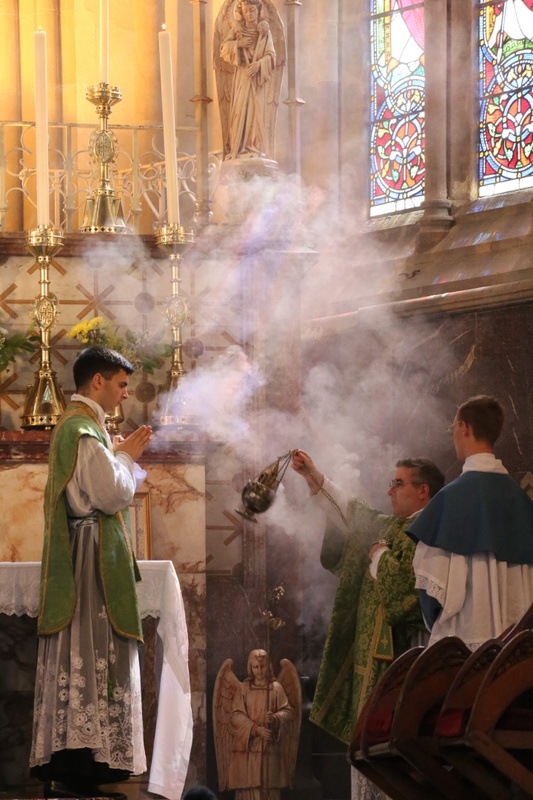 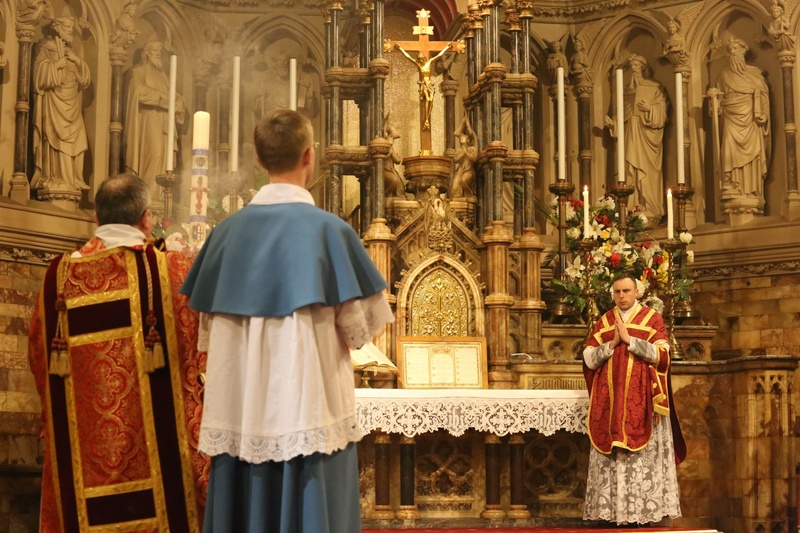 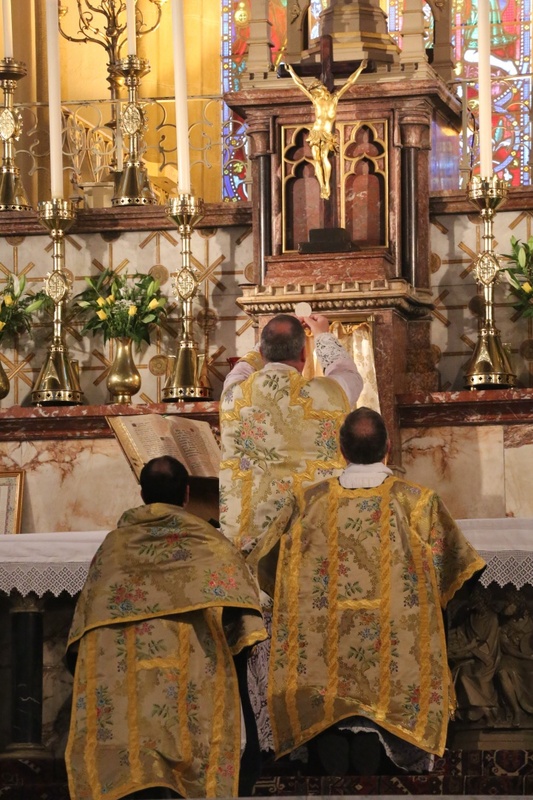 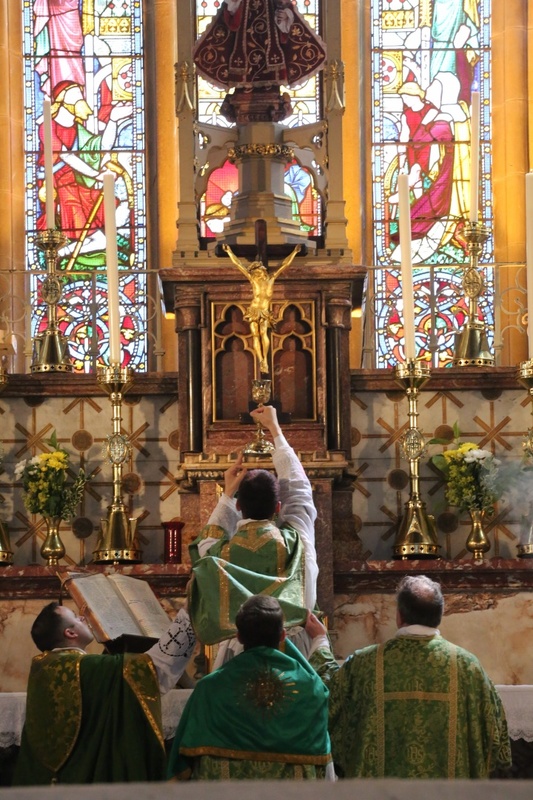 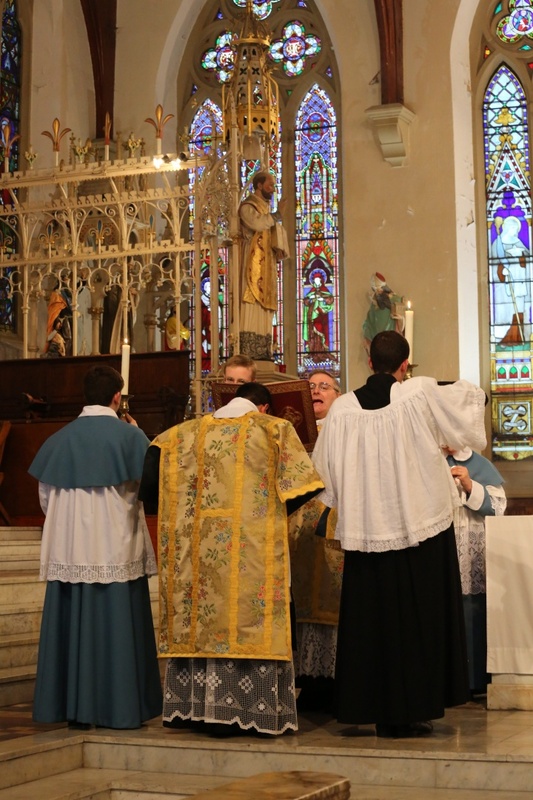 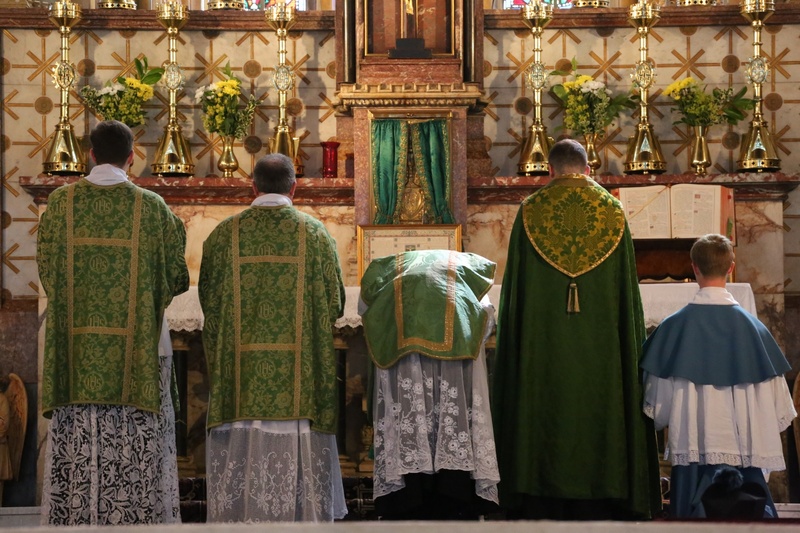 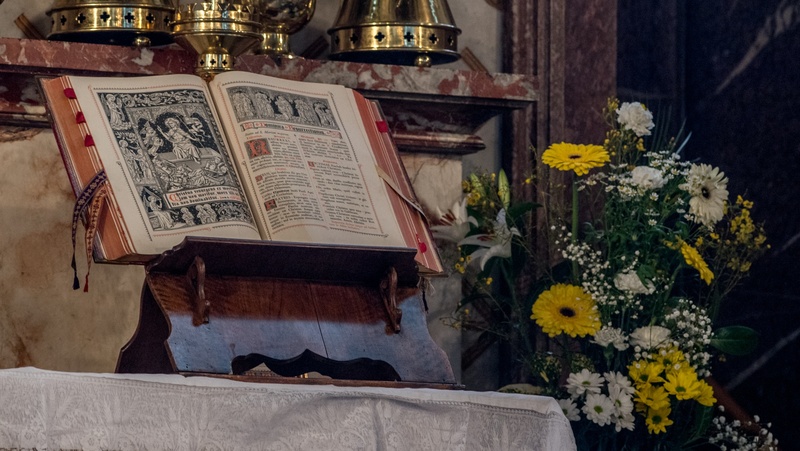 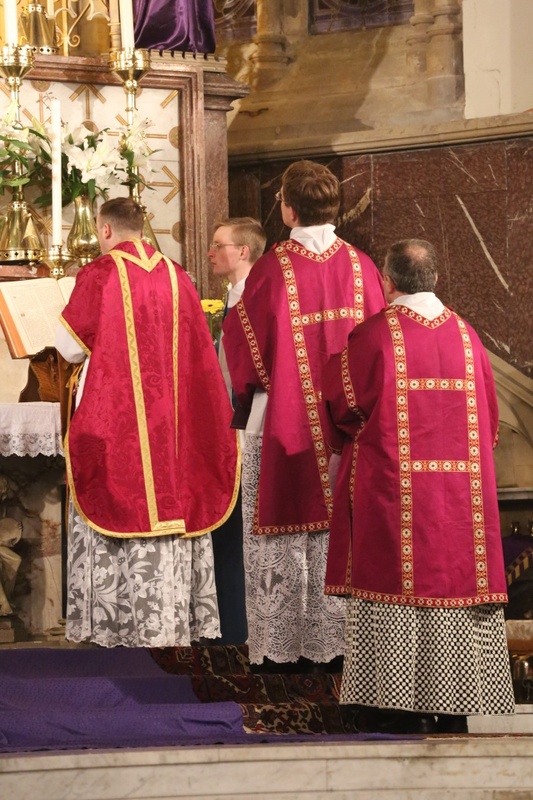 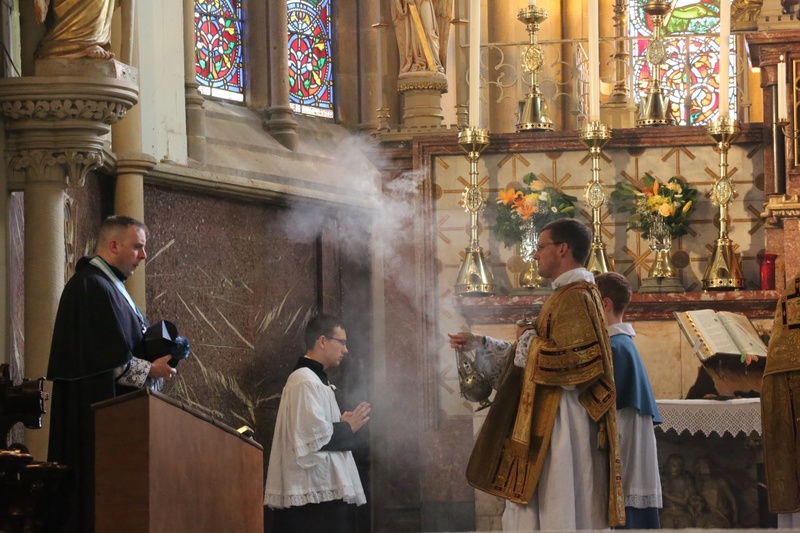 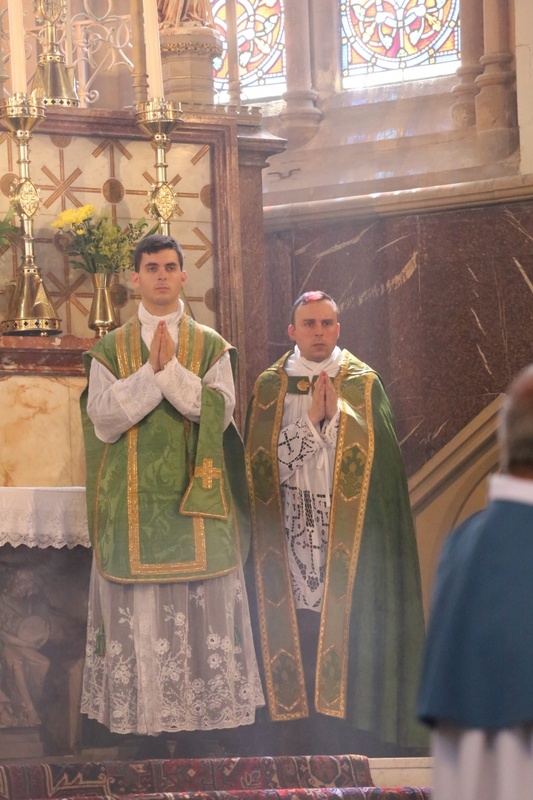 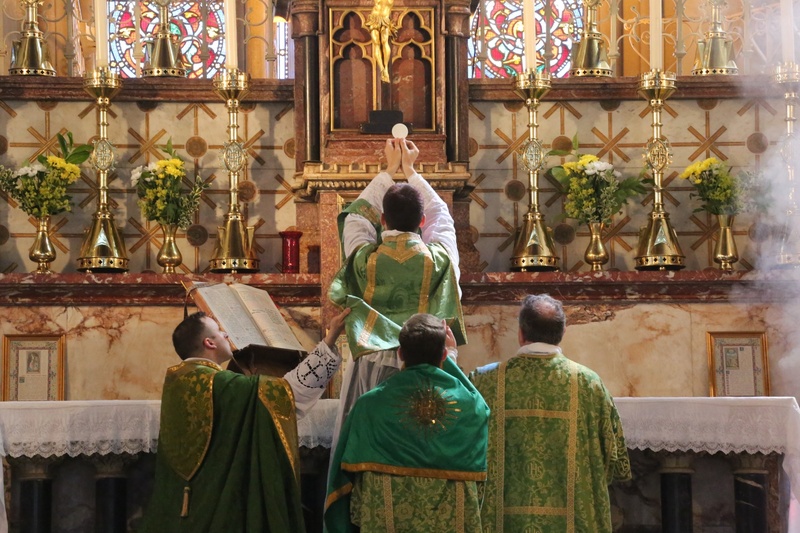 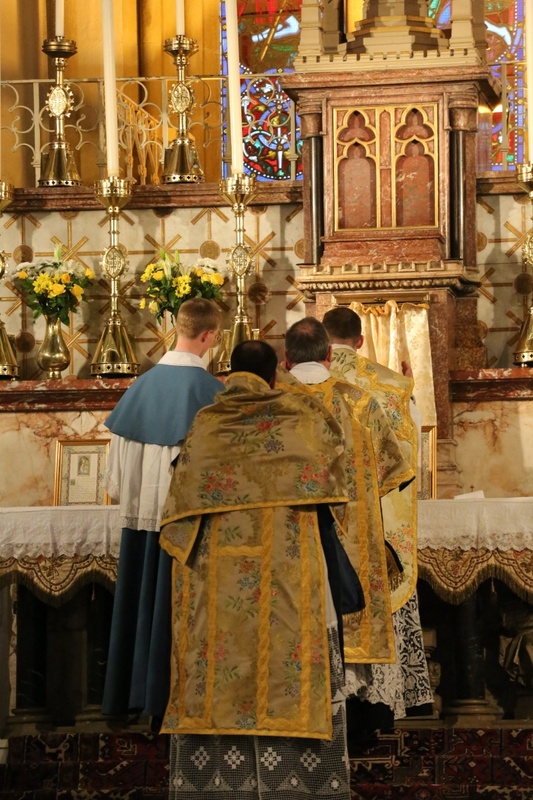 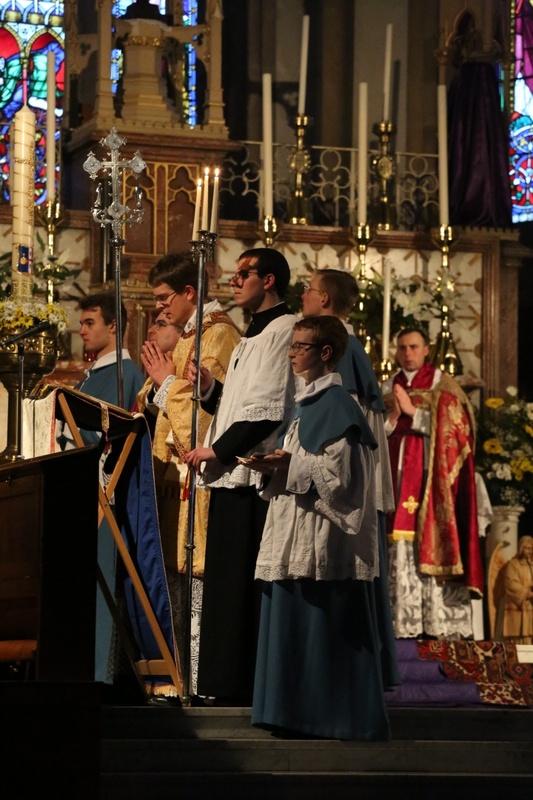 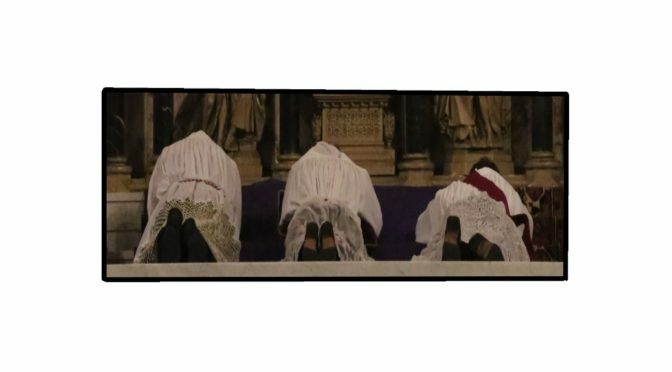 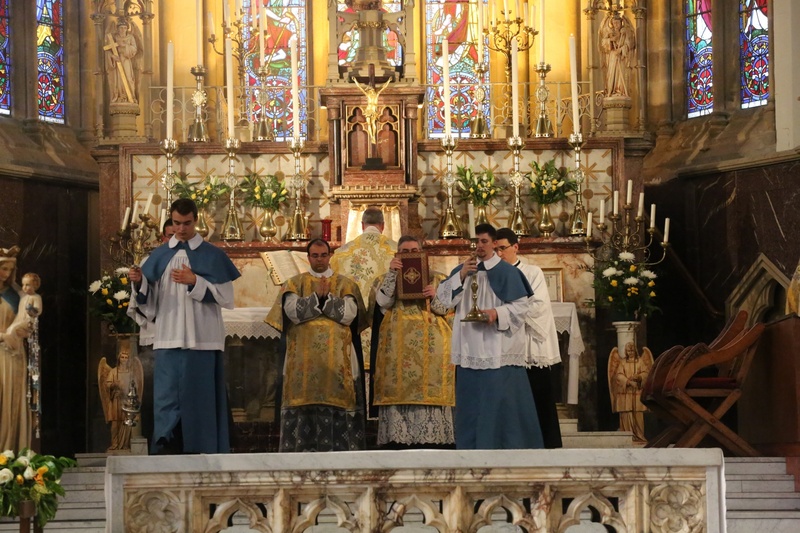 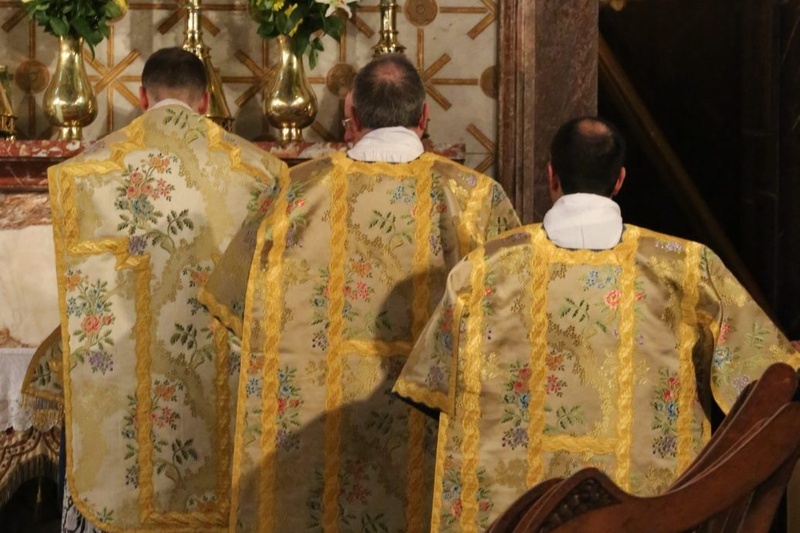 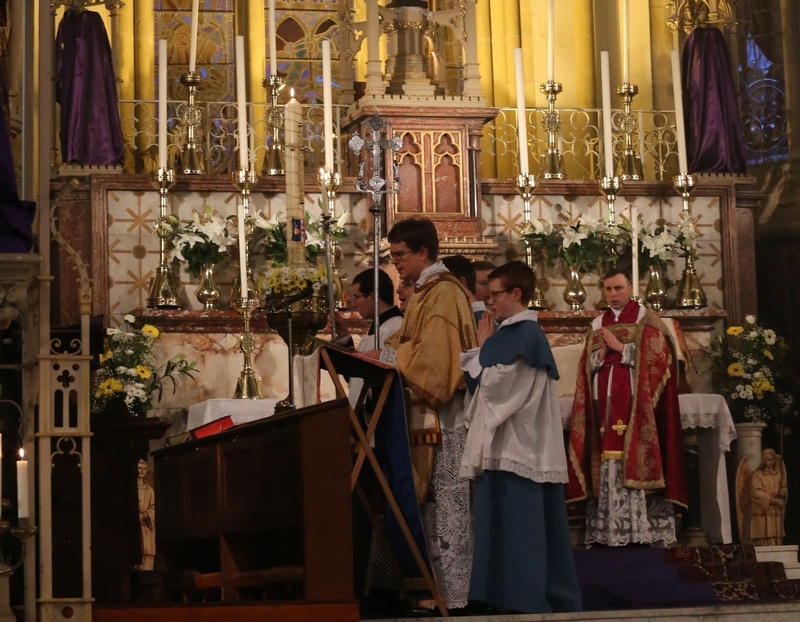 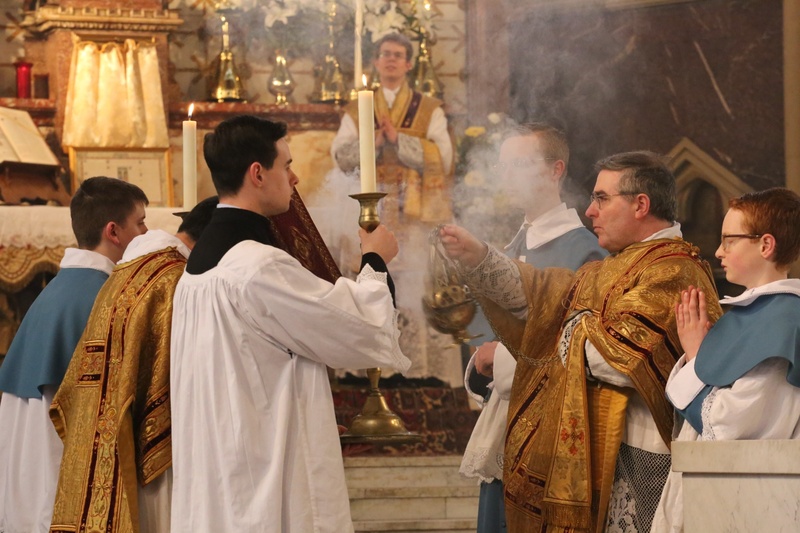 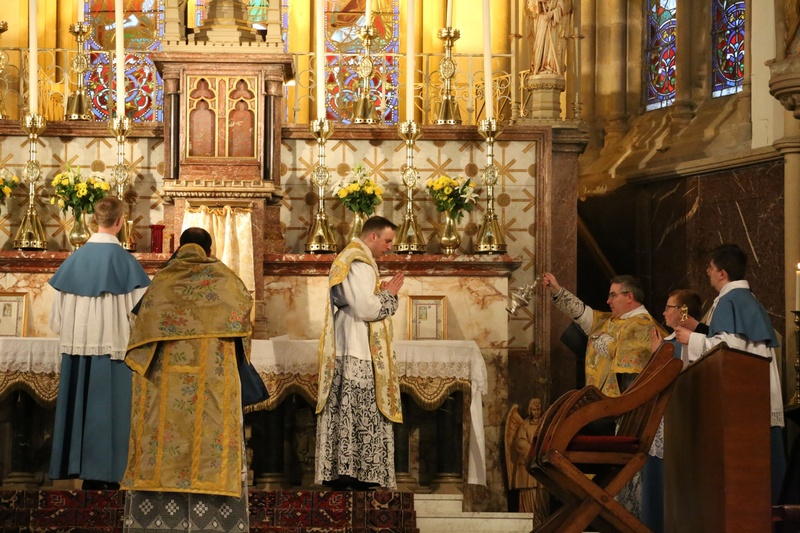 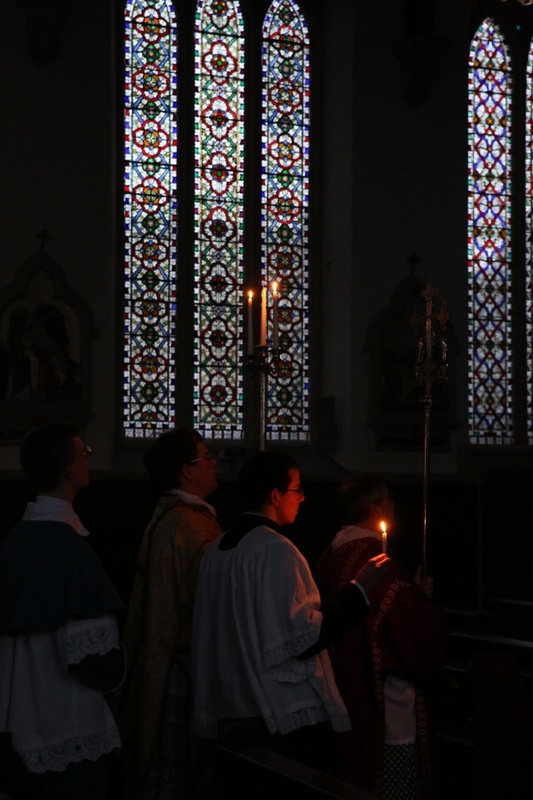 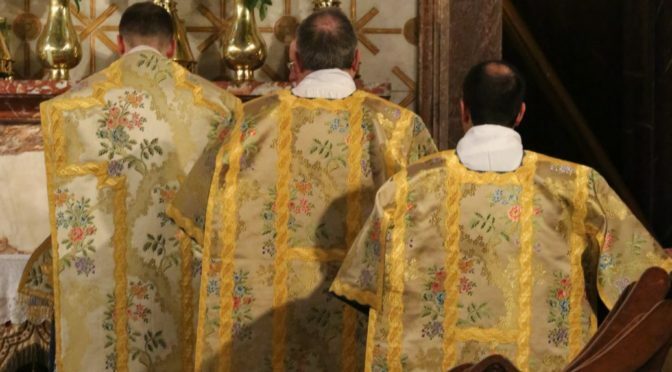 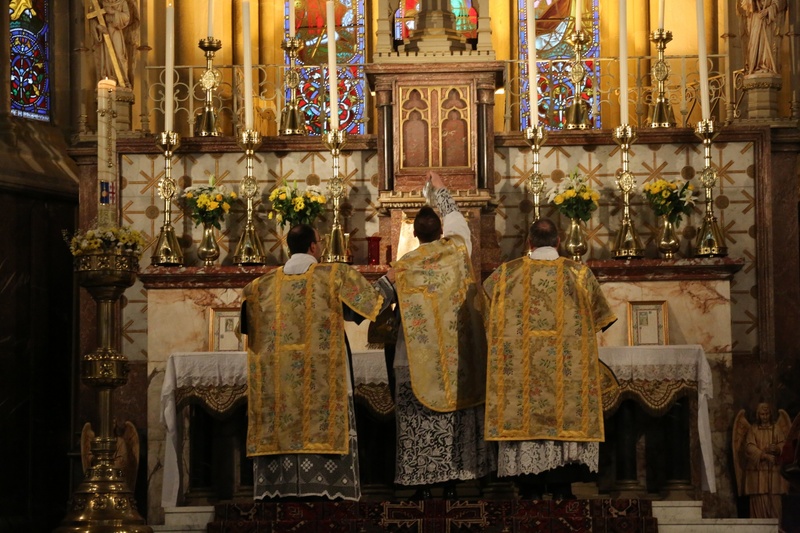 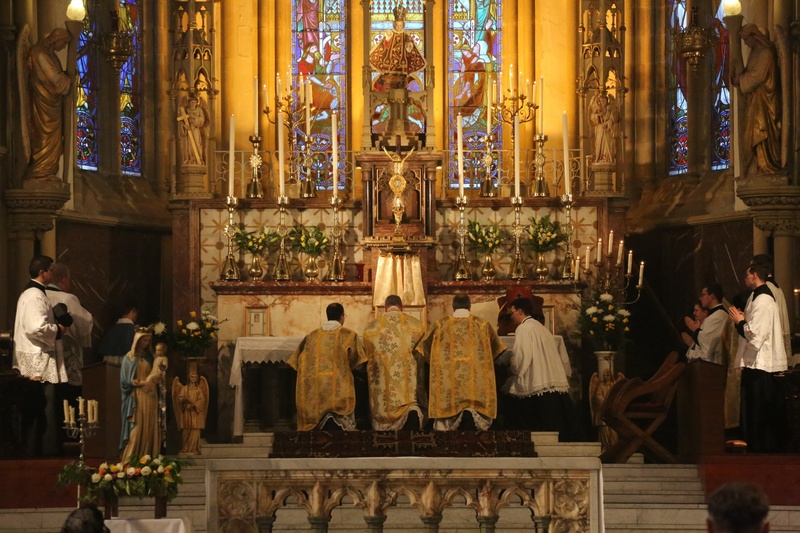 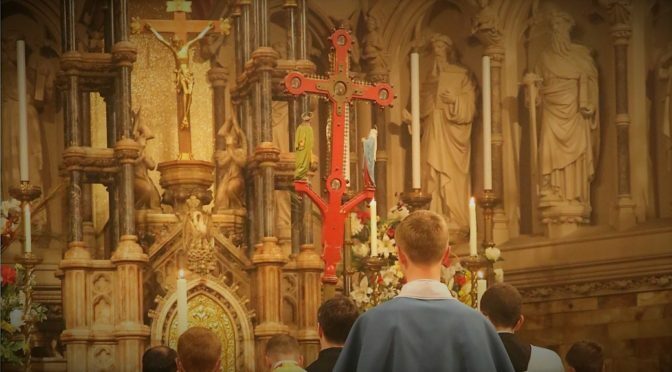 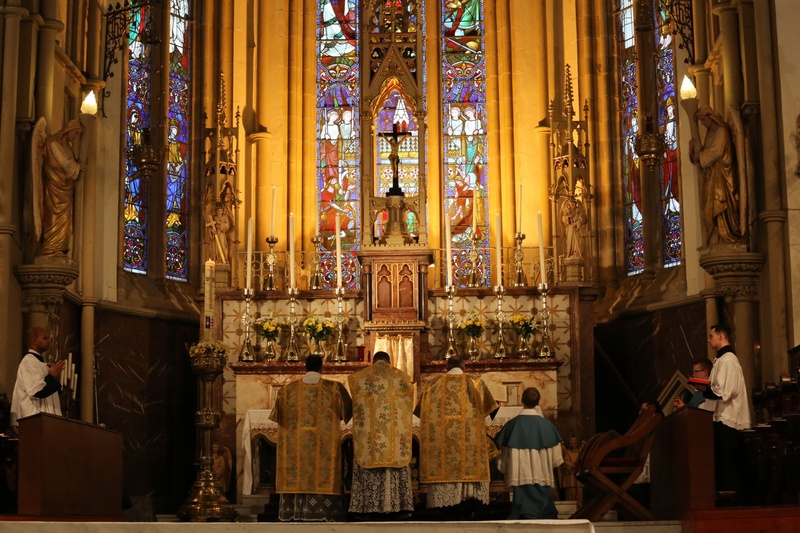 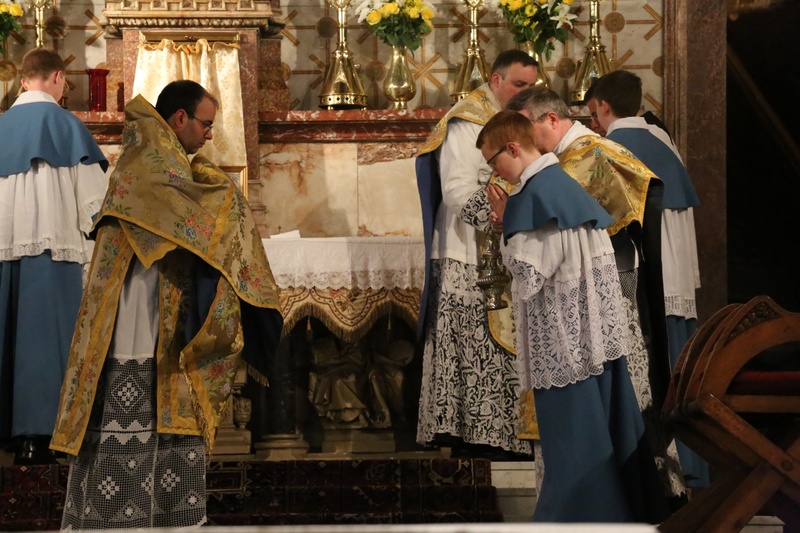 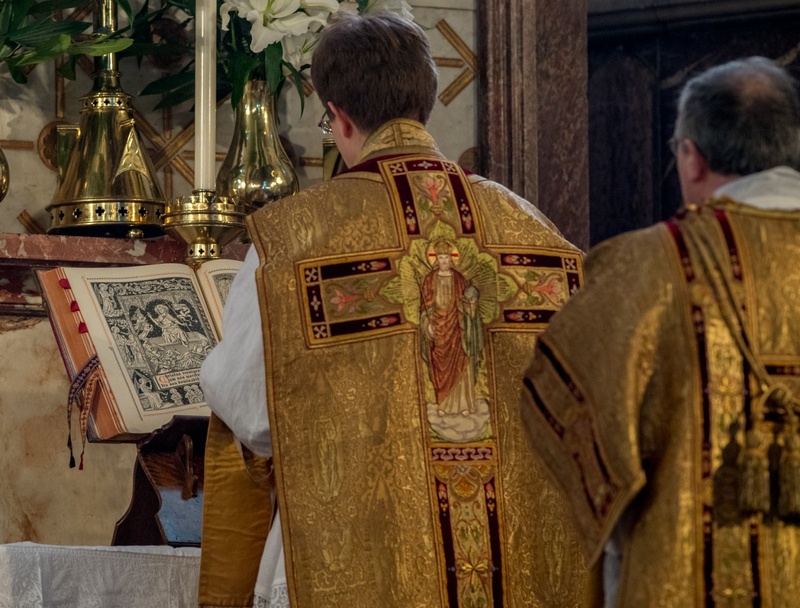 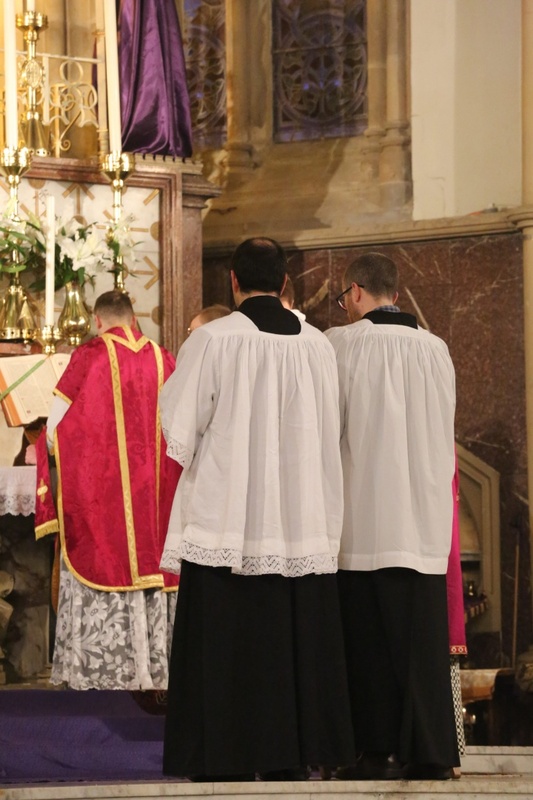 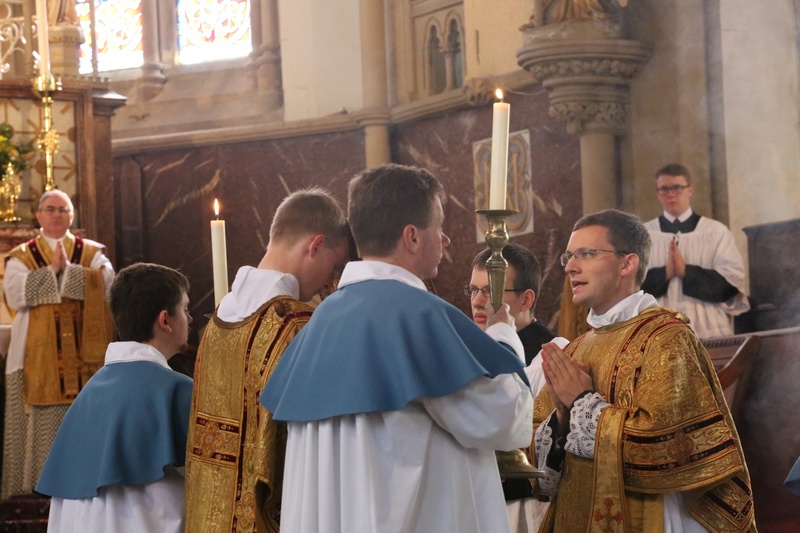 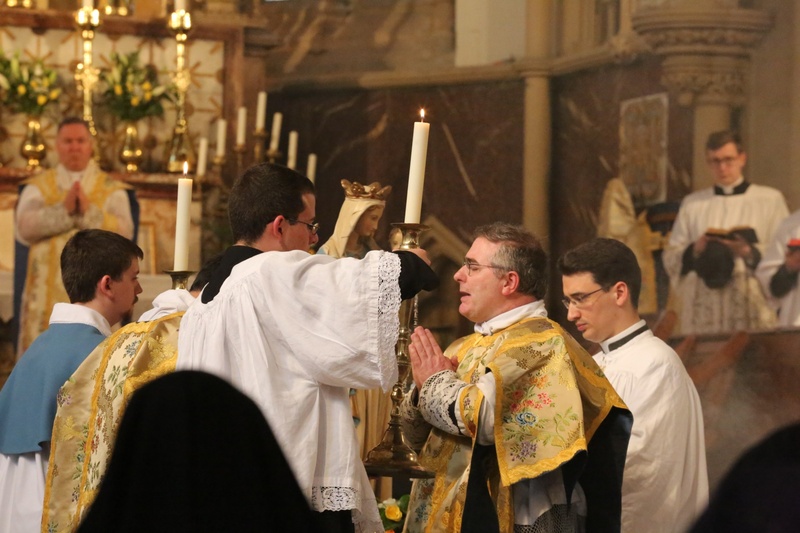 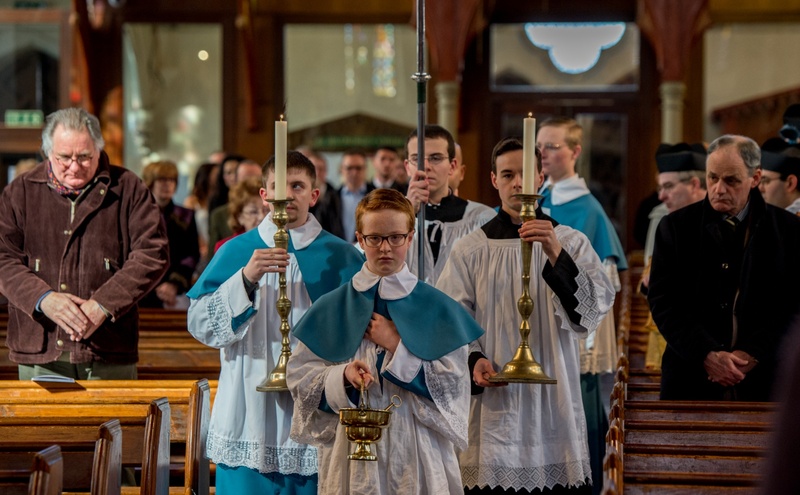 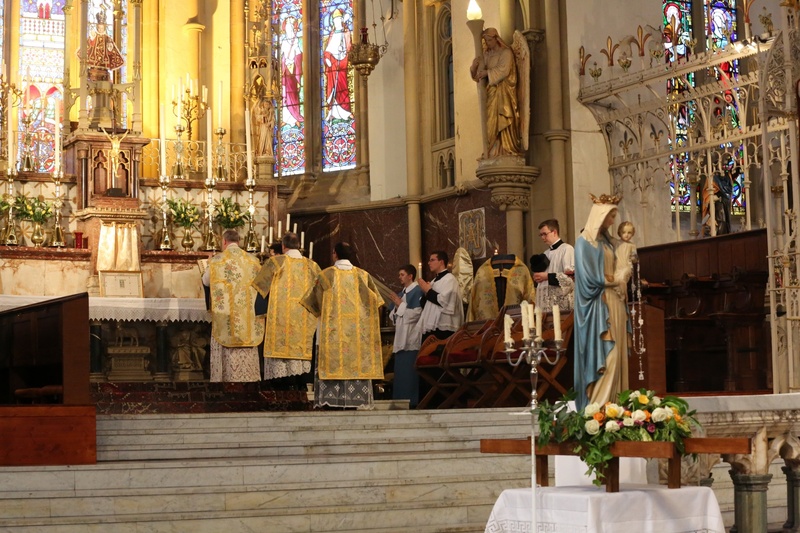 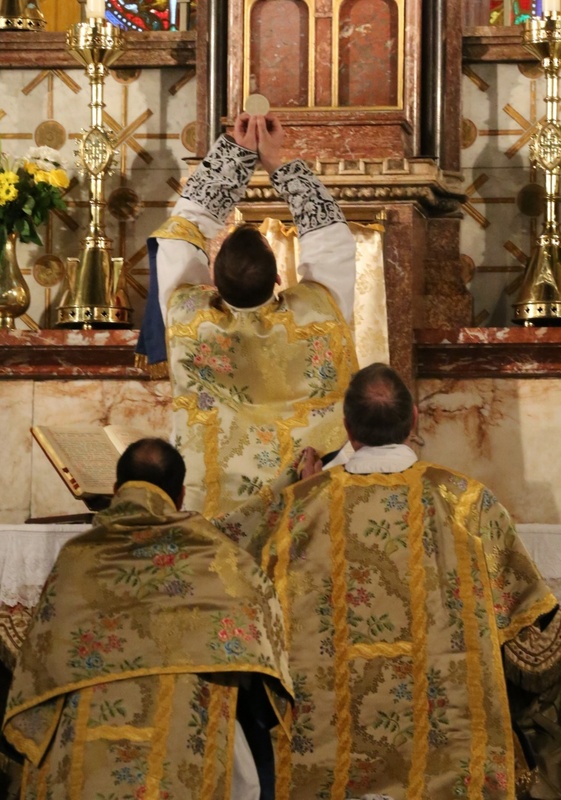 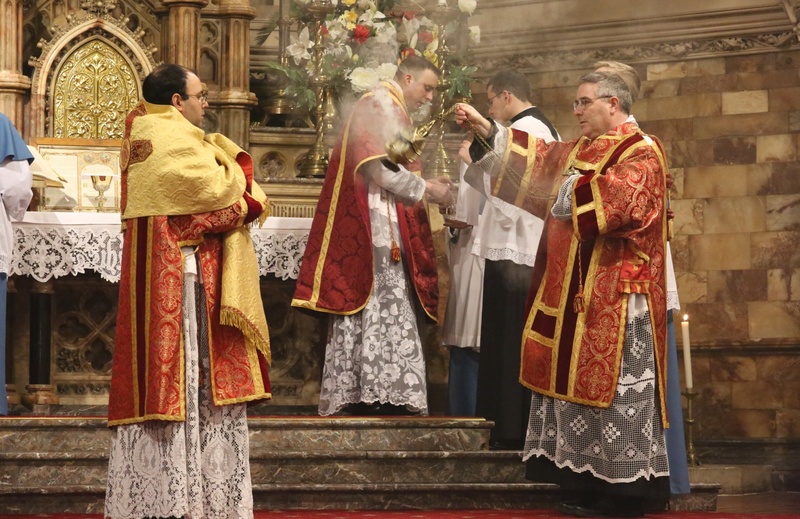 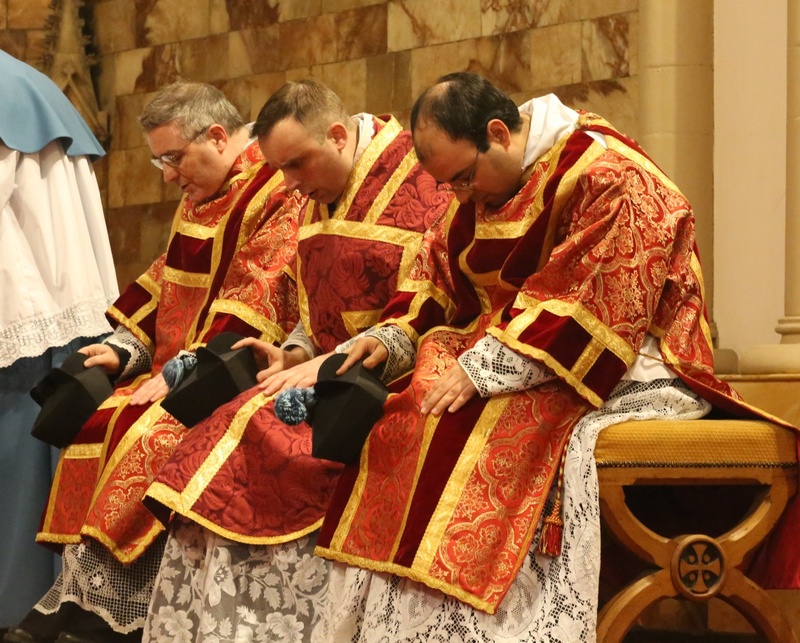 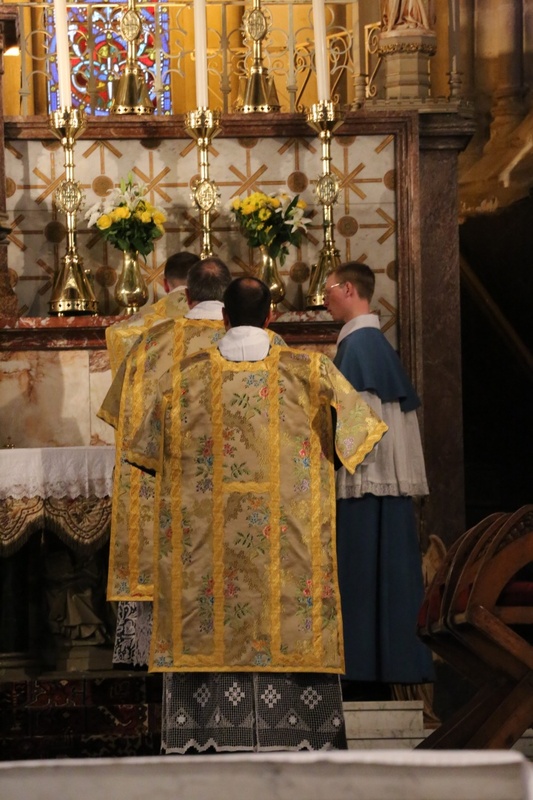 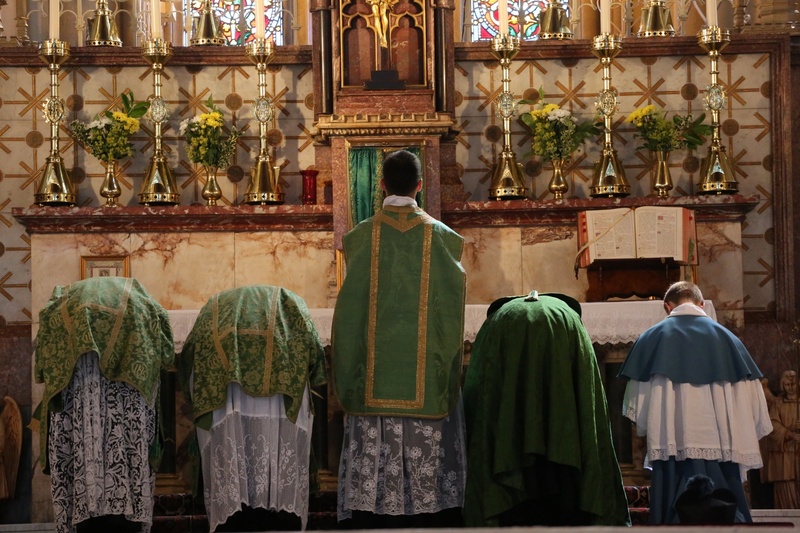 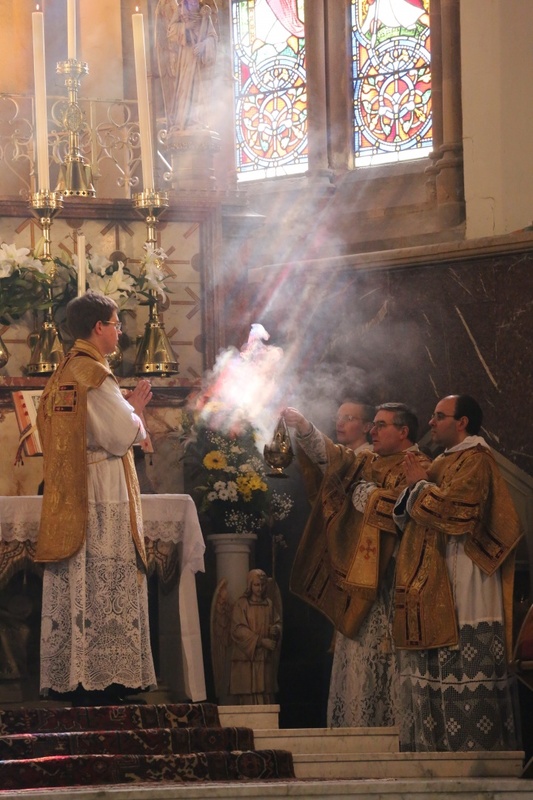 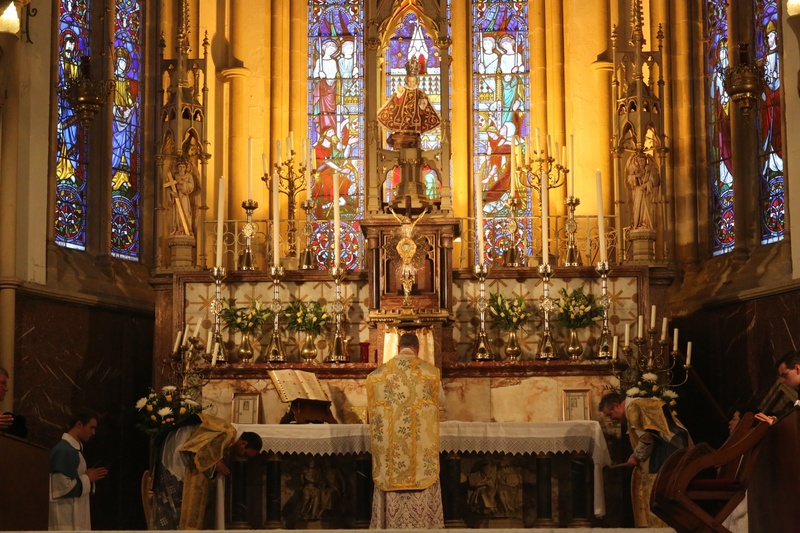 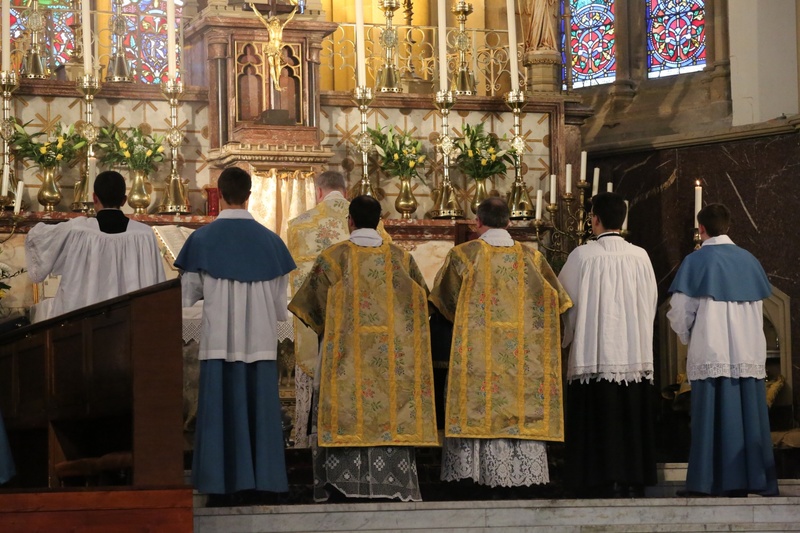 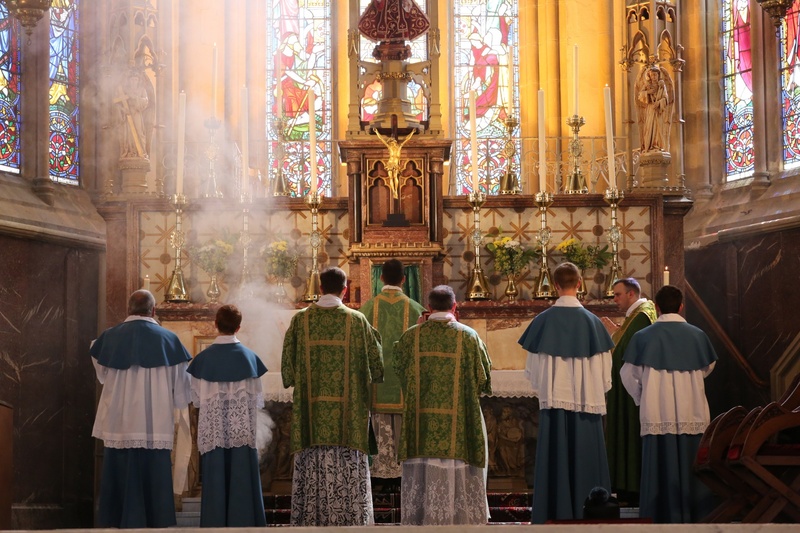 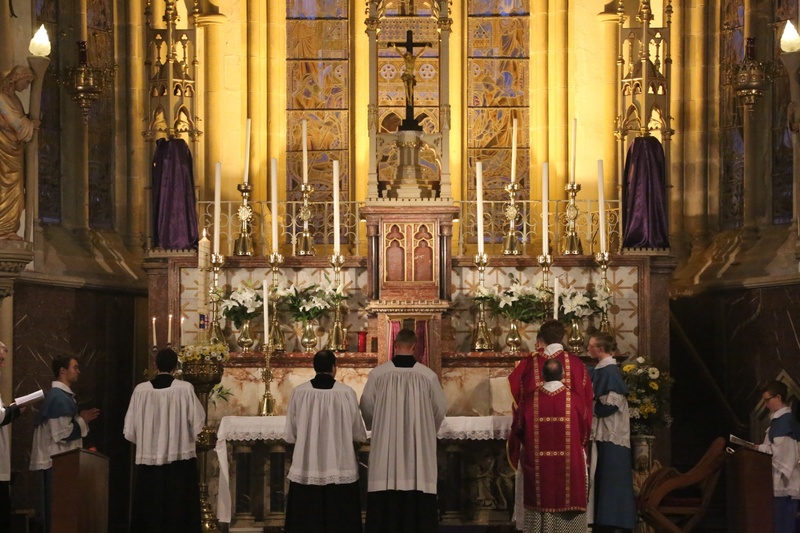 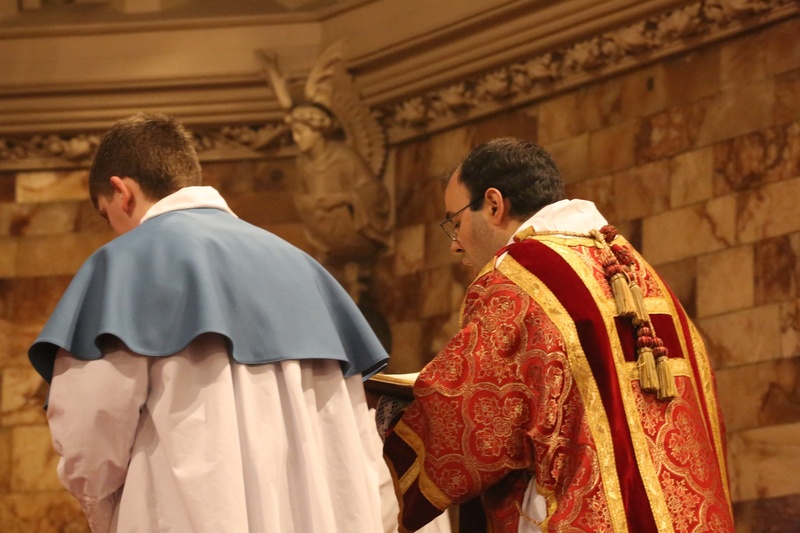 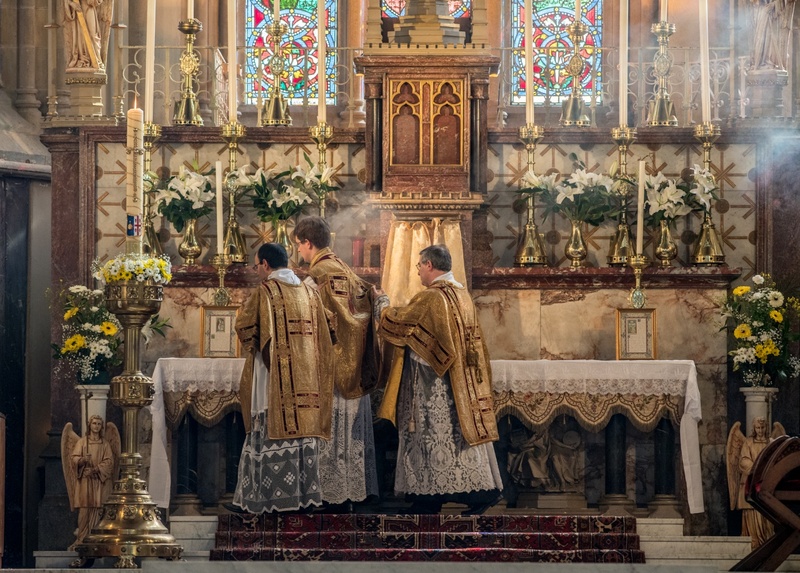 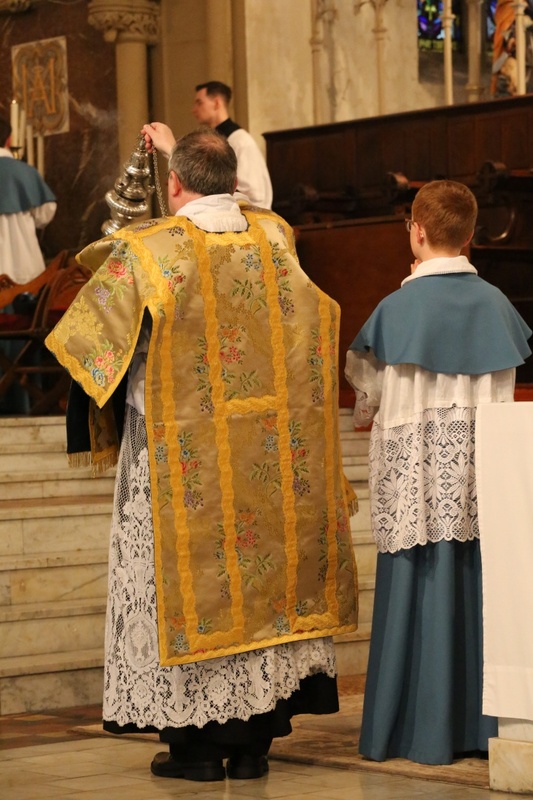 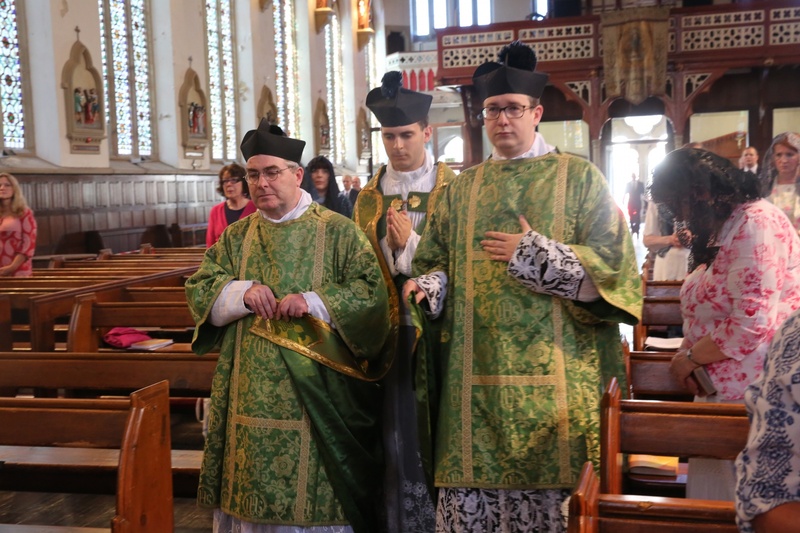 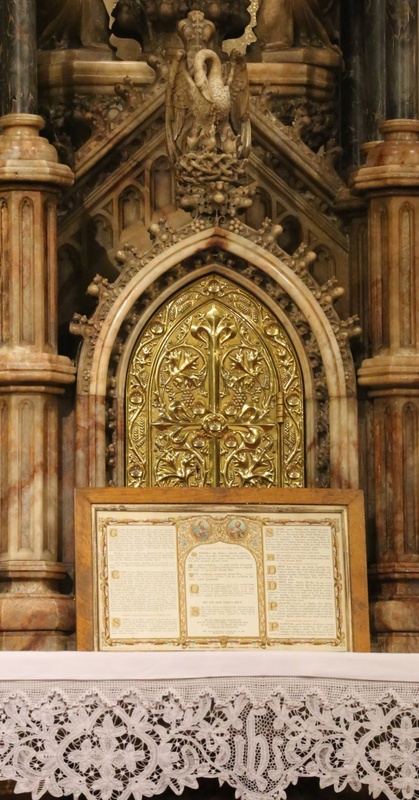 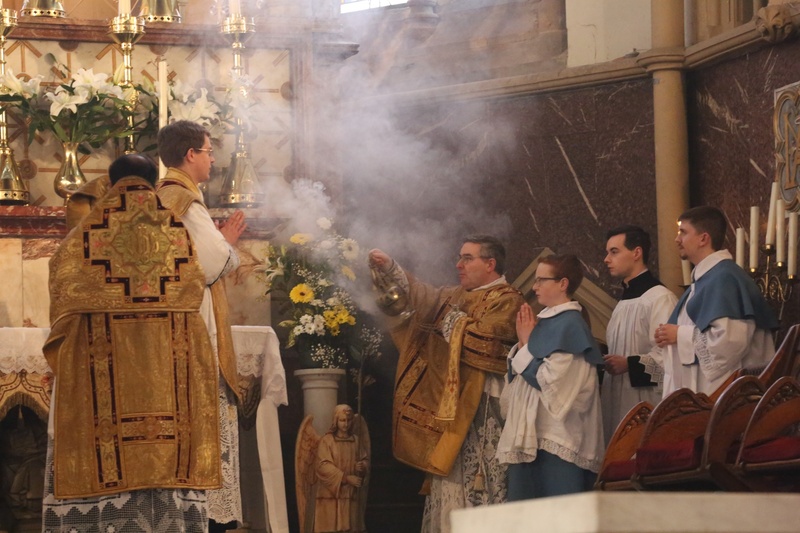 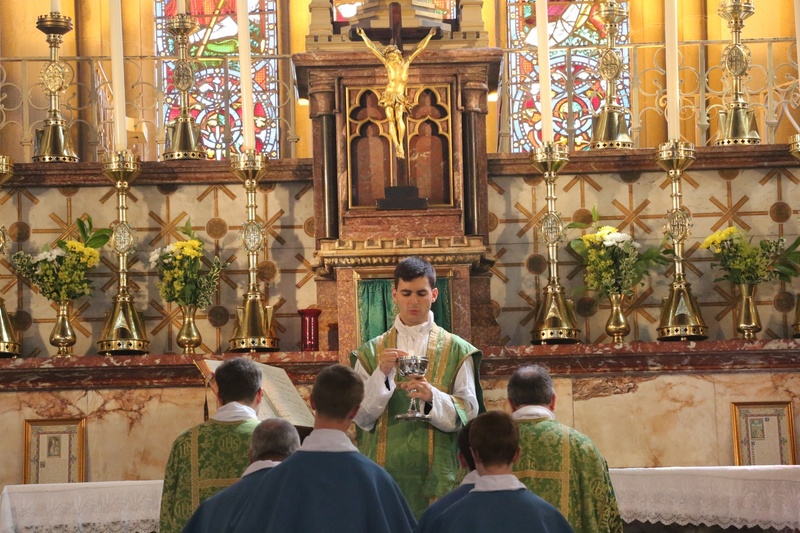 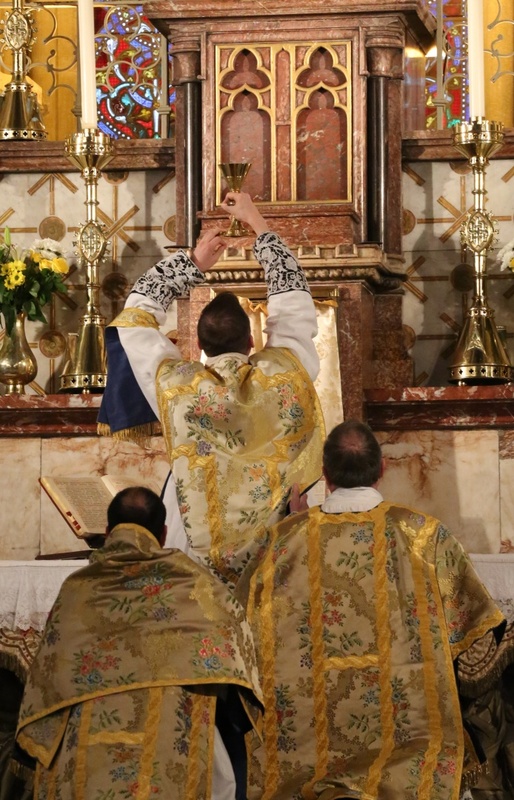 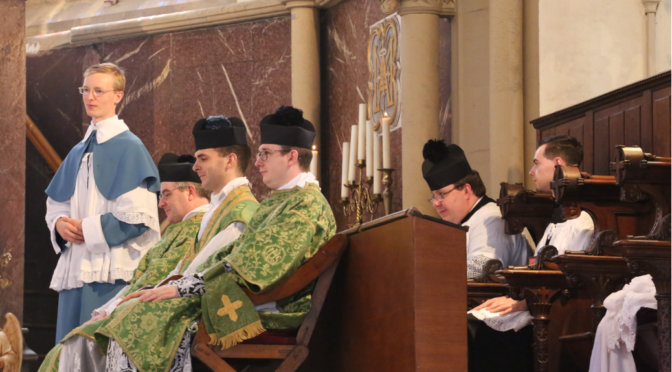 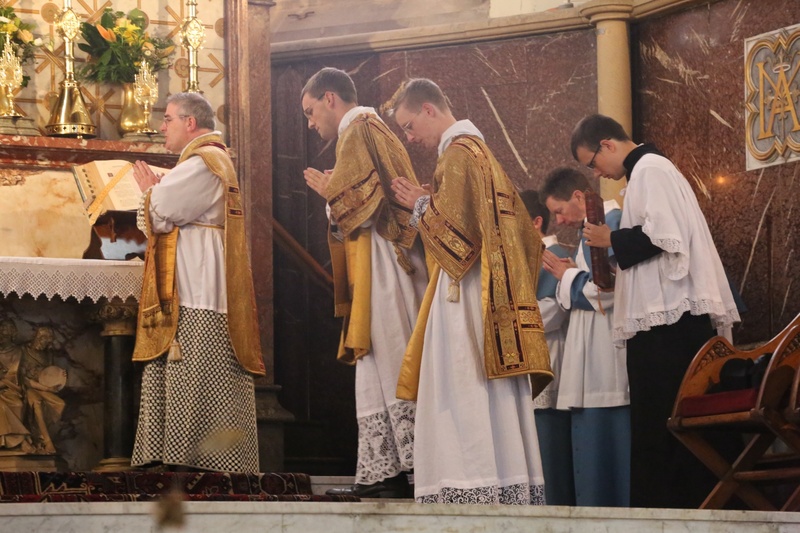 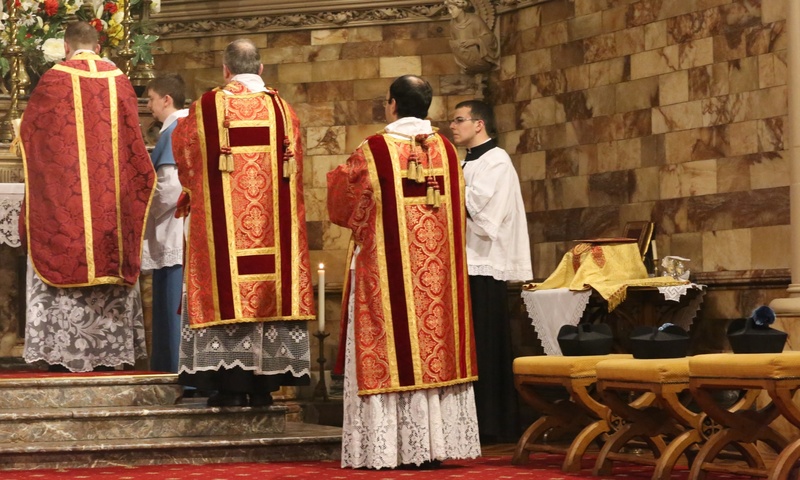 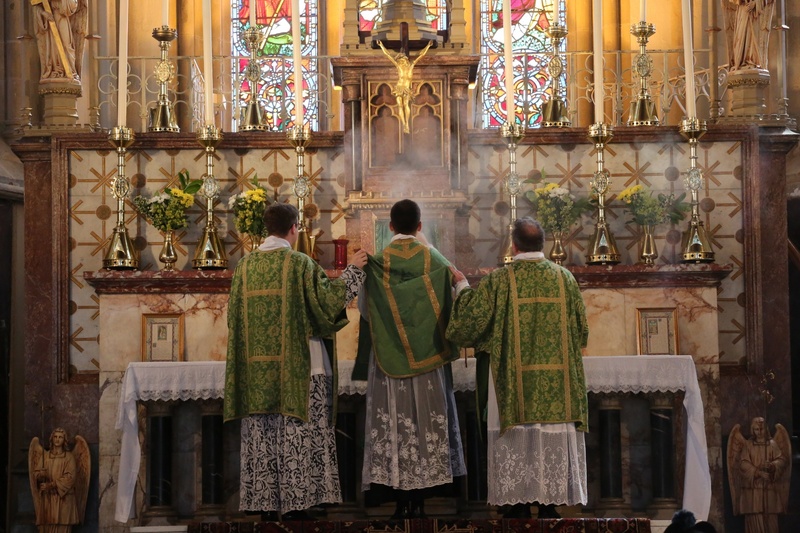 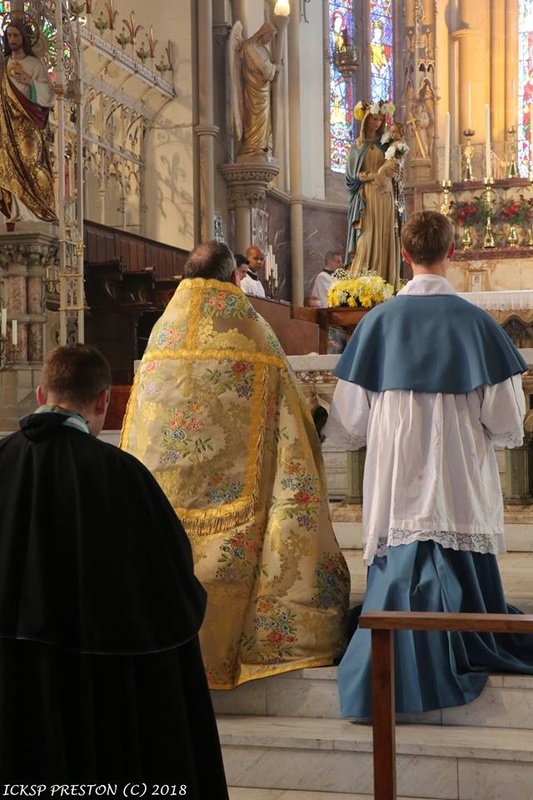 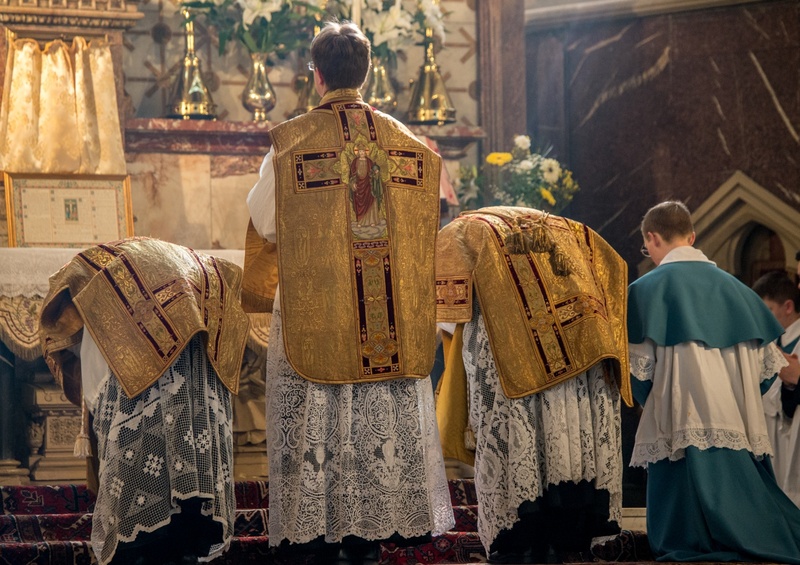 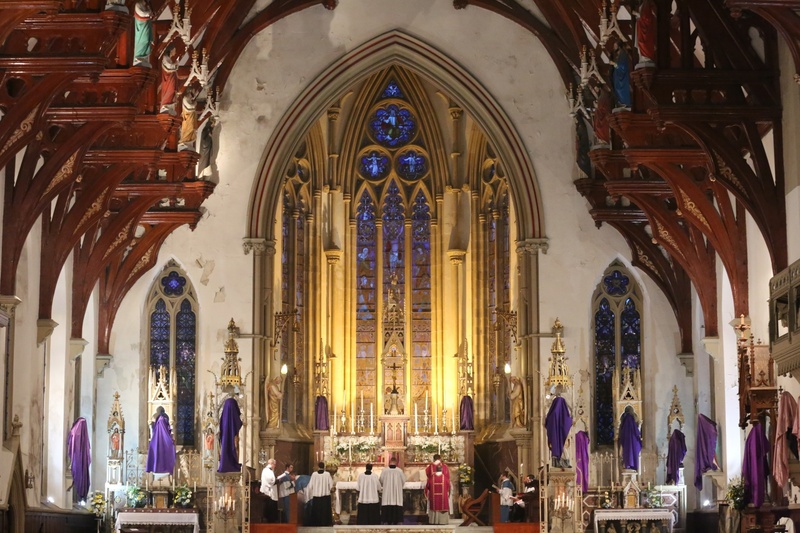 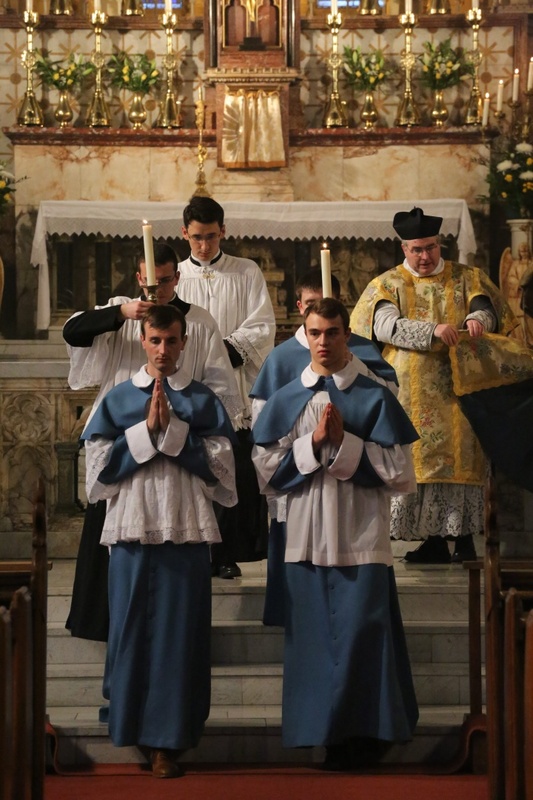 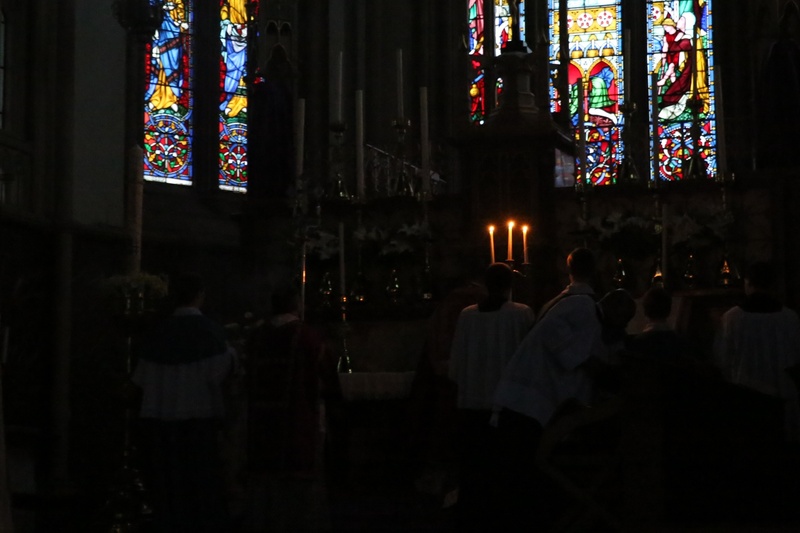 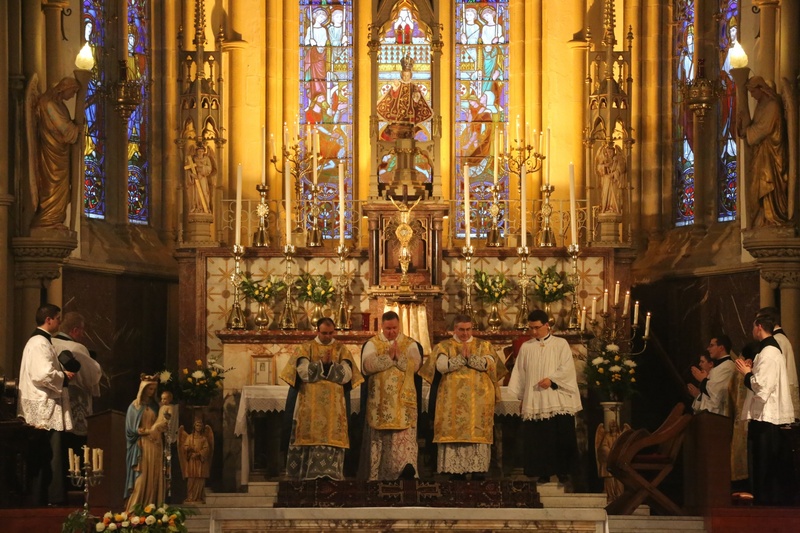 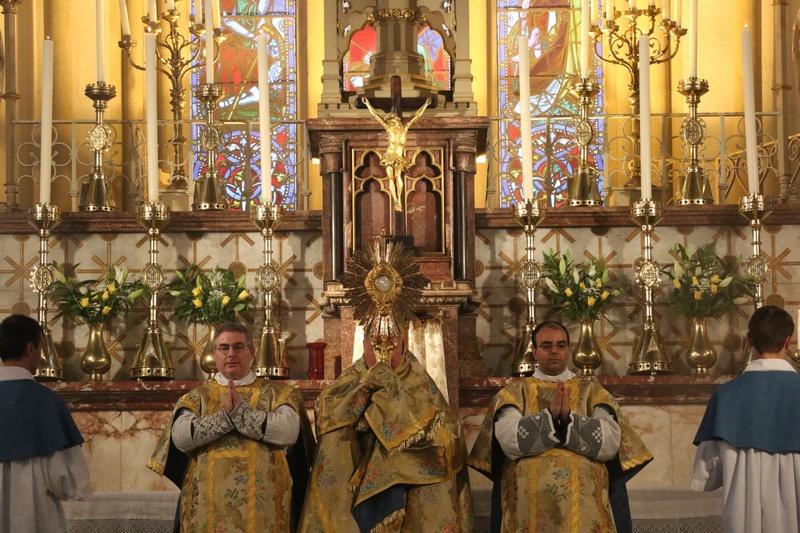 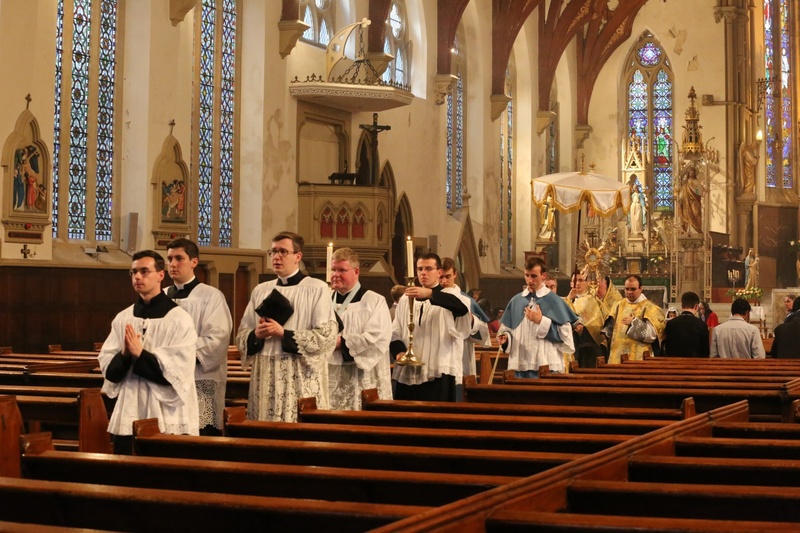 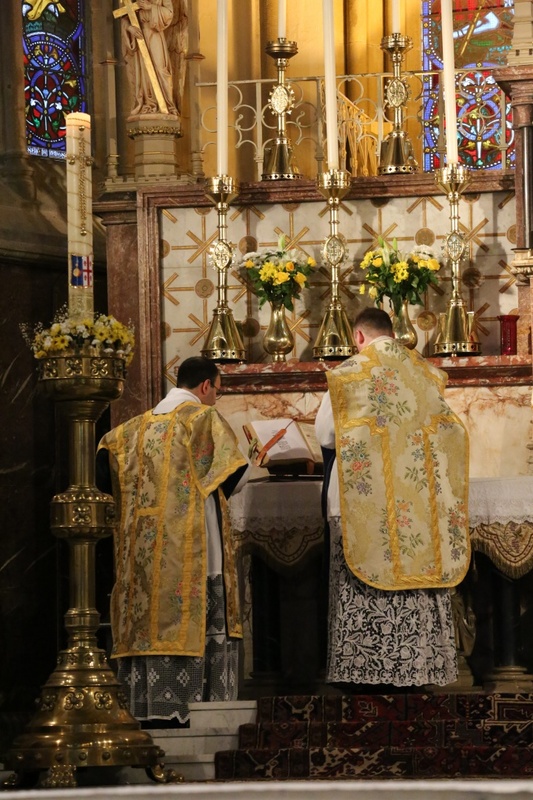 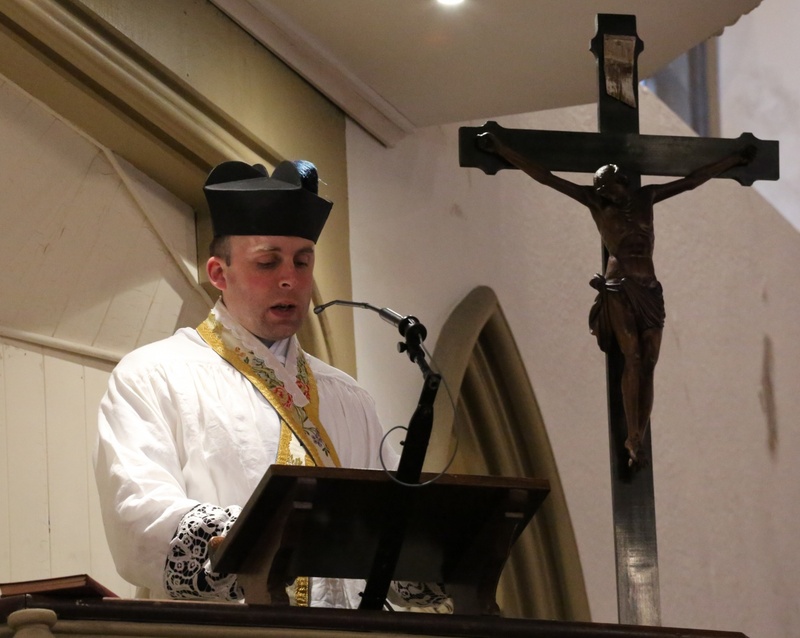 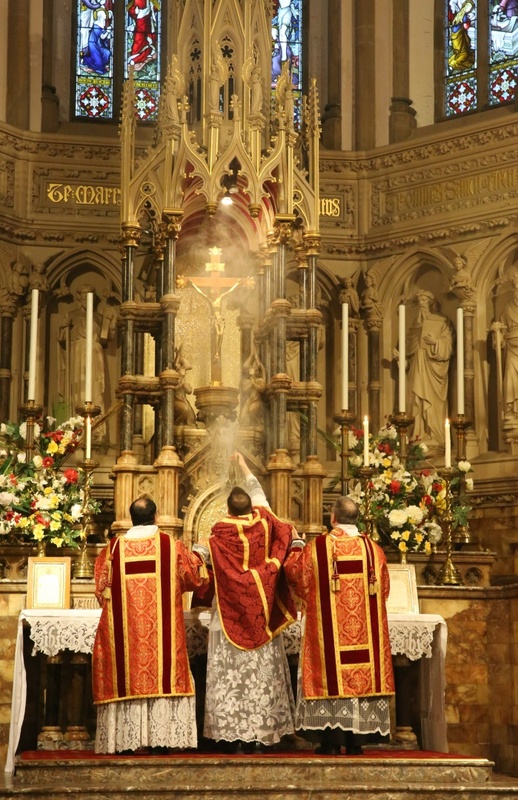 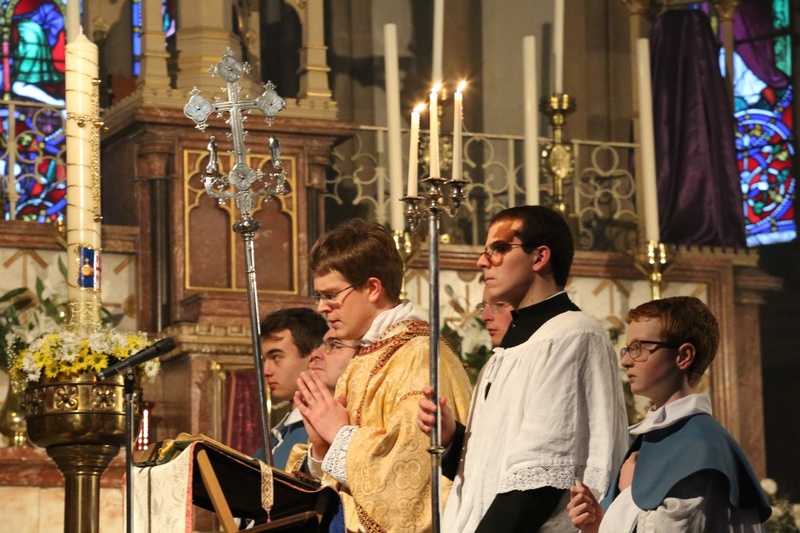 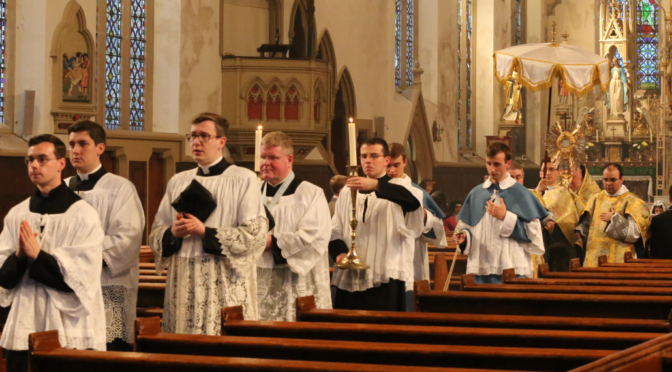 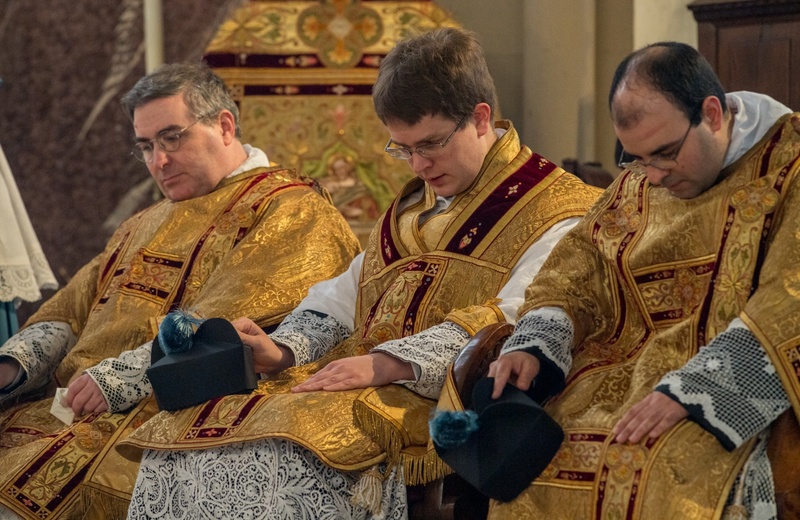 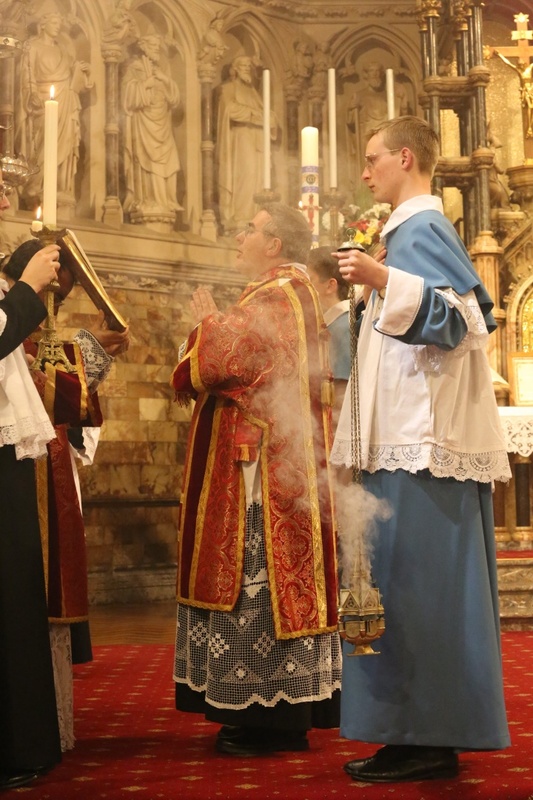 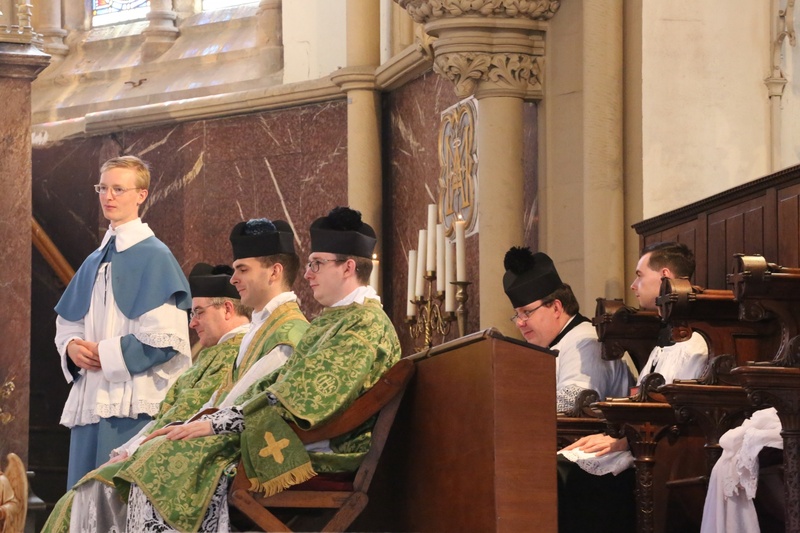 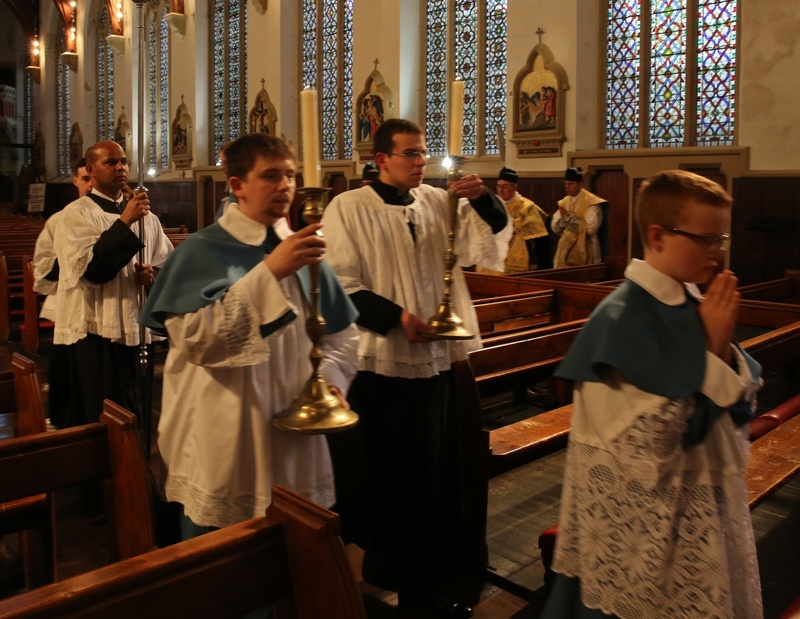 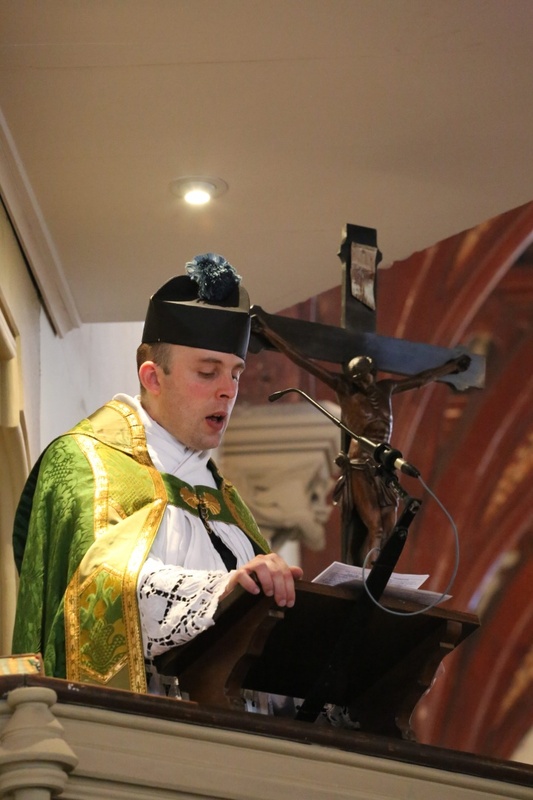 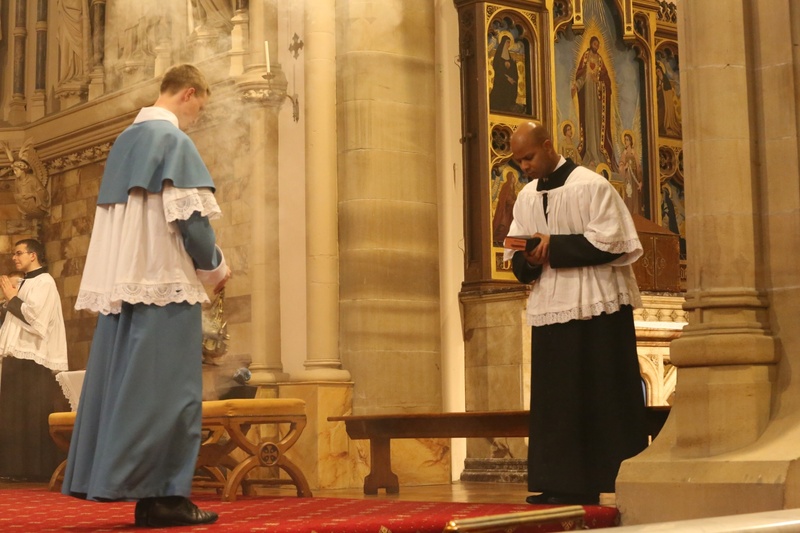 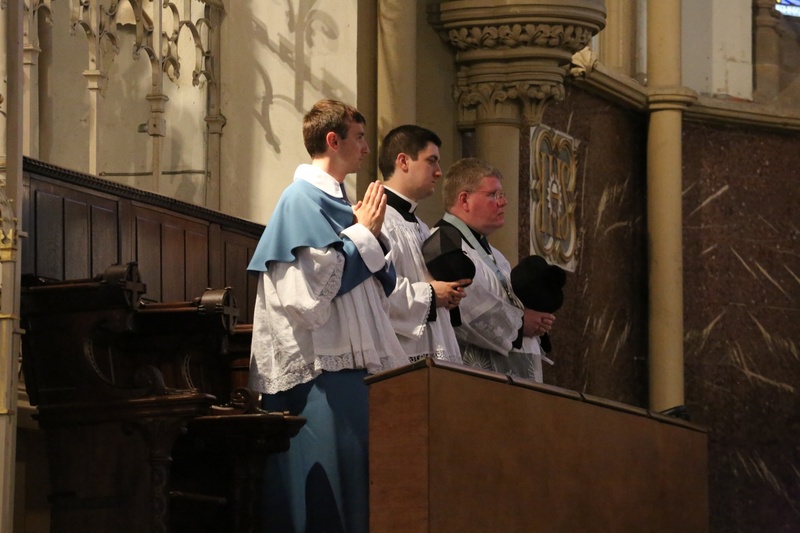 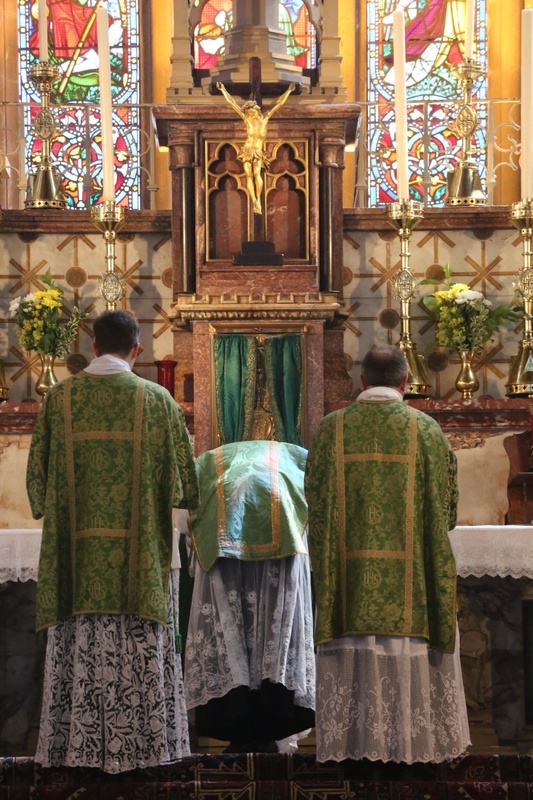 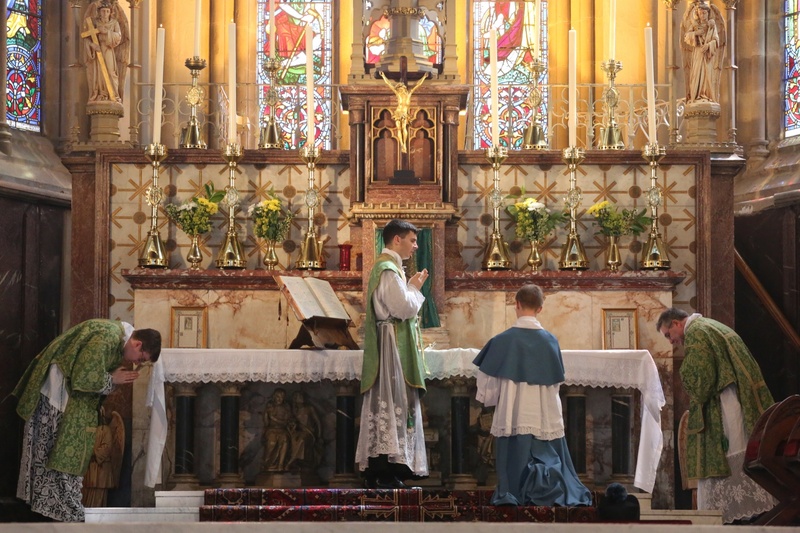 This wonderful event was a collaborative effort between the Canon’s of the Institute and the Latin Mass Society. 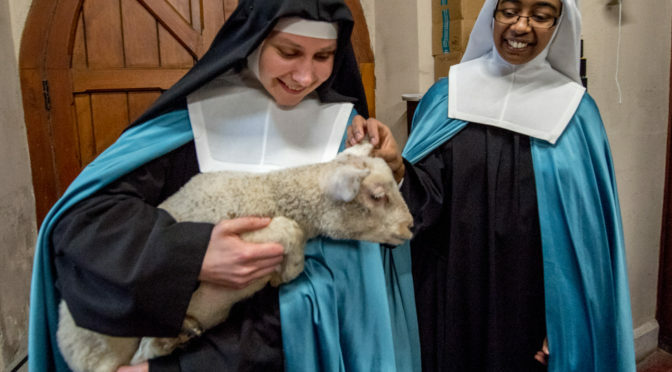 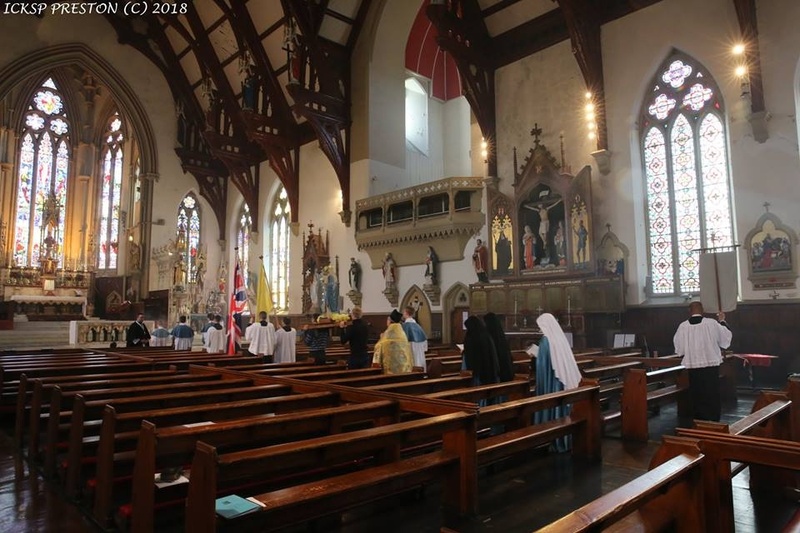 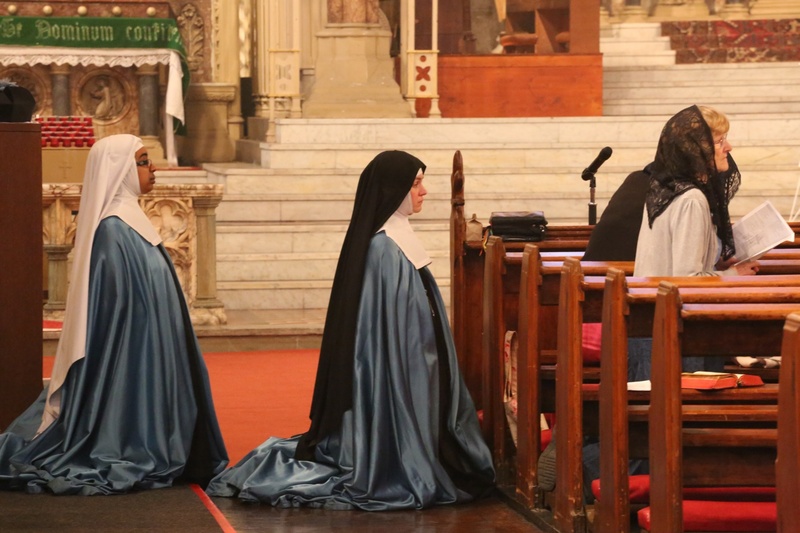 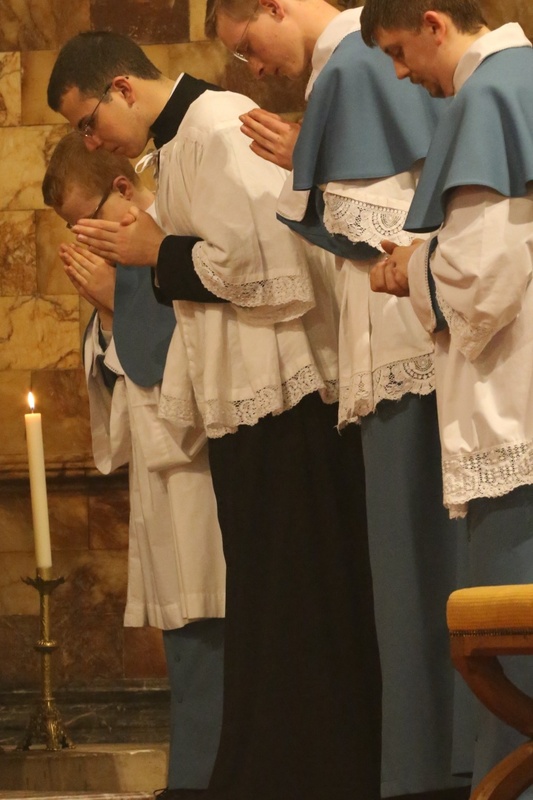 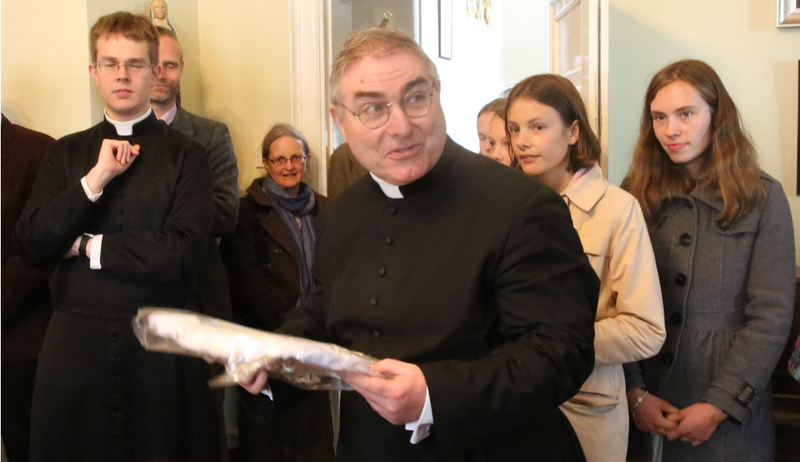 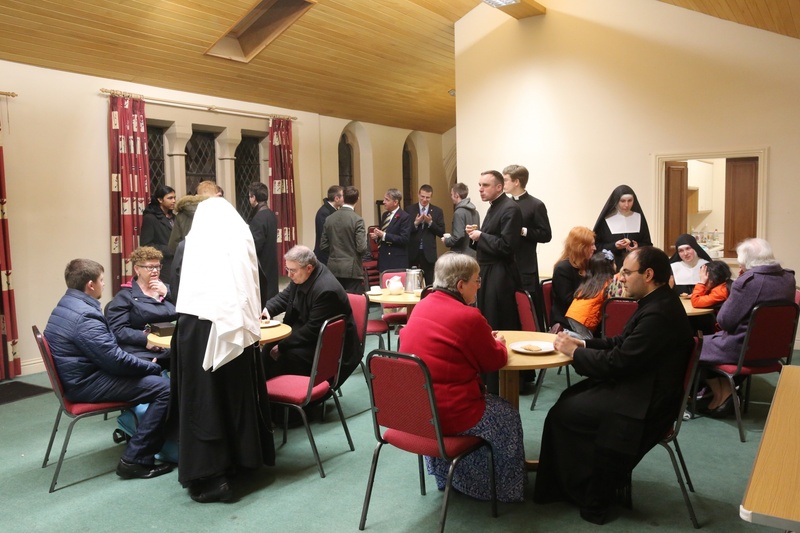 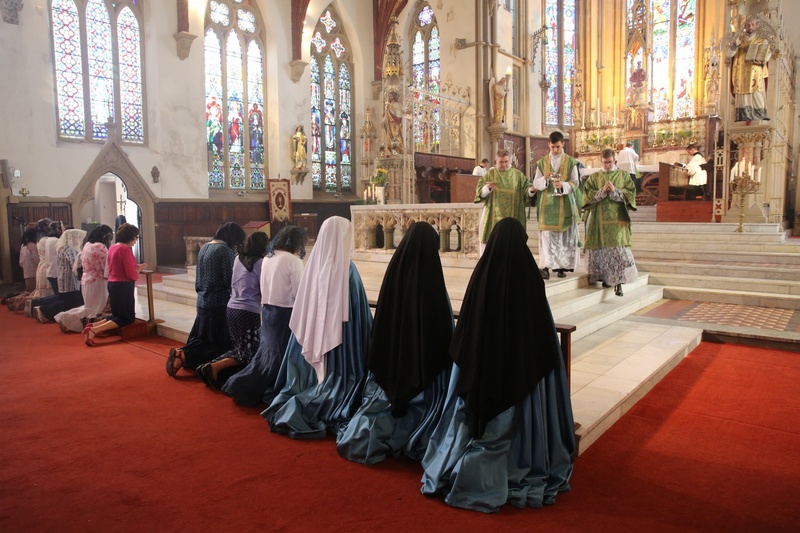 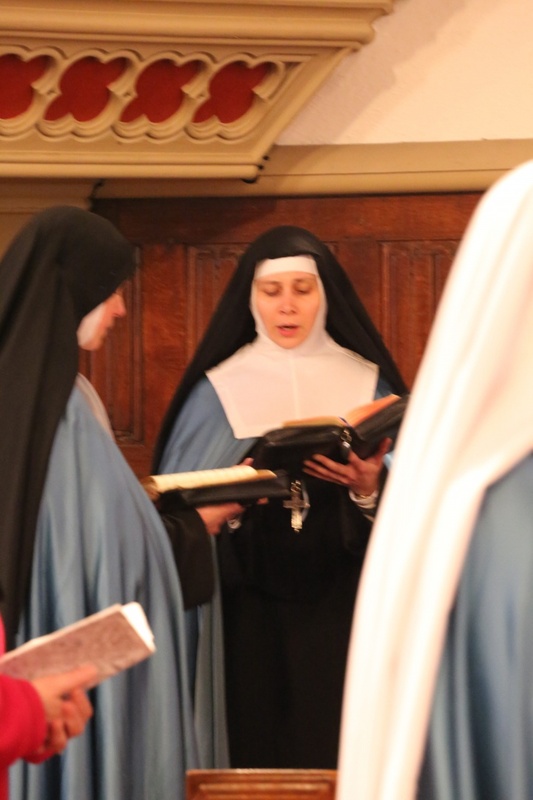 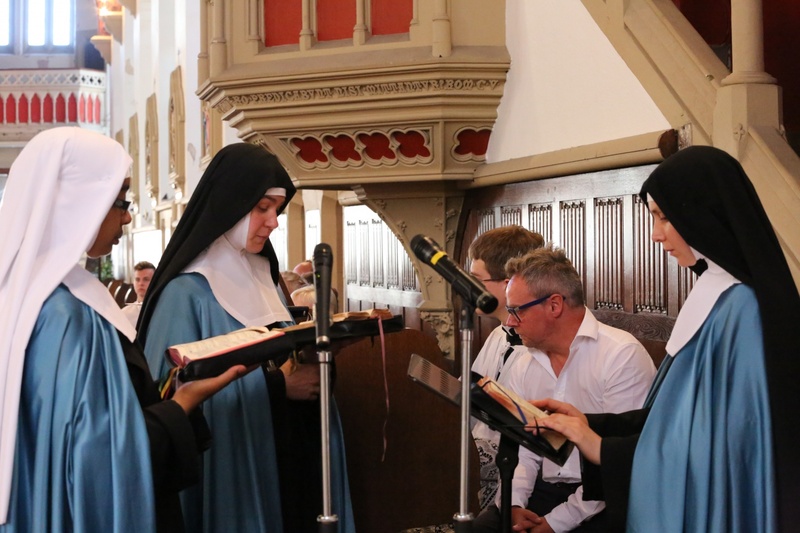 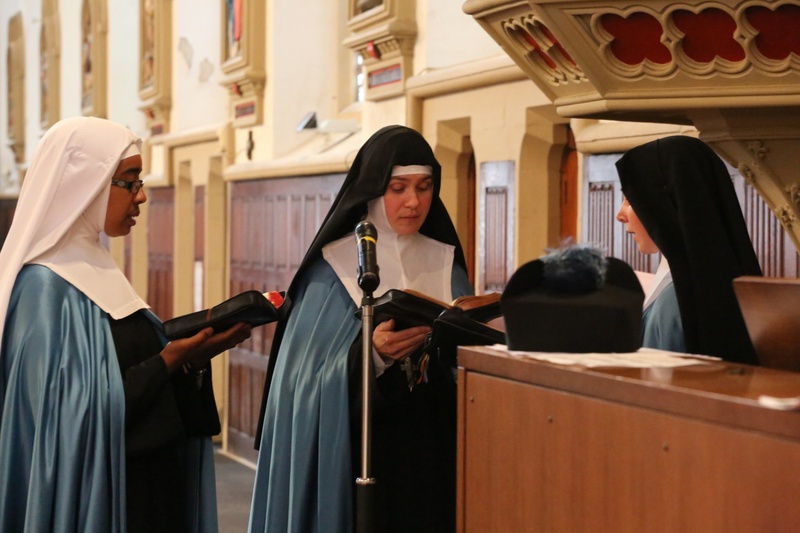 The Sisters Adorers of the Royal Heart of Jesus Christ Sovereign Priest, now resident in St Augustine’s Presbytery, Preston, were in attendance along with other visiting clergy. 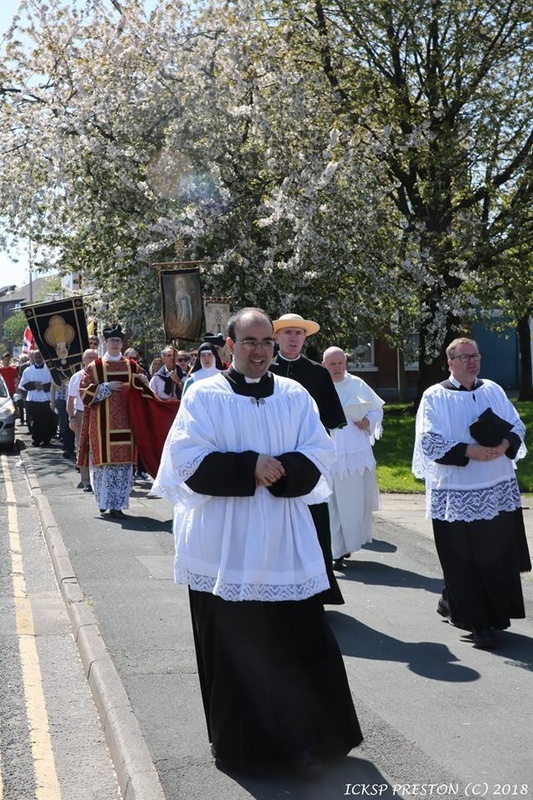 It was a beautiful day, the sun shone, and a good number of the faithful turned out for the pilgrimage. 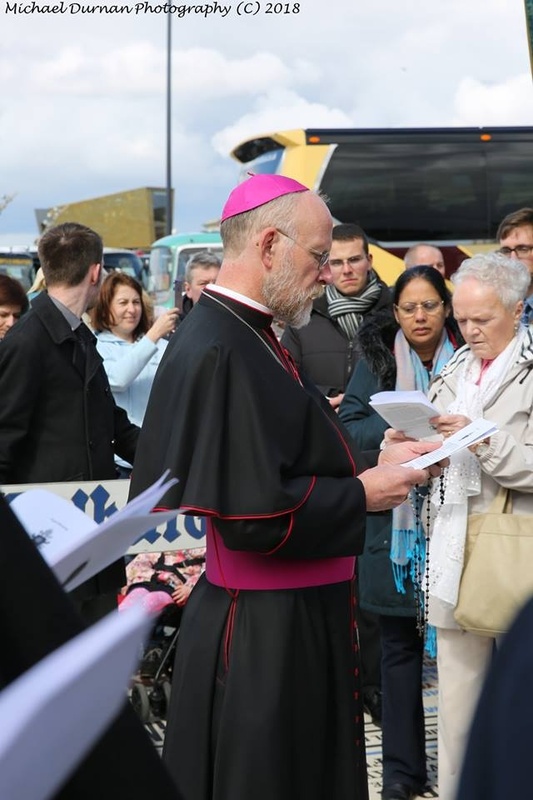 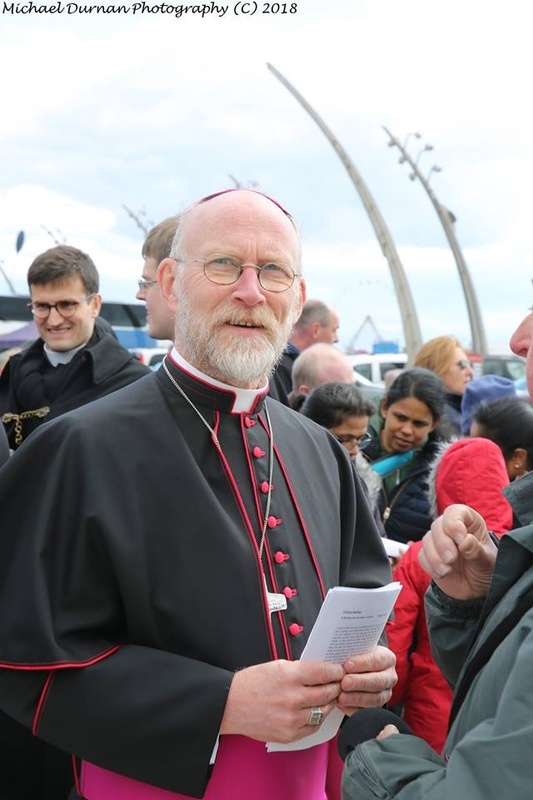 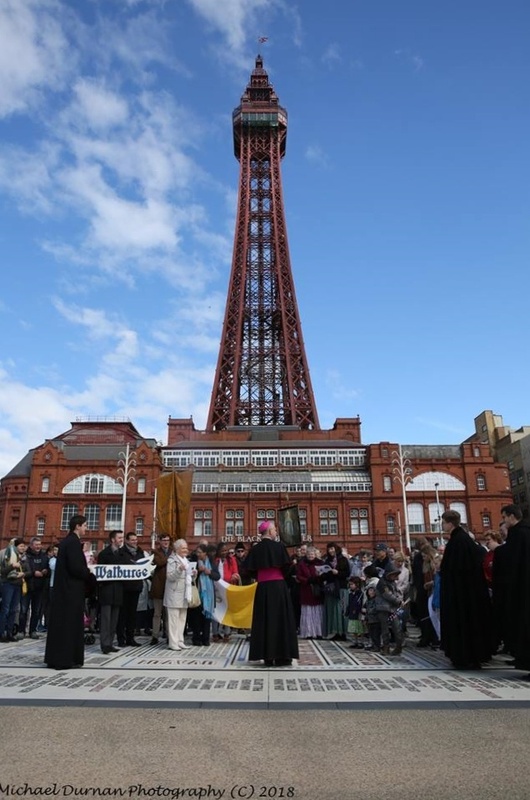 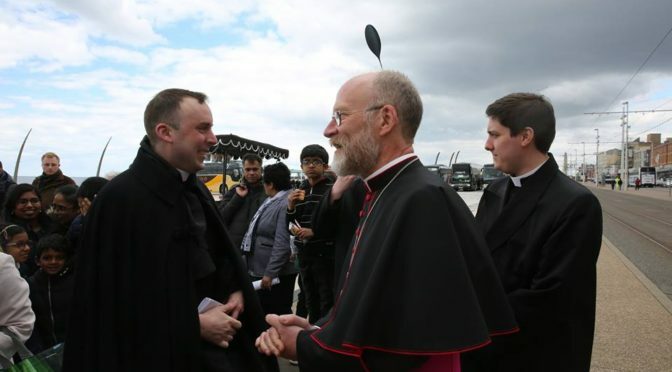 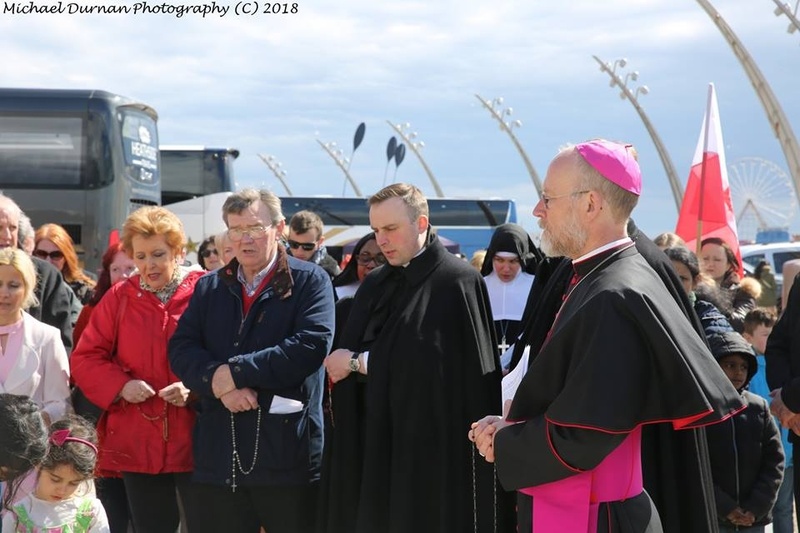 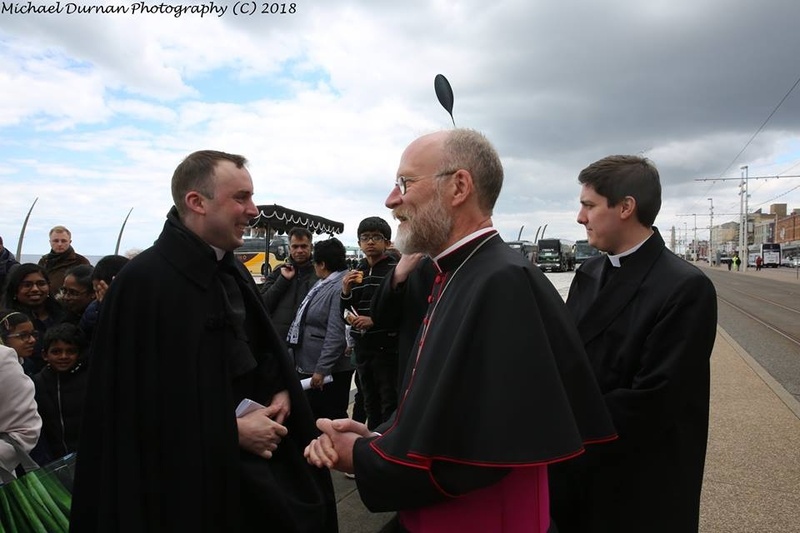 The Rosary on The Coast at Blackpool, Lancashire, with His Lordship, Paul Swarbrick, Bishop of Lancaster.